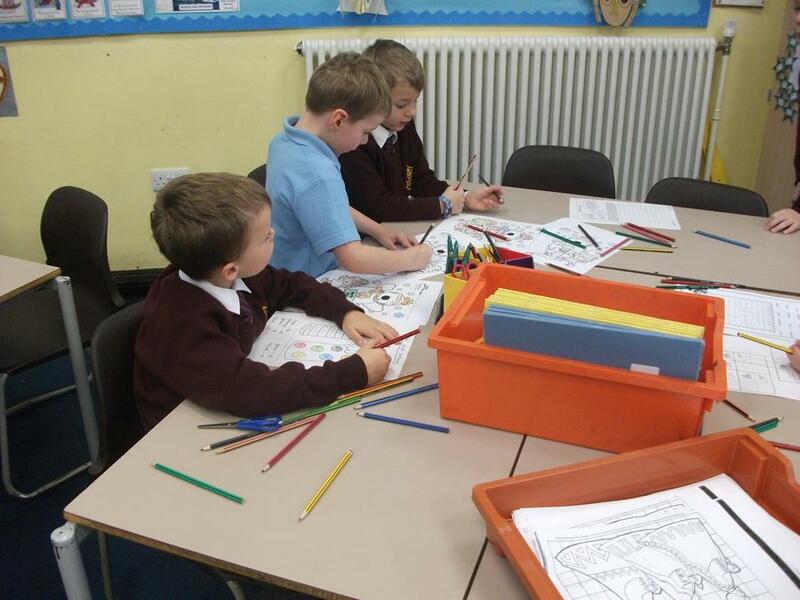 Please note there will be no homework over the Easter Holiday. 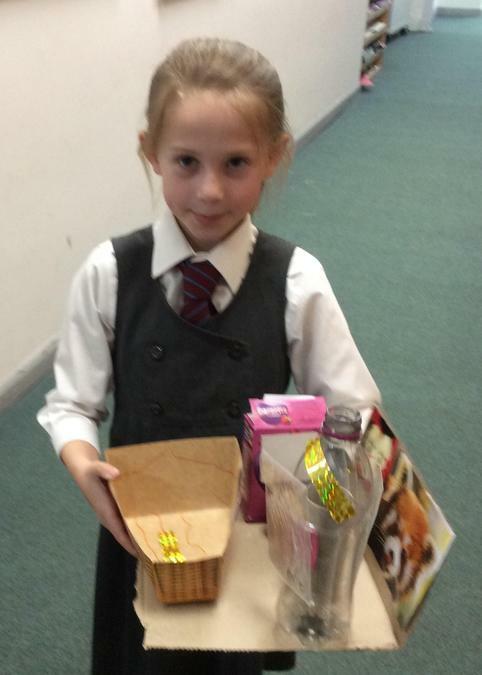 We would like to thank you for your continued support at home. 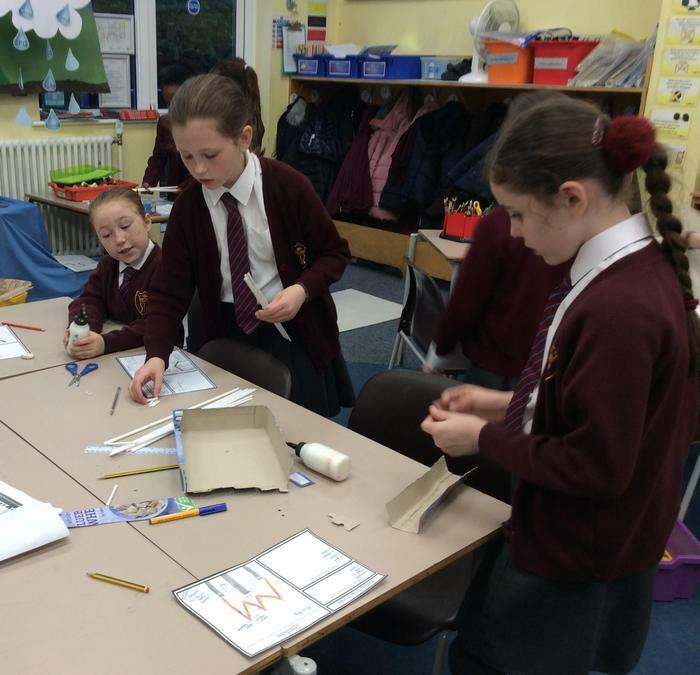 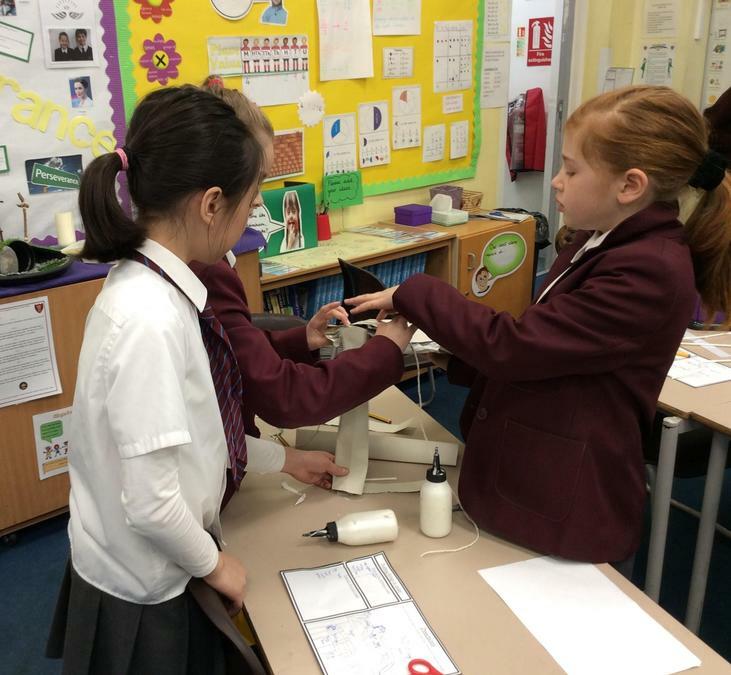 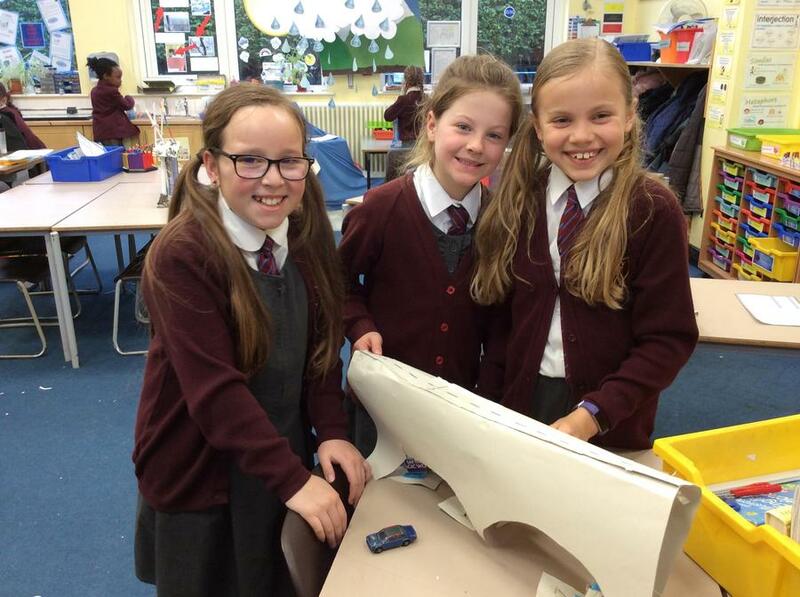 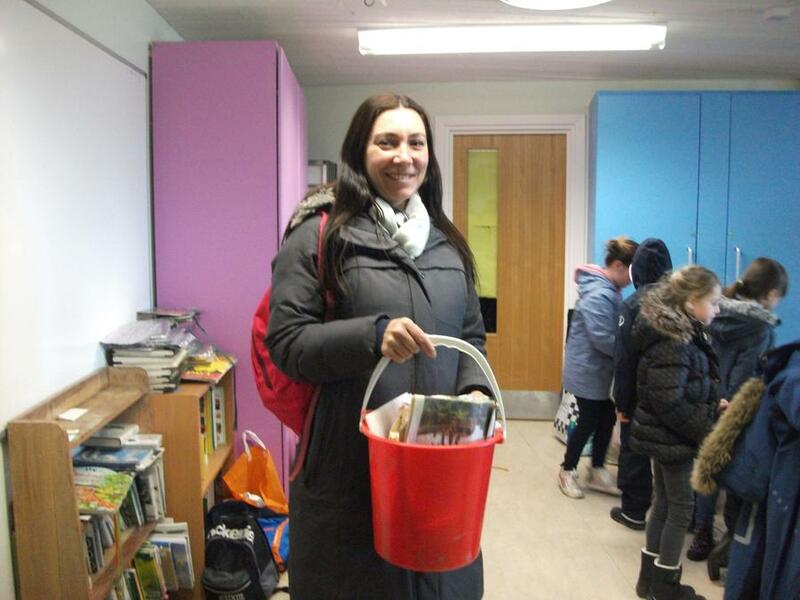 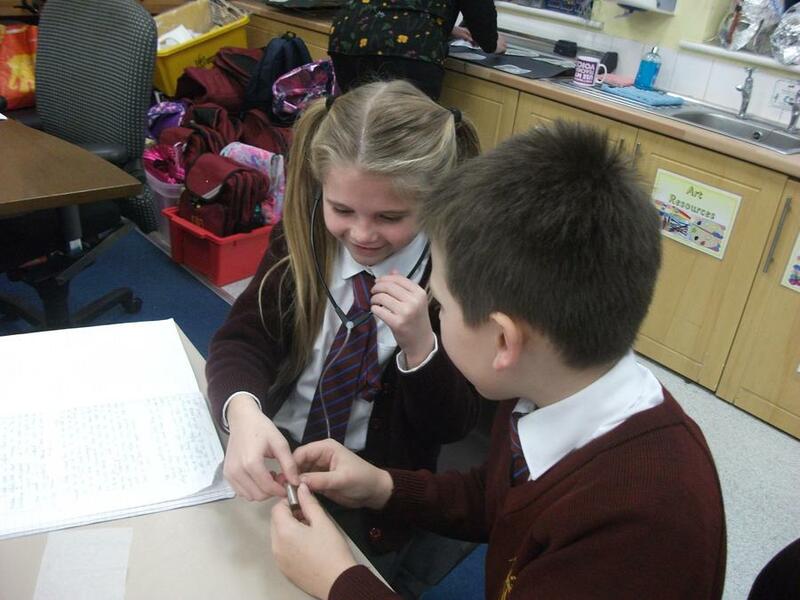 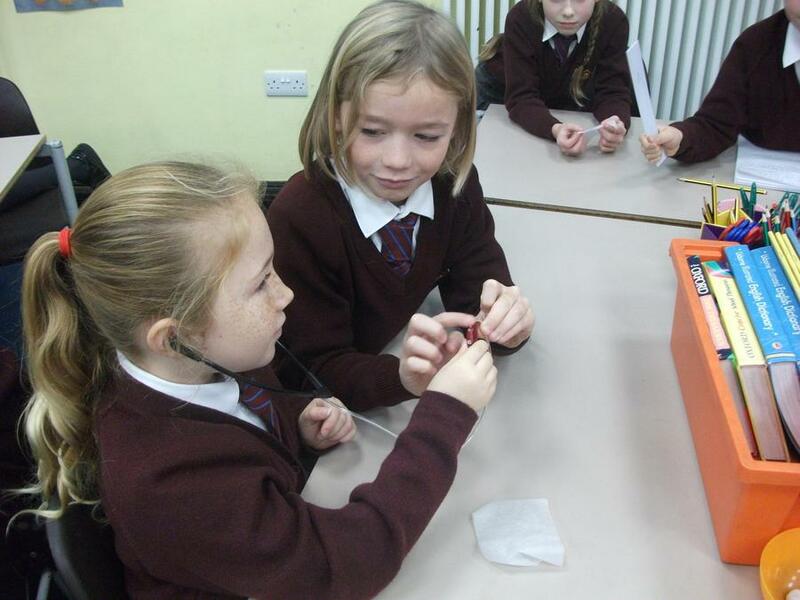 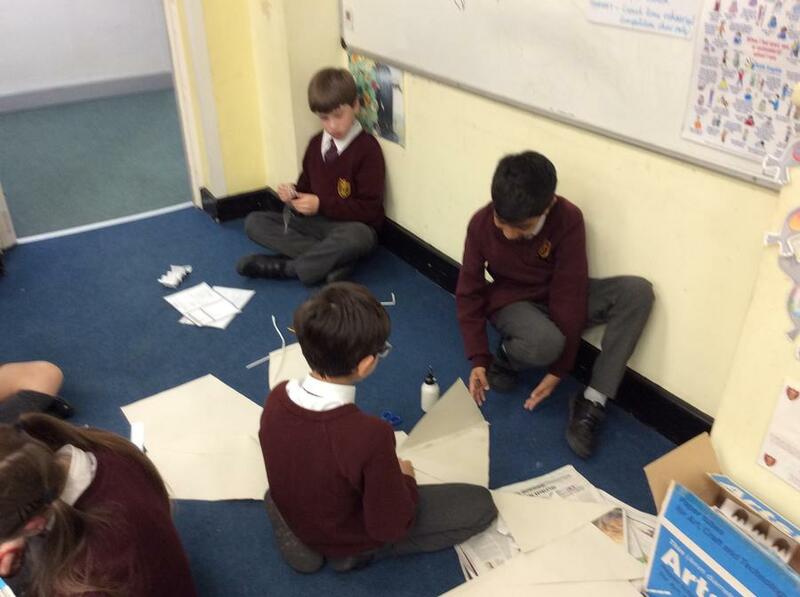 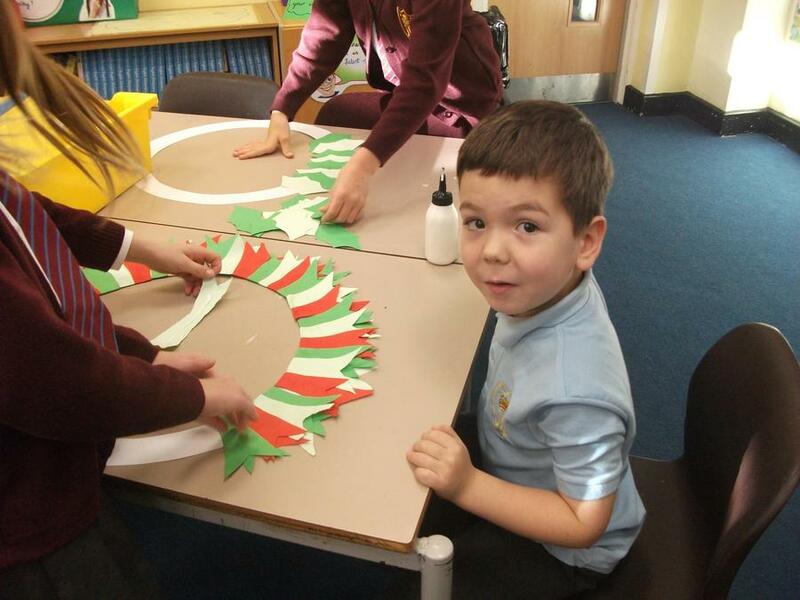 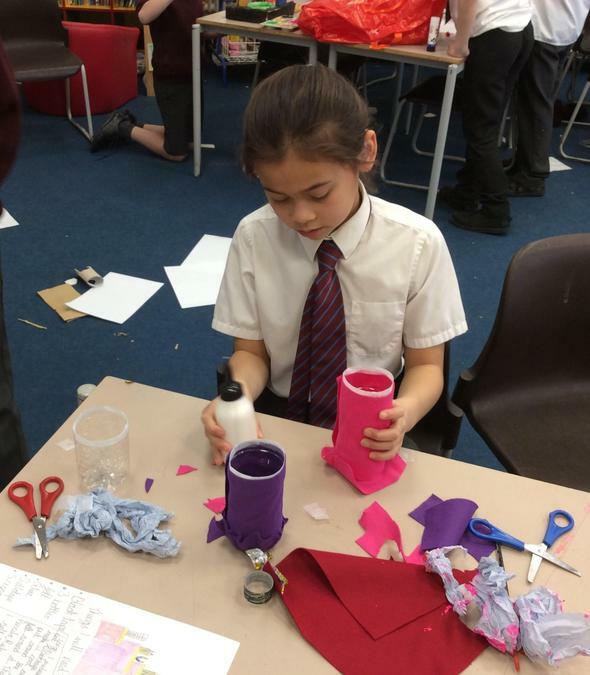 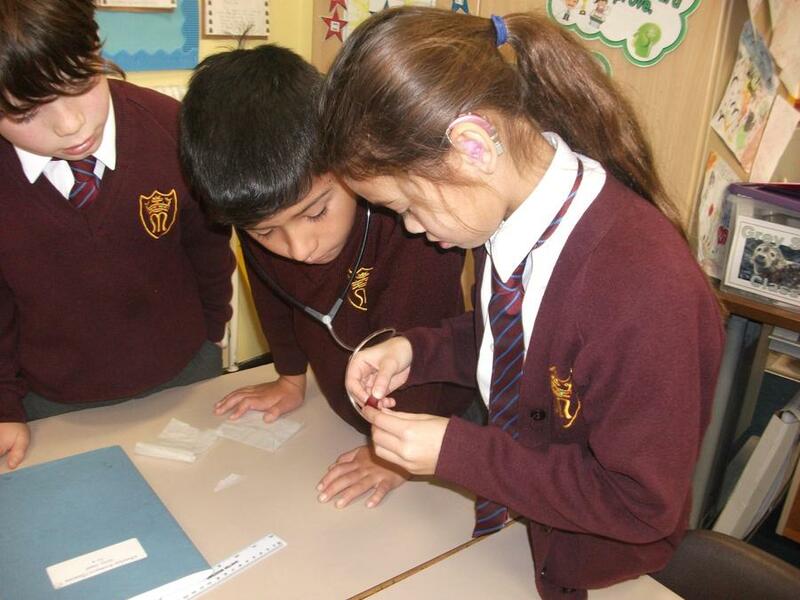 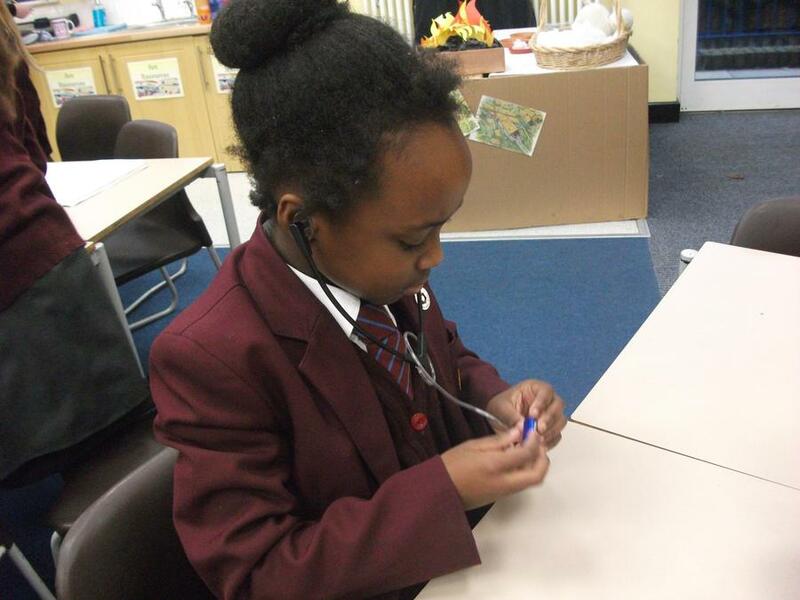 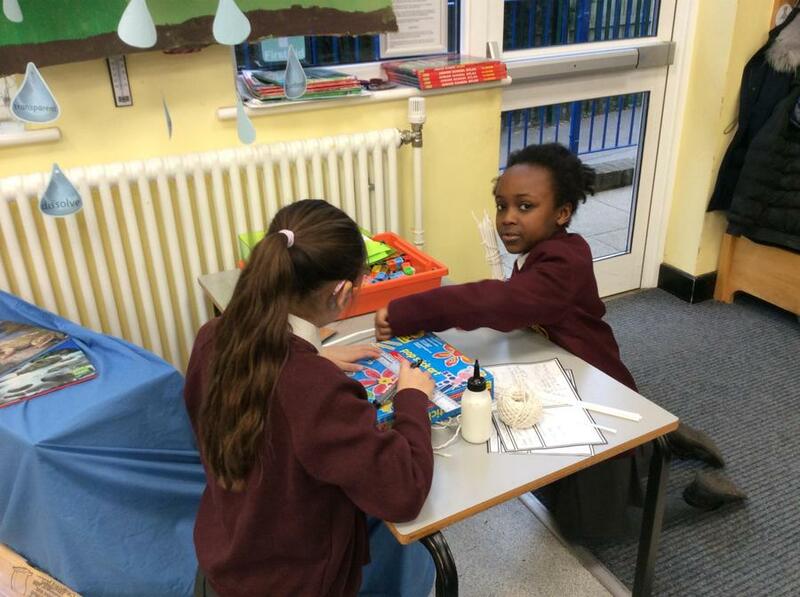 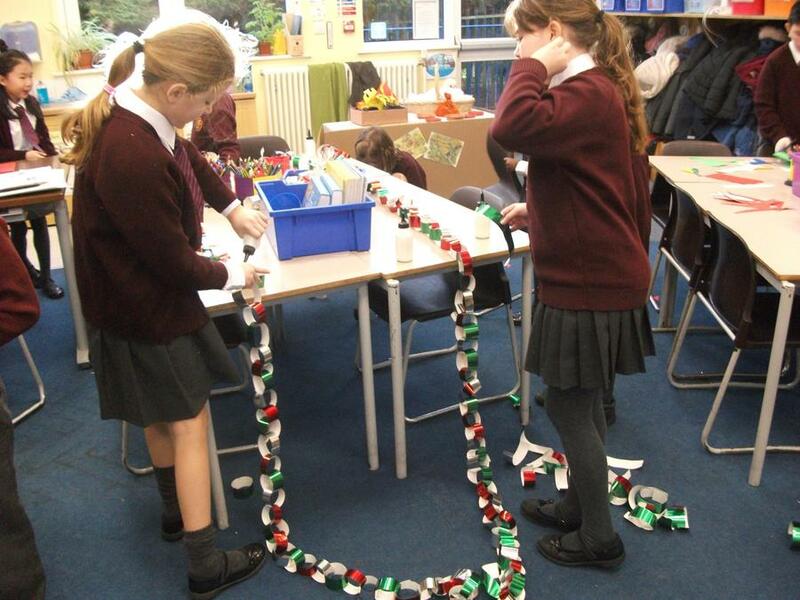 A special thank you to all the parents who have come in to help this term. 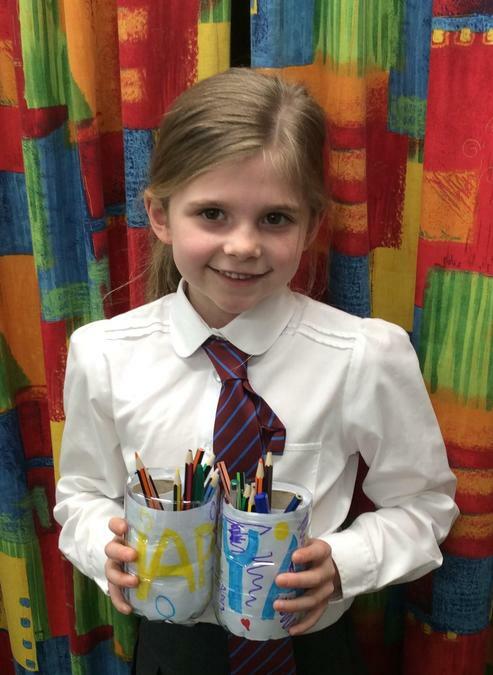 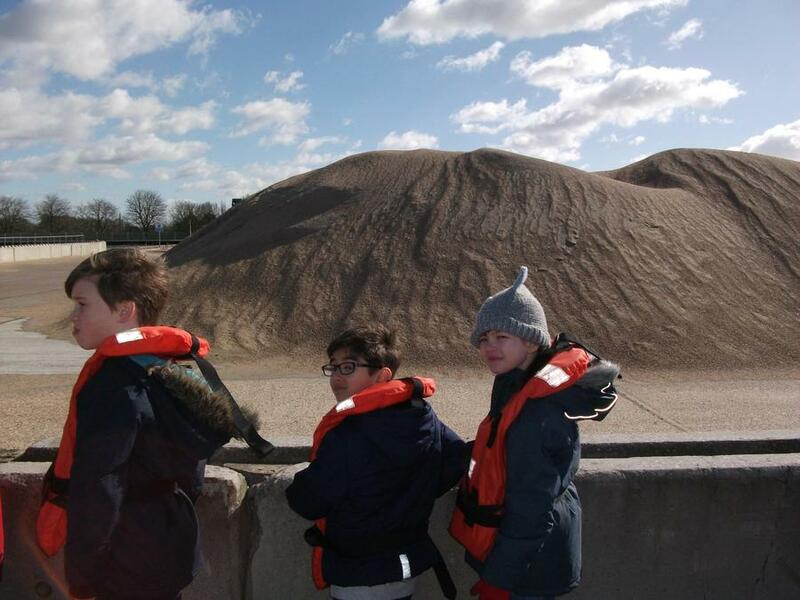 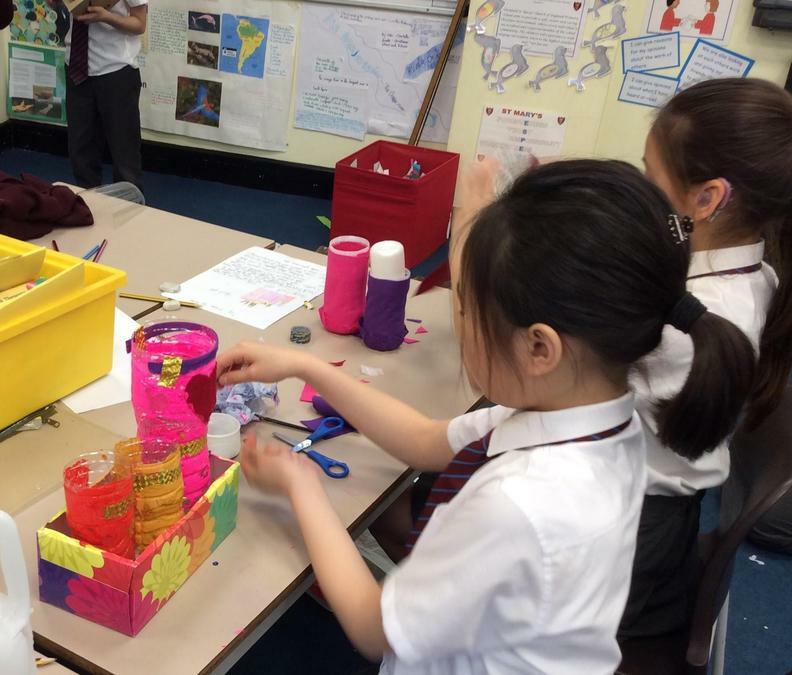 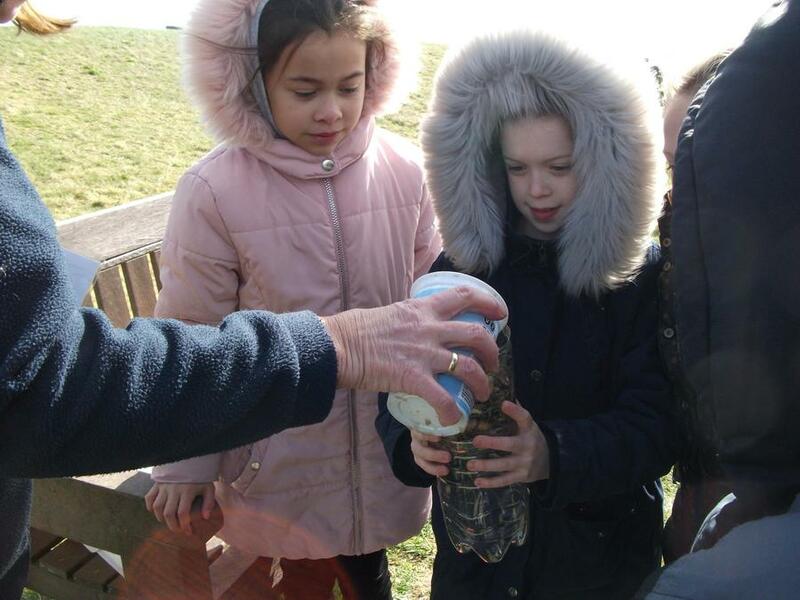 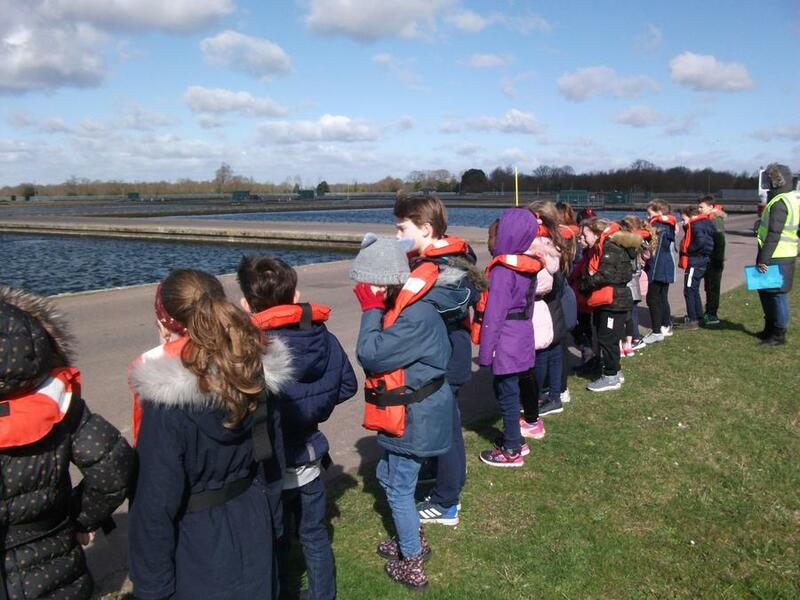 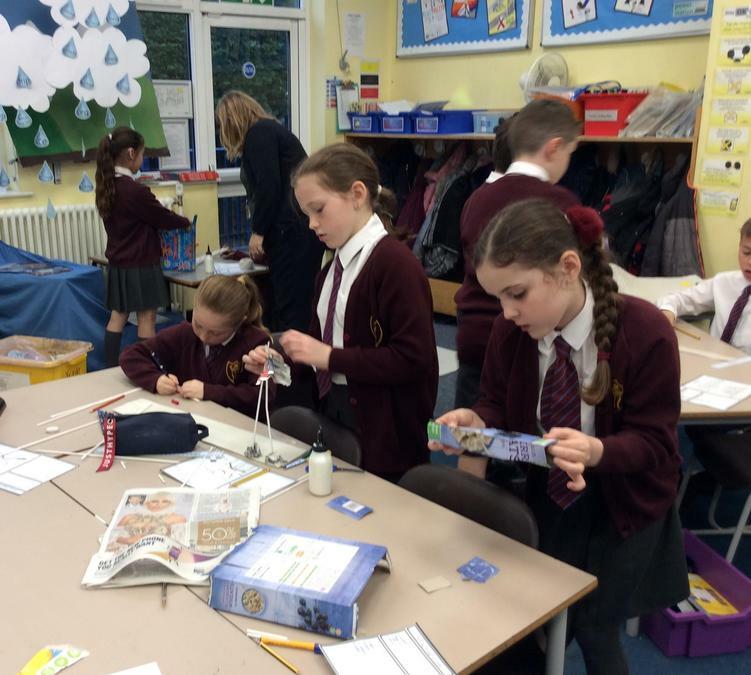 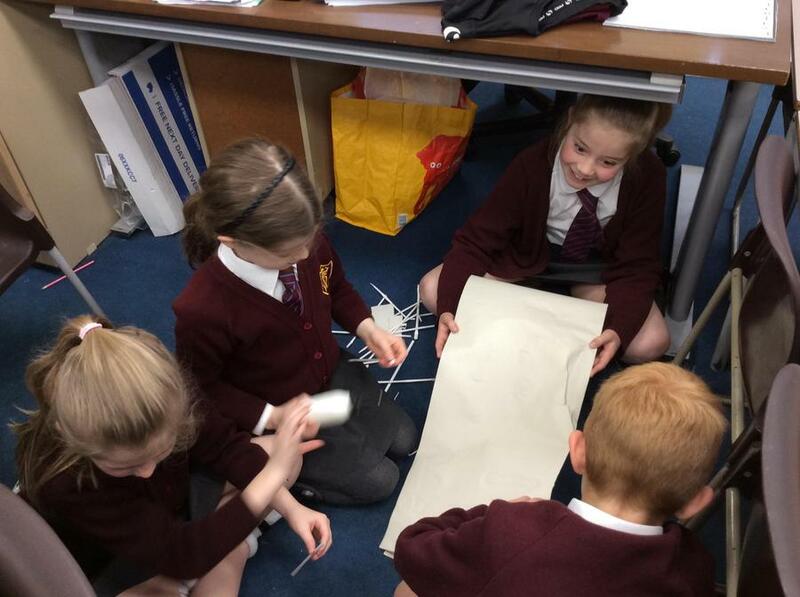 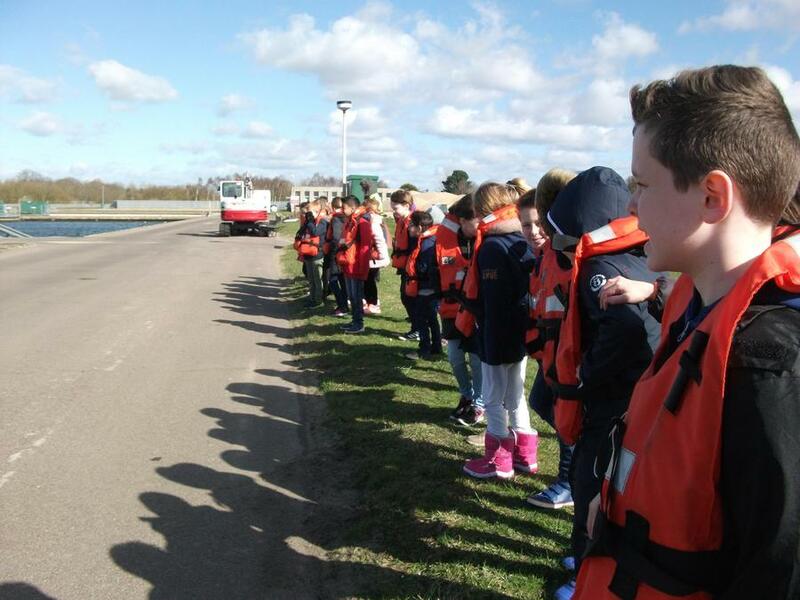 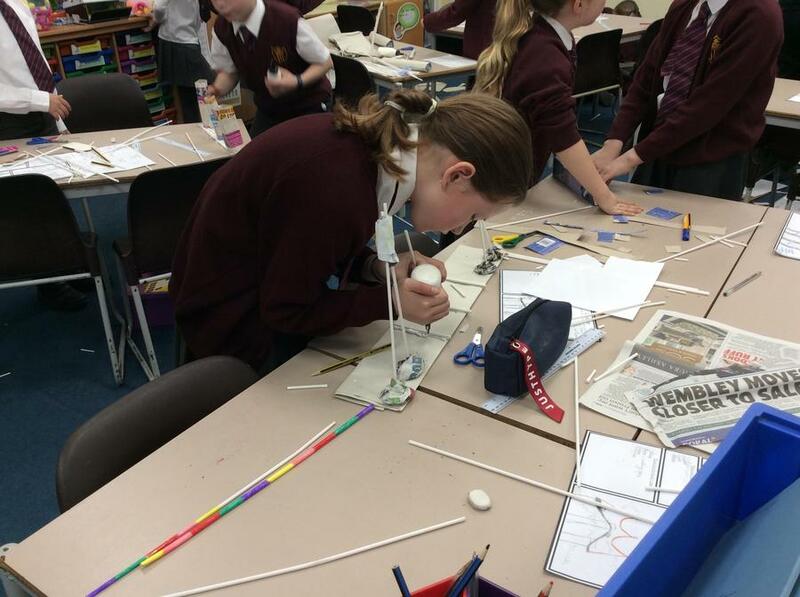 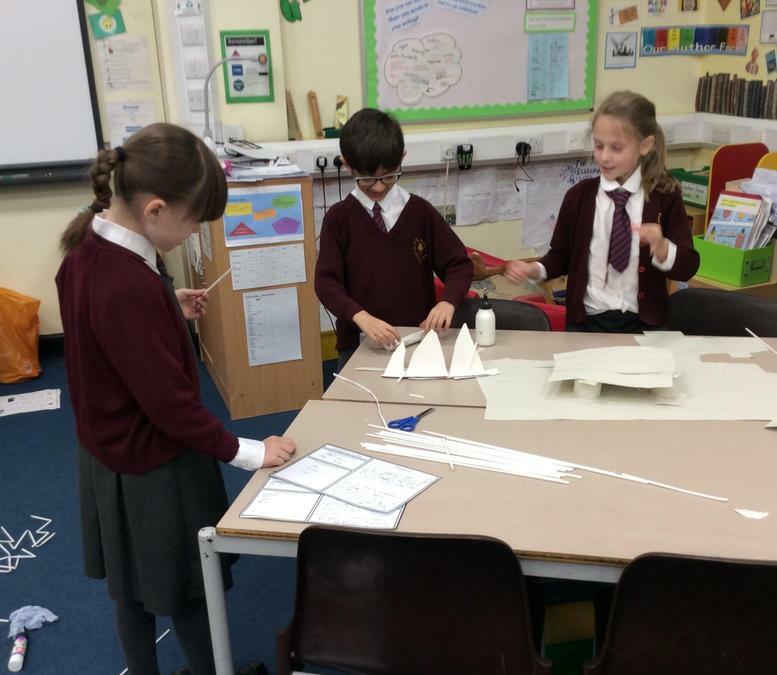 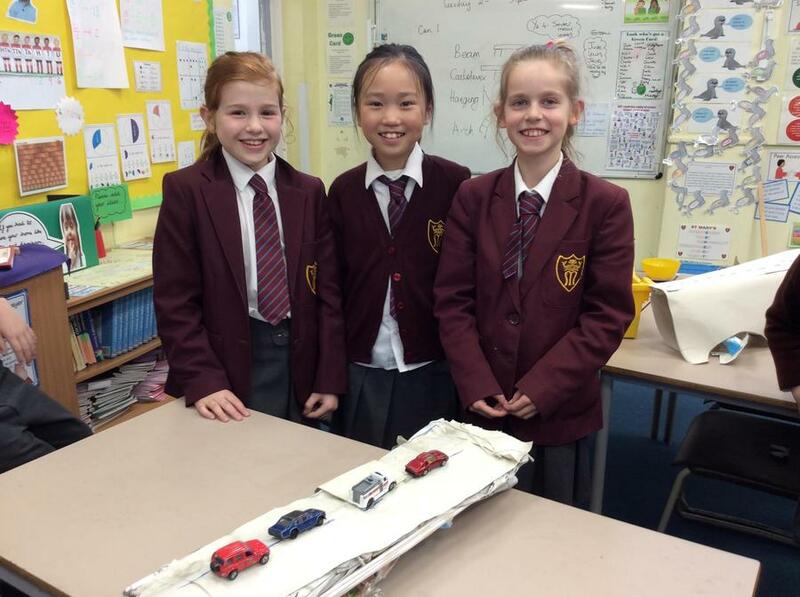 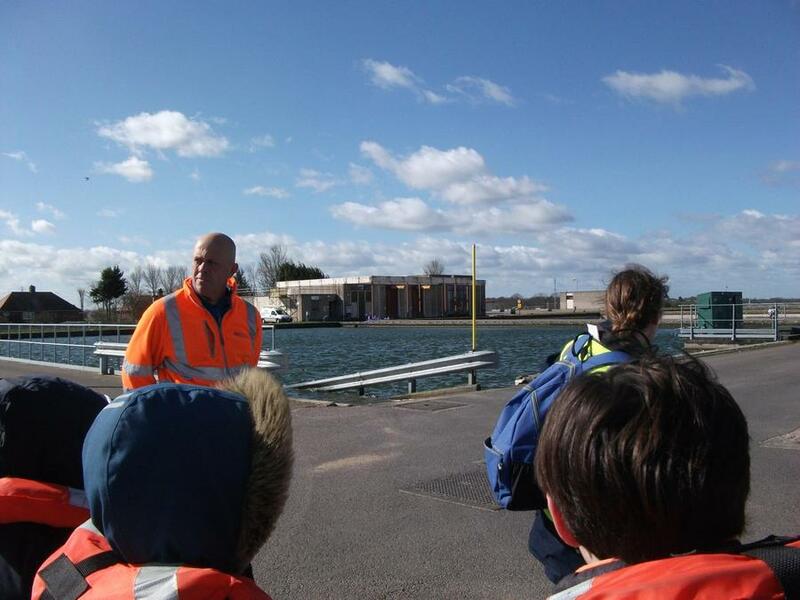 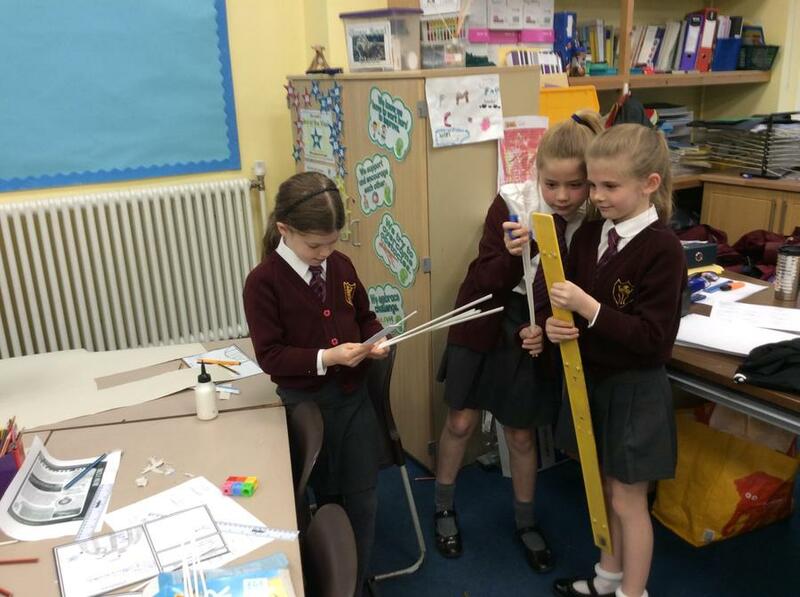 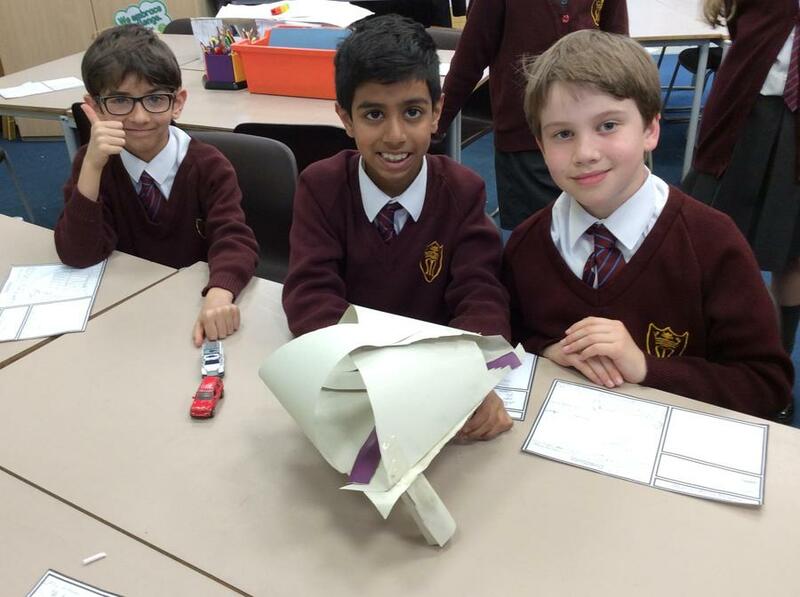 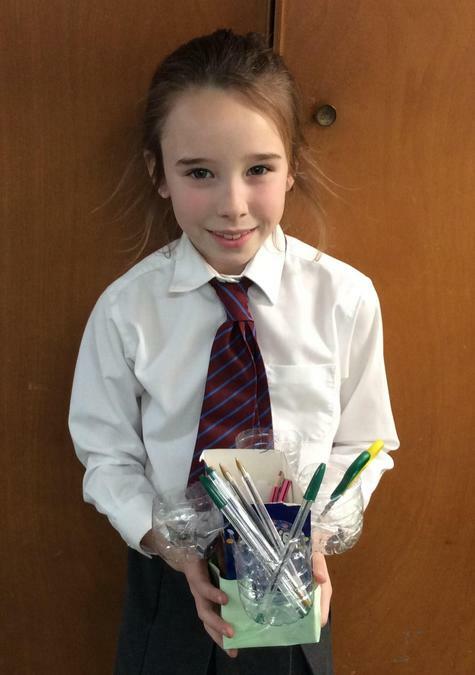 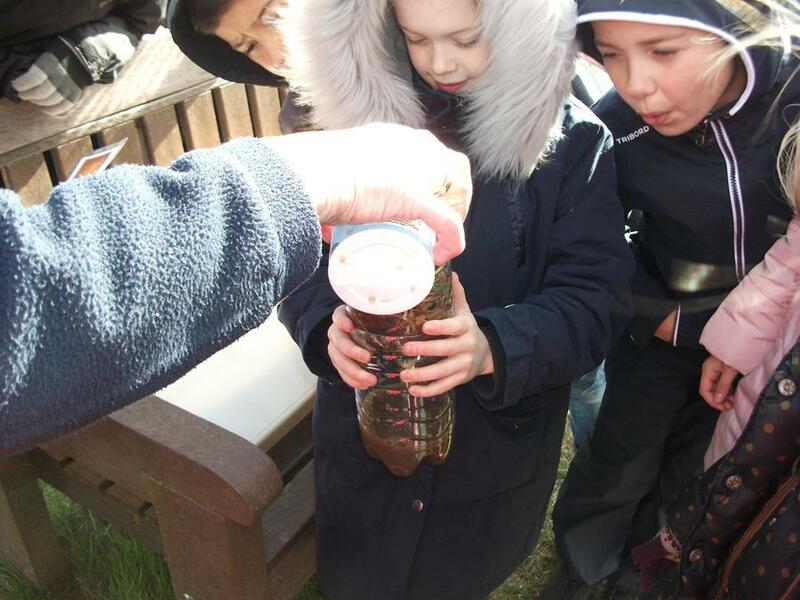 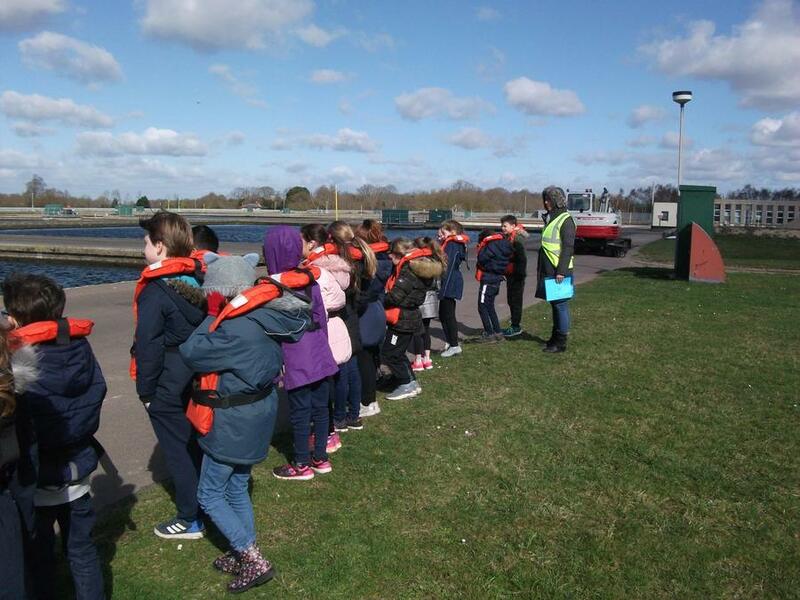 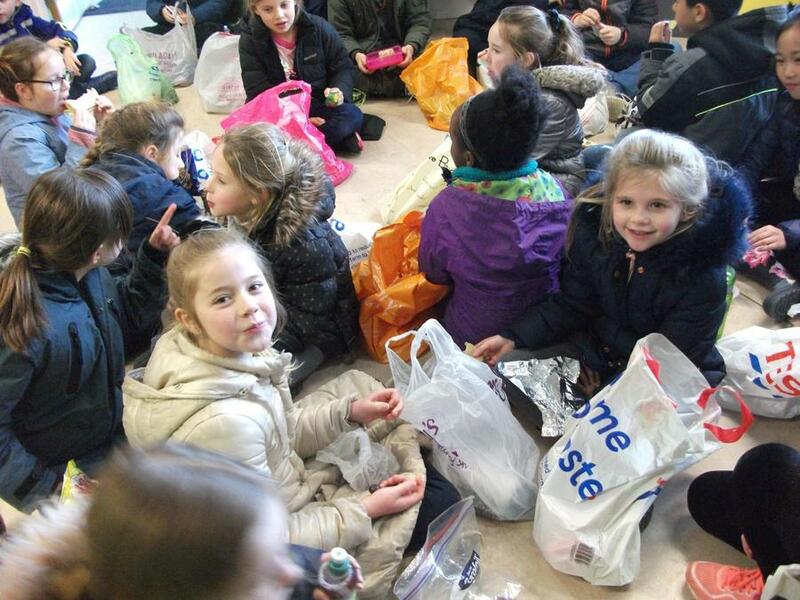 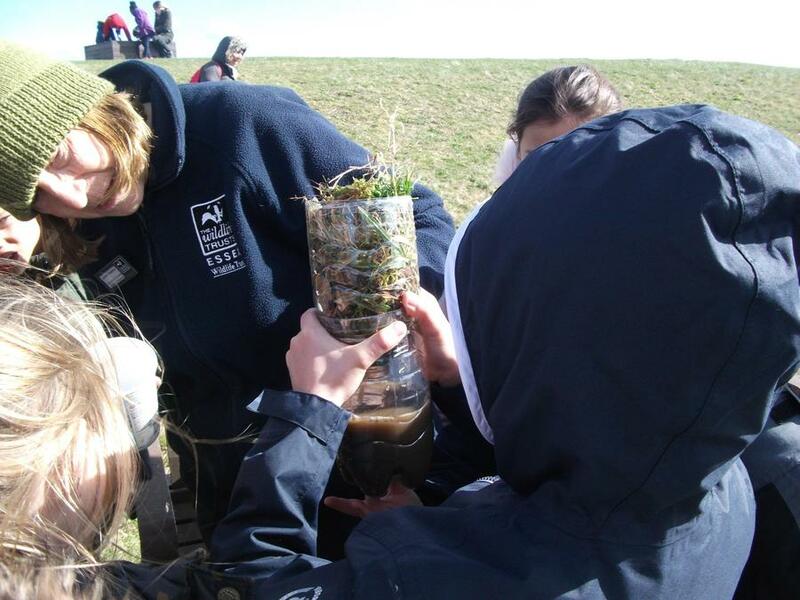 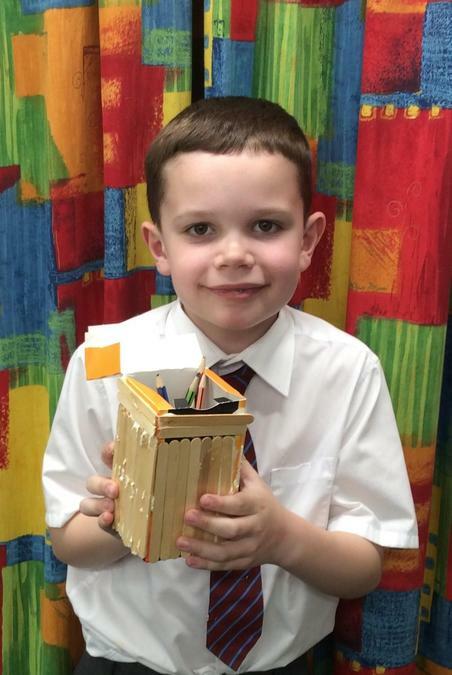 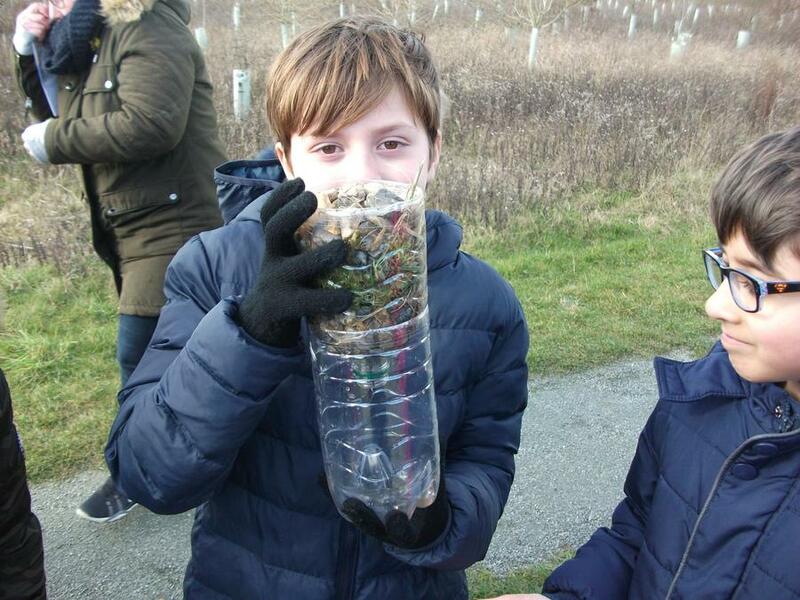 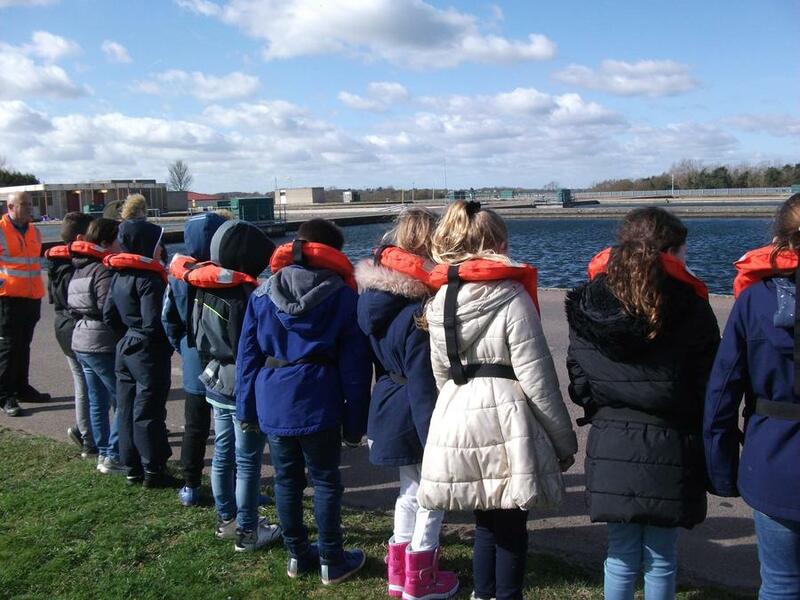 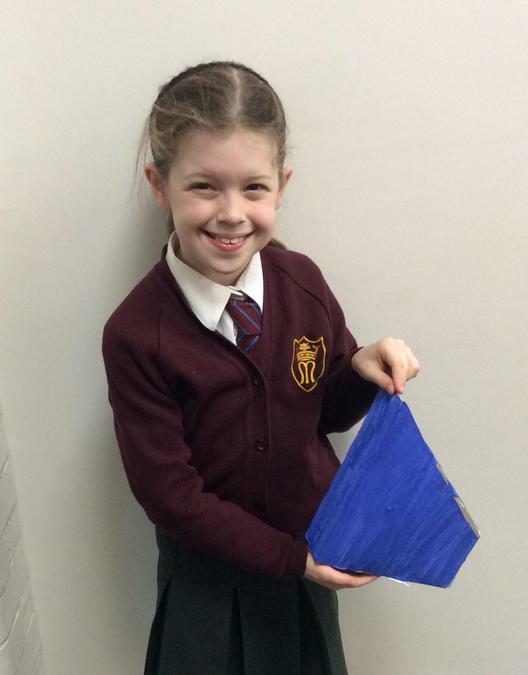 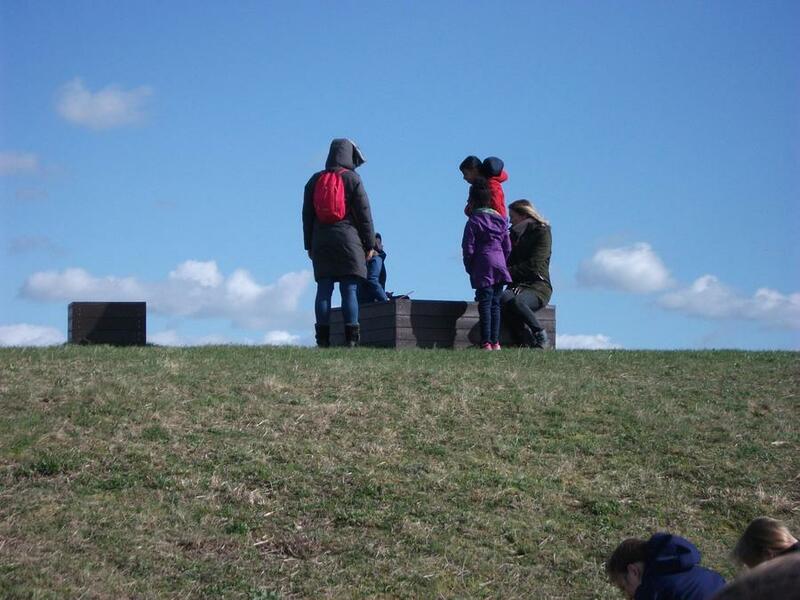 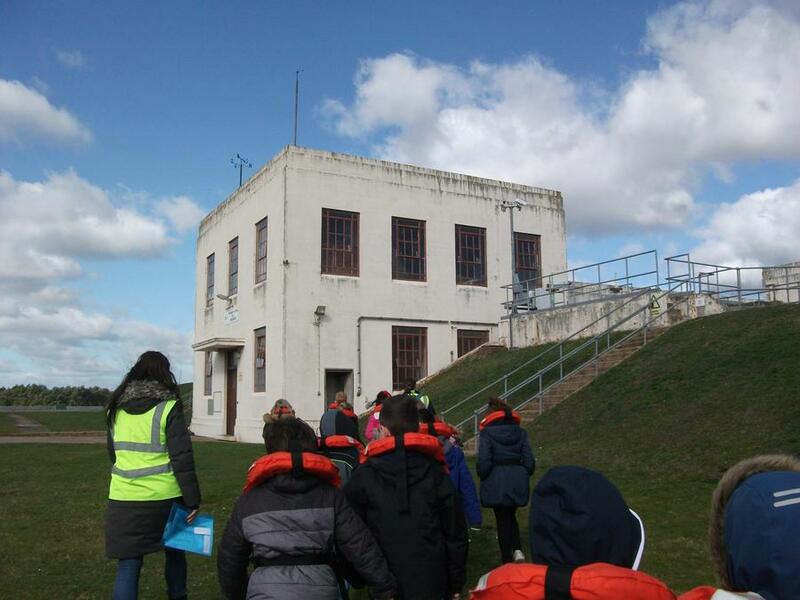 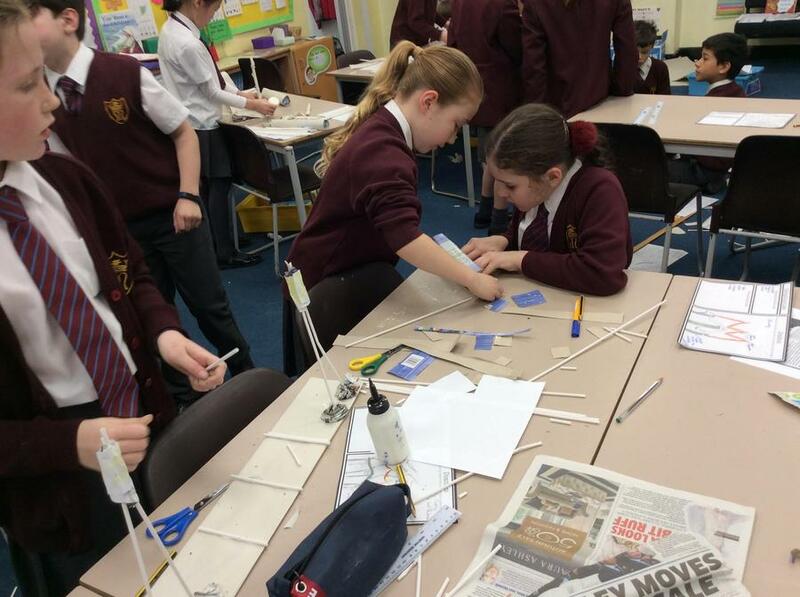 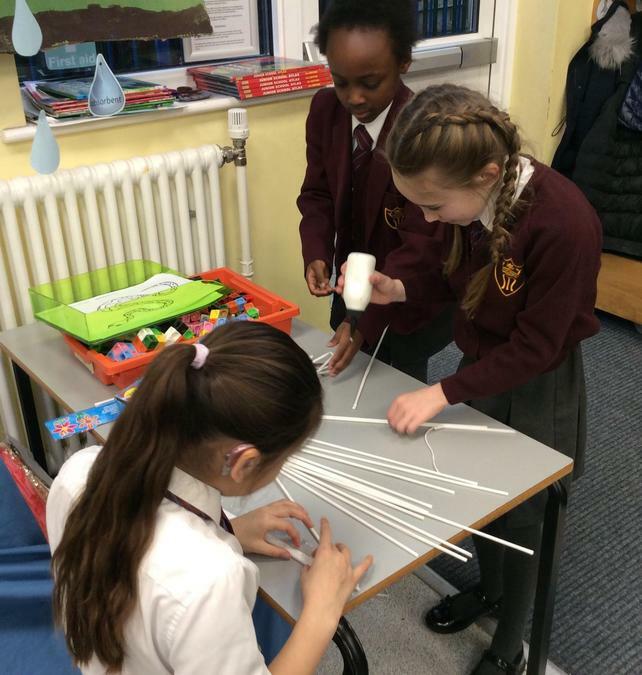 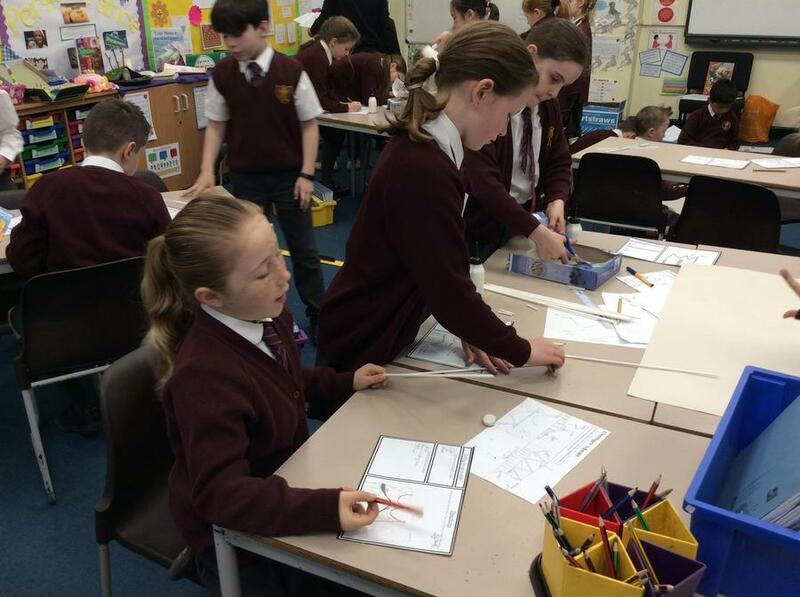 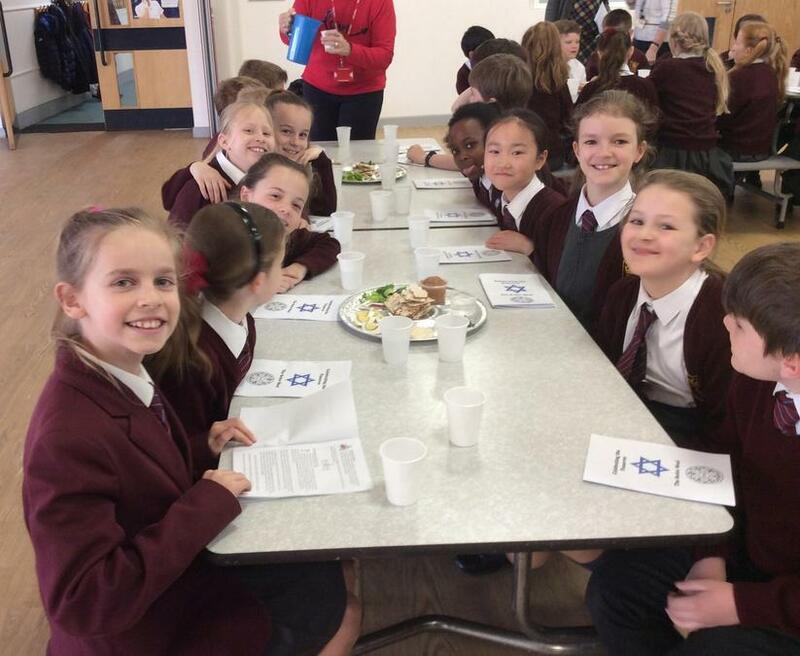 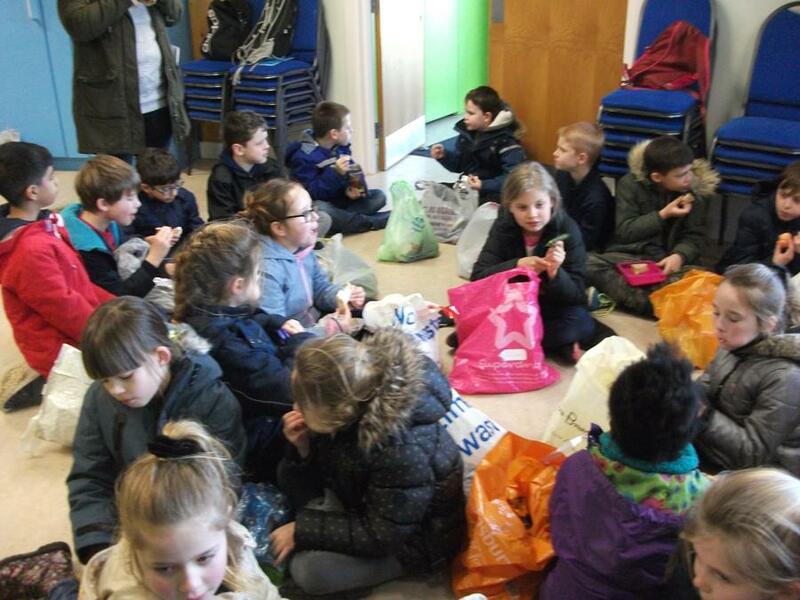 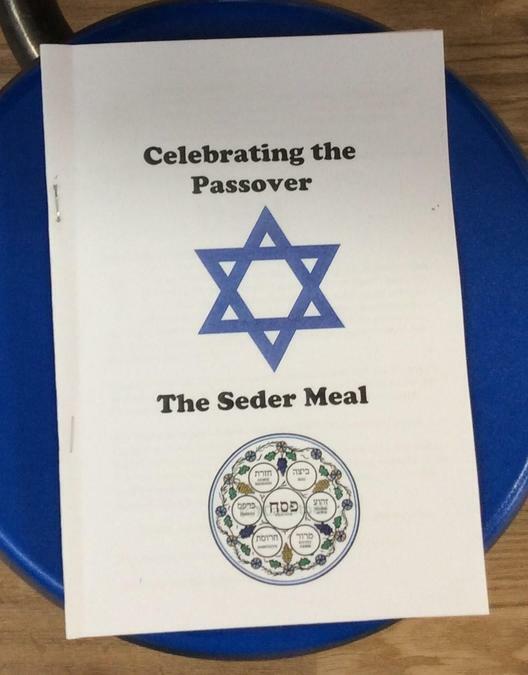 We've certainly been very busy - a trip to Abberton Reservoir, Football Tournament at Shenfield School and our Fabulous Finish - The Passover Seder Meal. 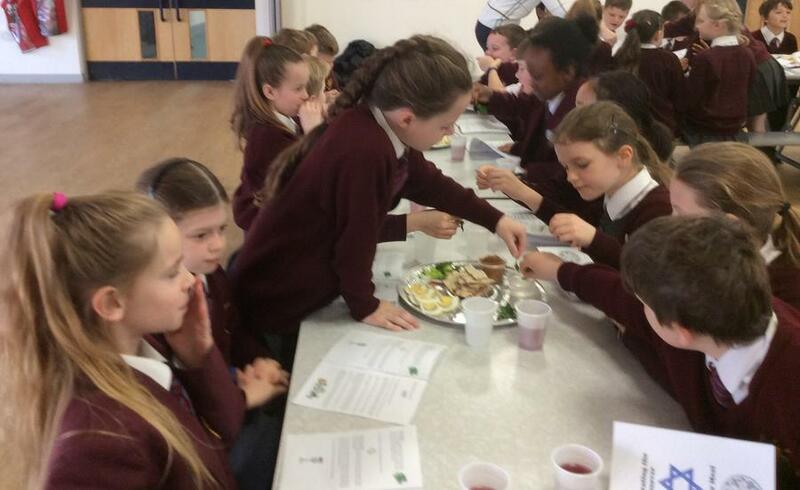 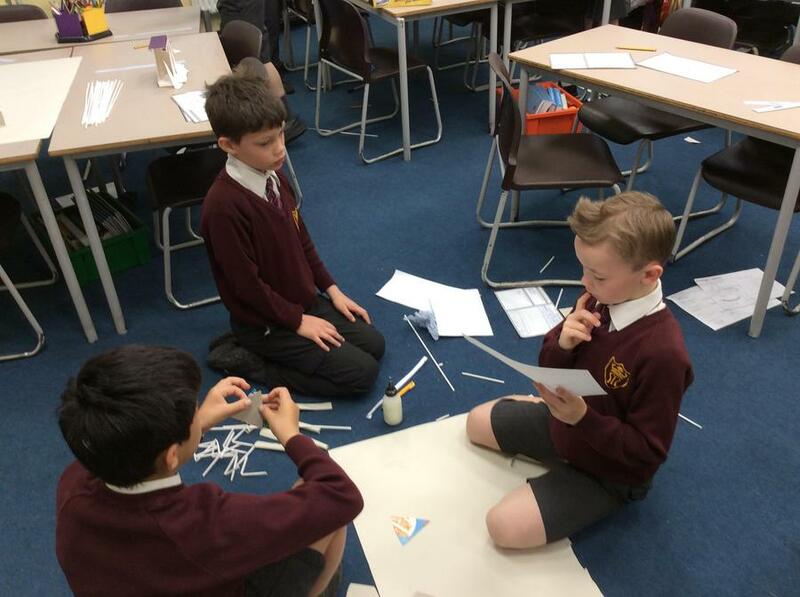 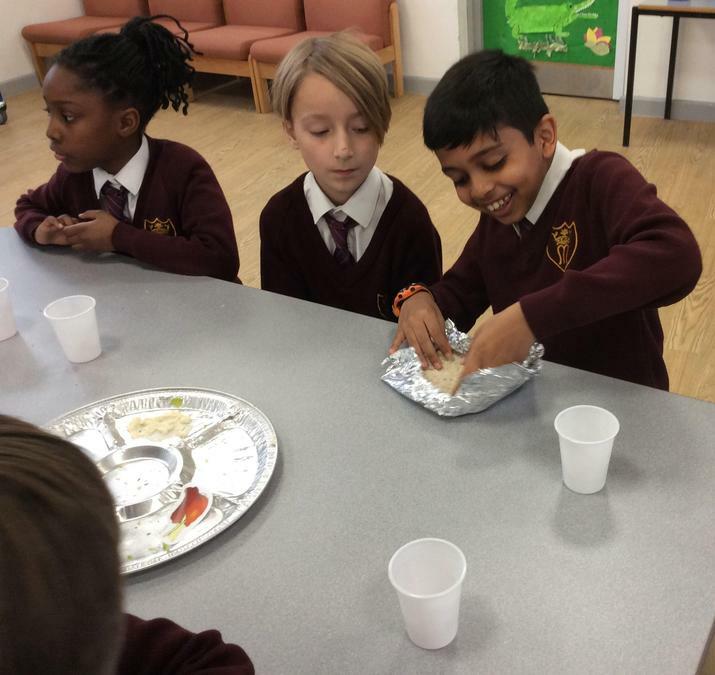 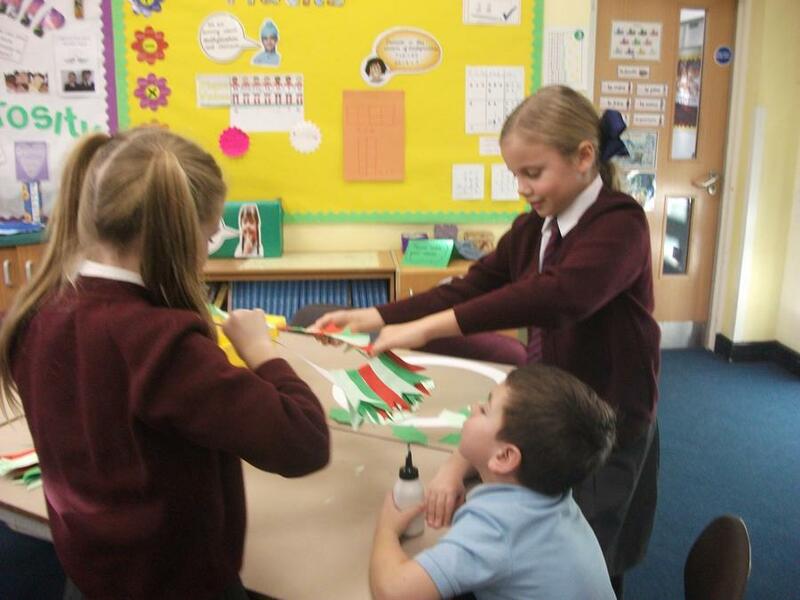 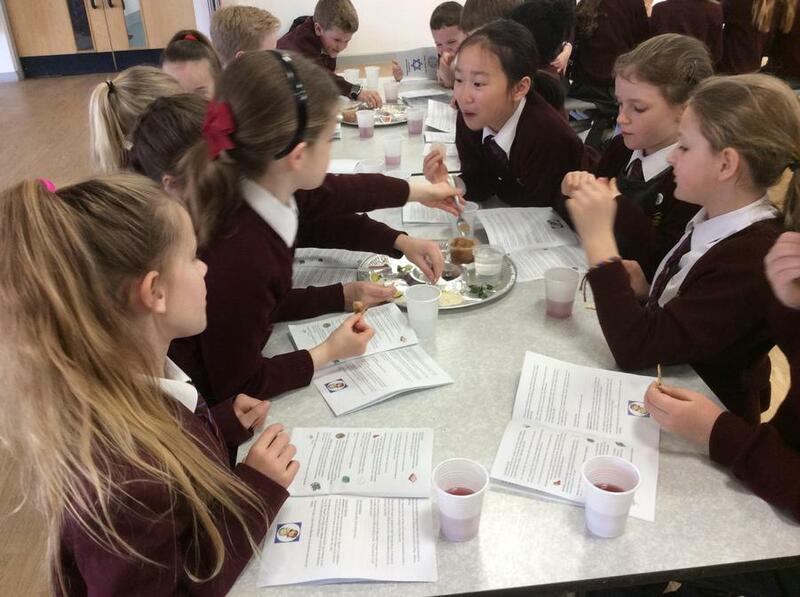 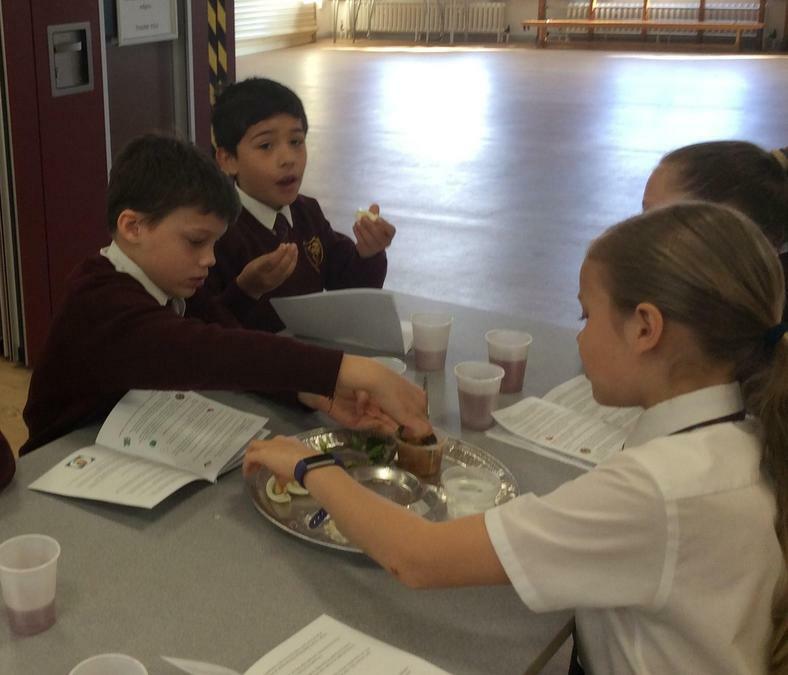 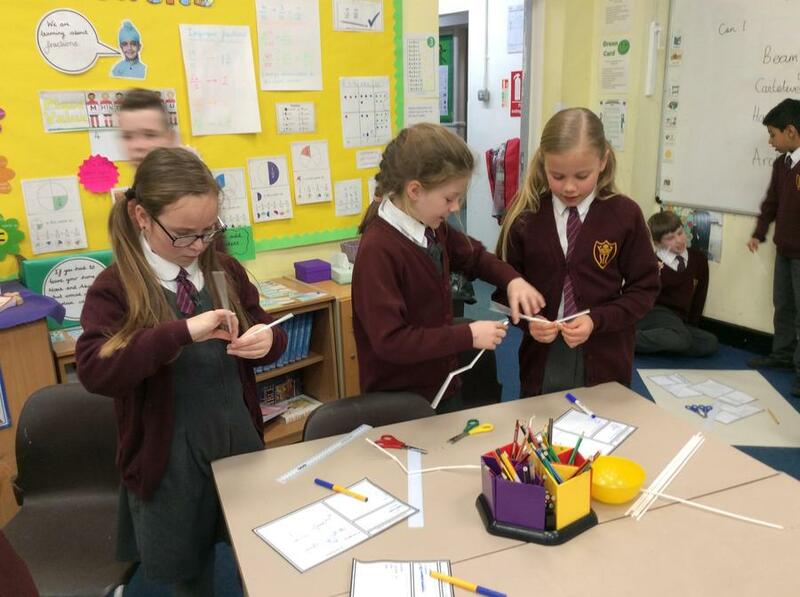 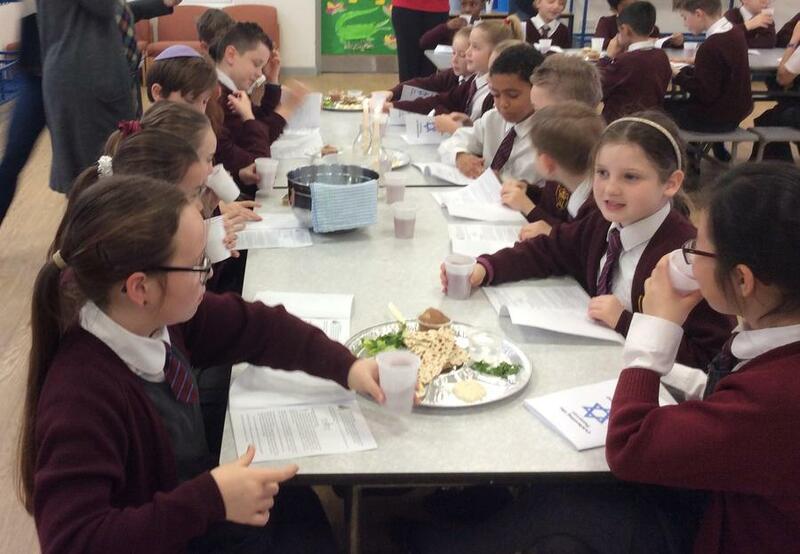 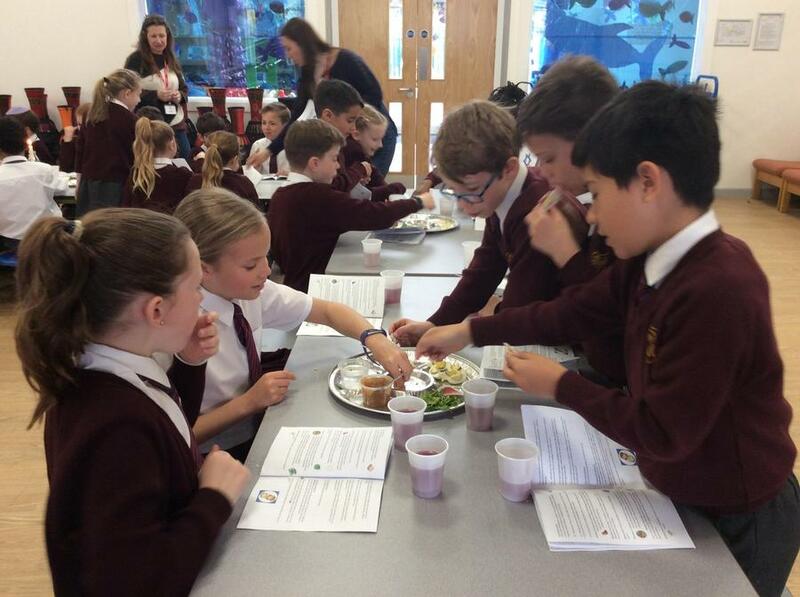 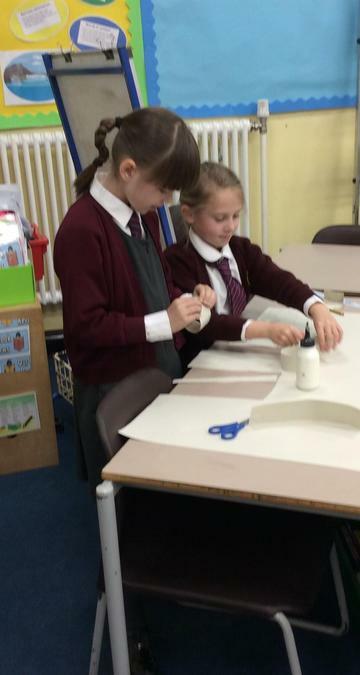 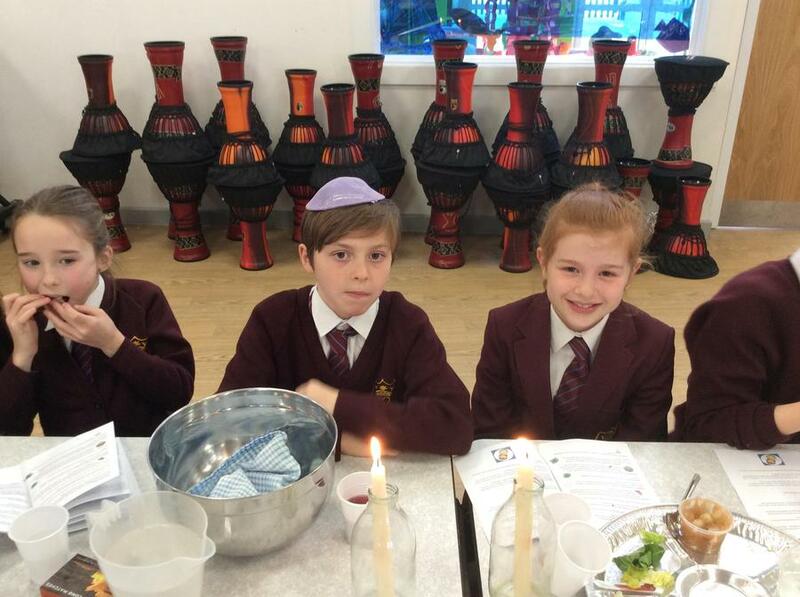 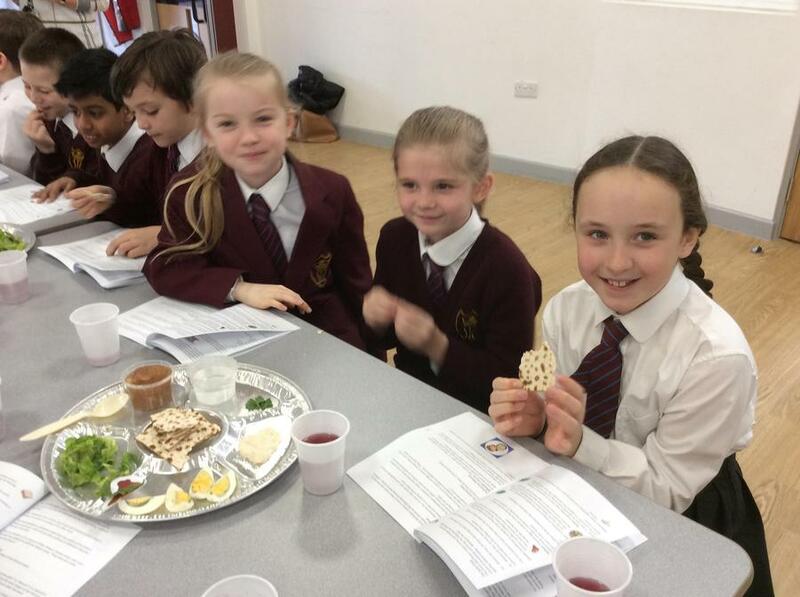 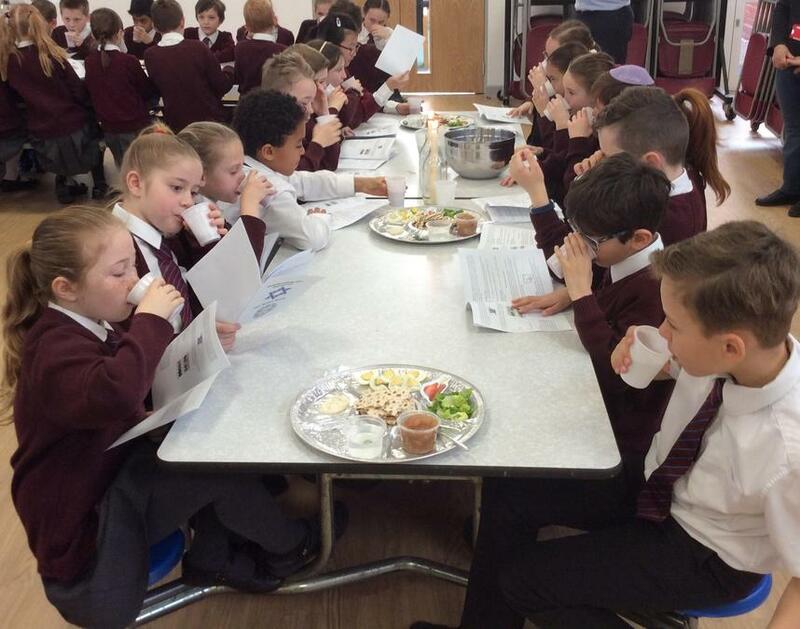 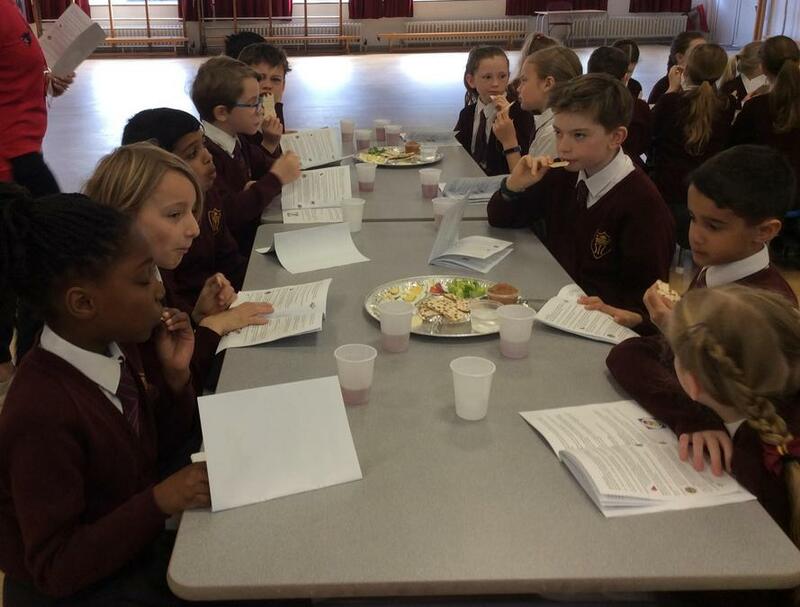 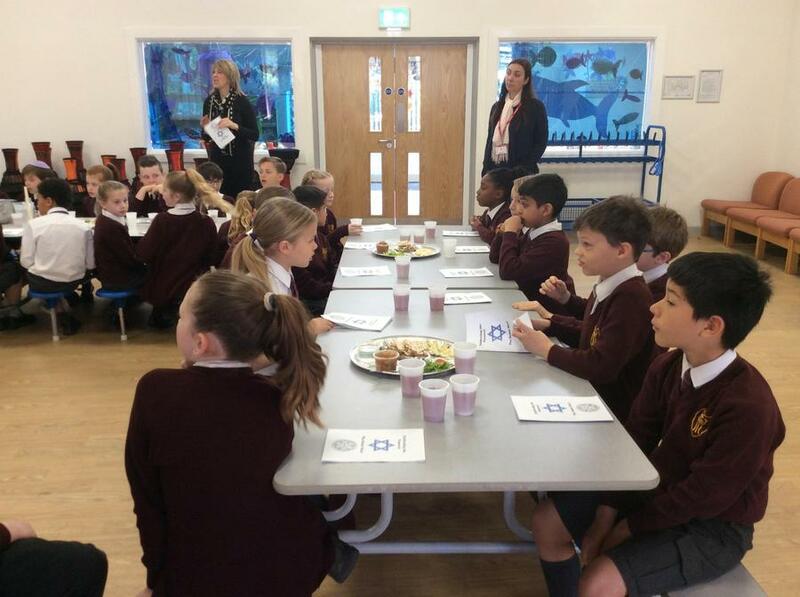 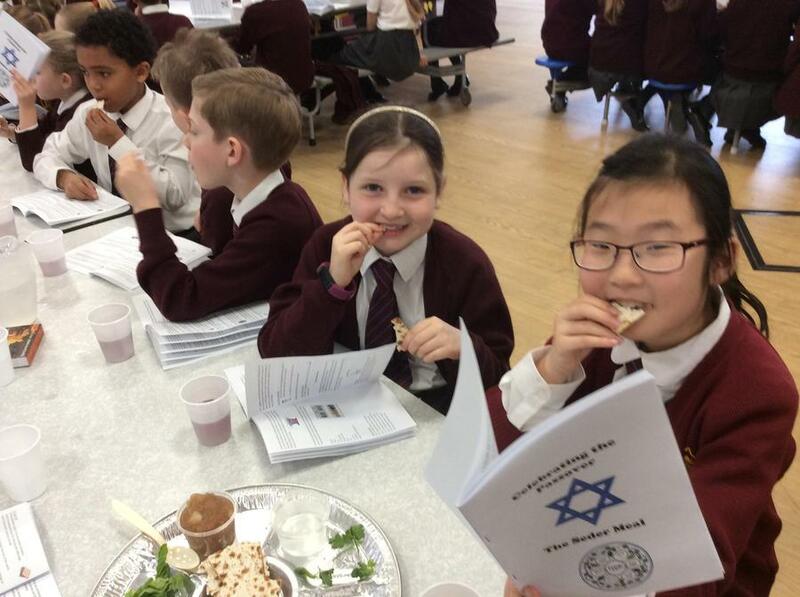 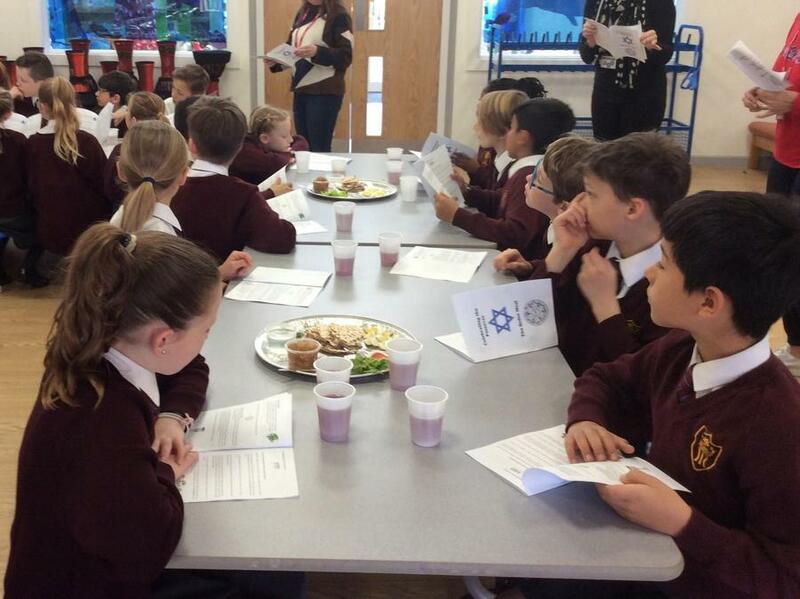 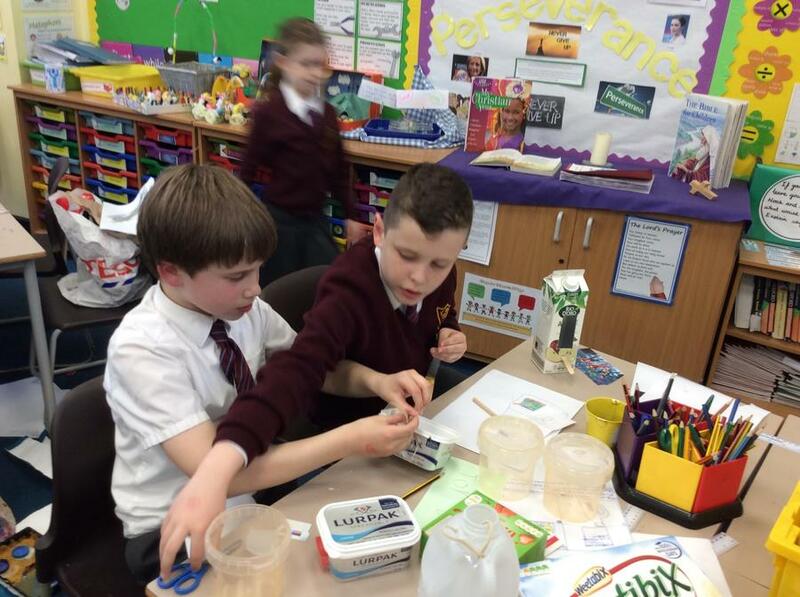 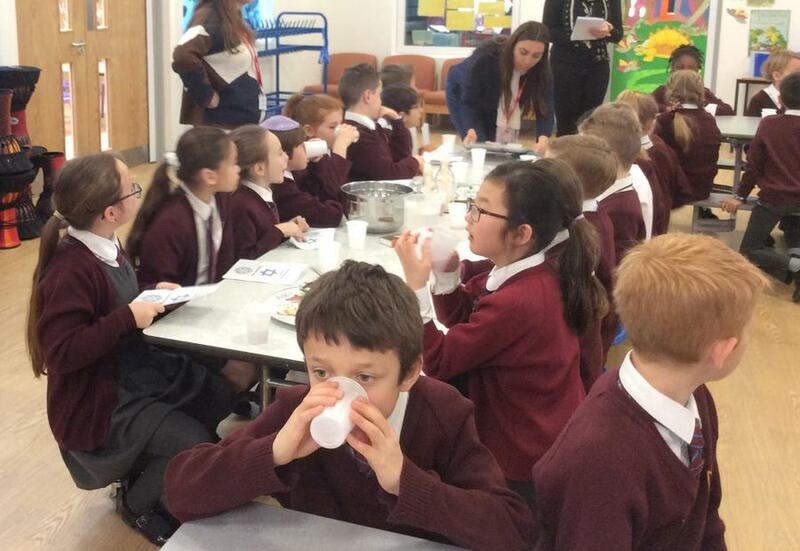 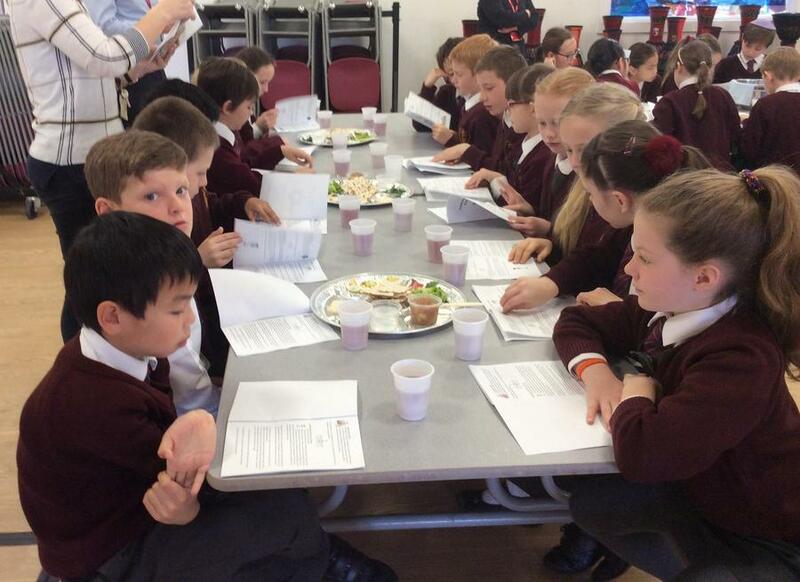 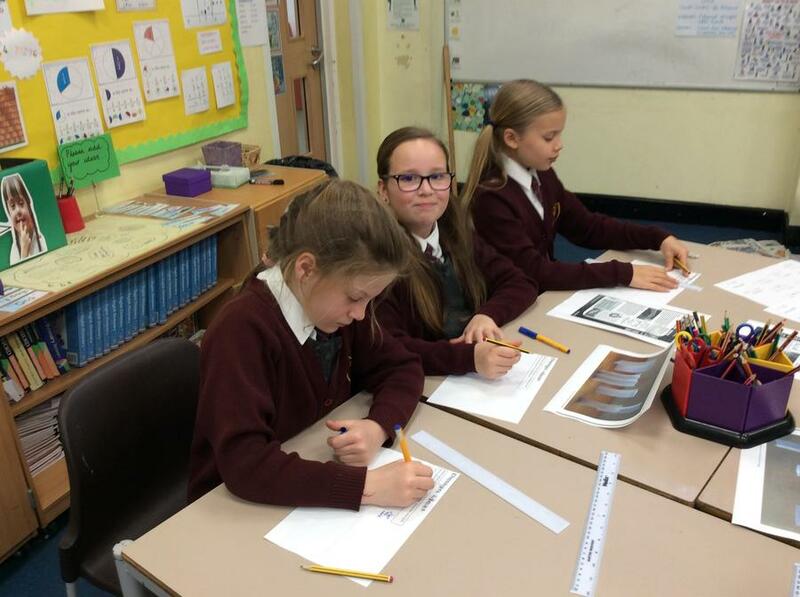 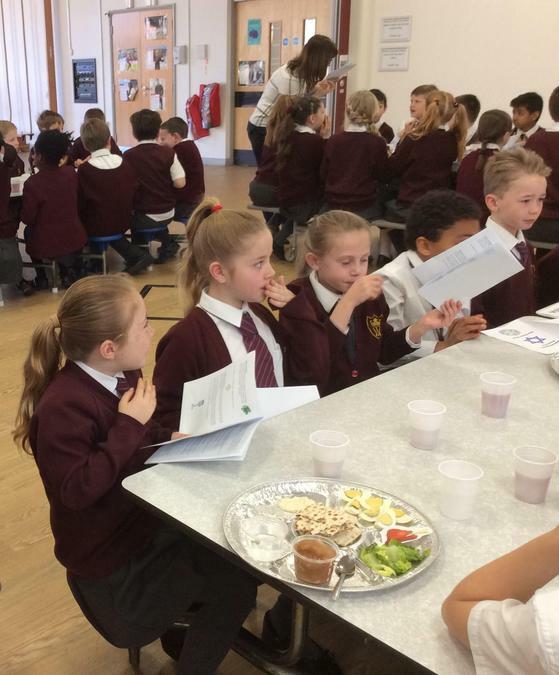 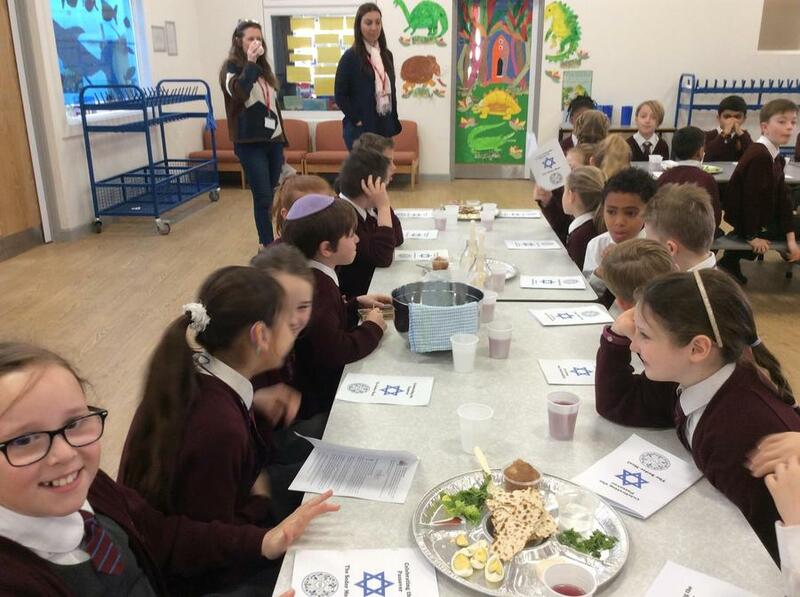 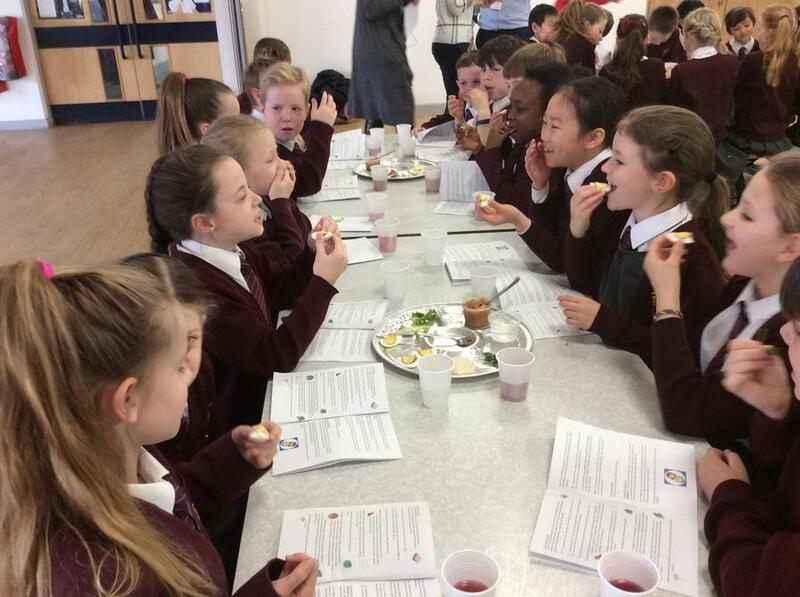 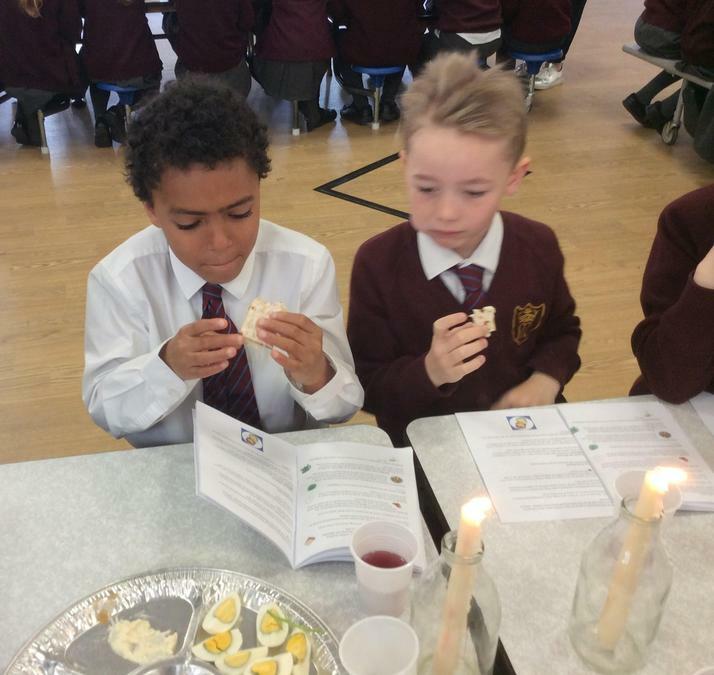 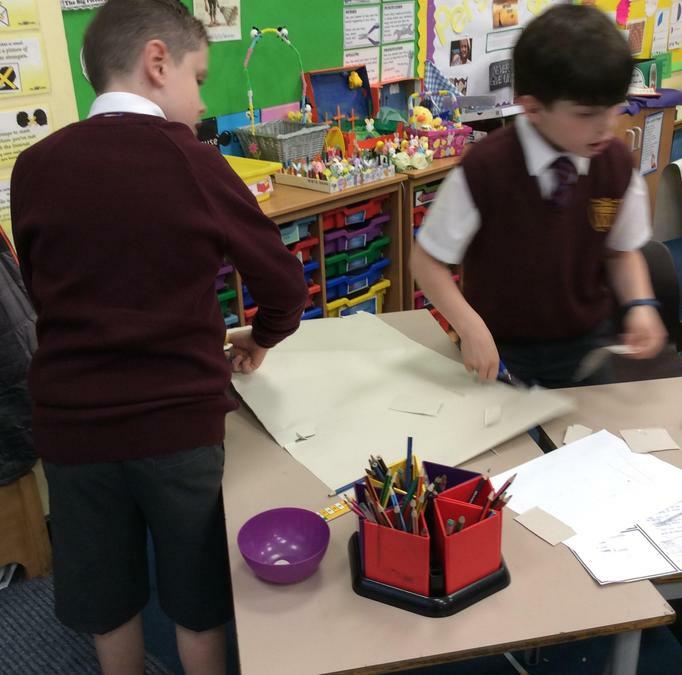 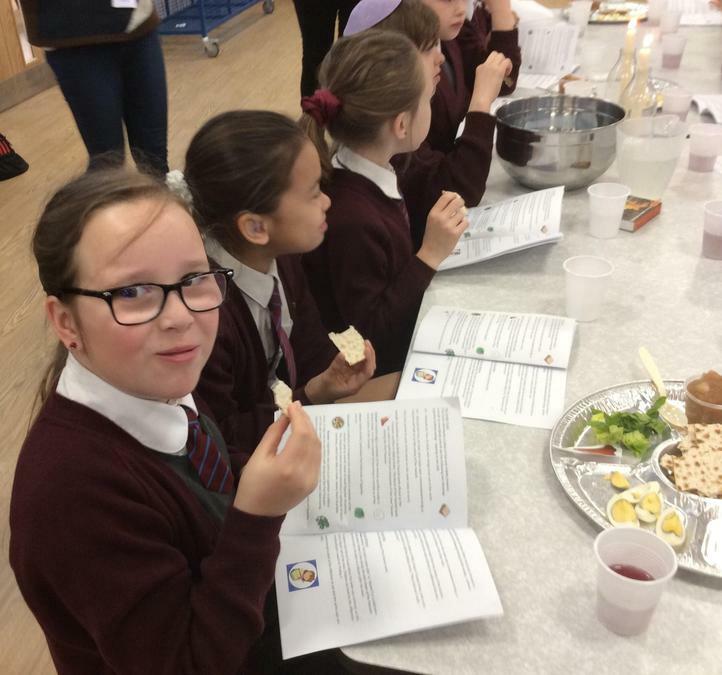 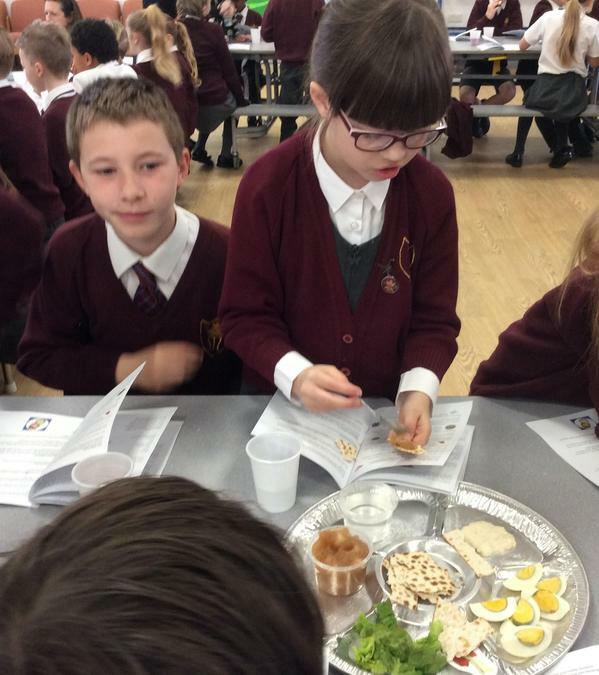 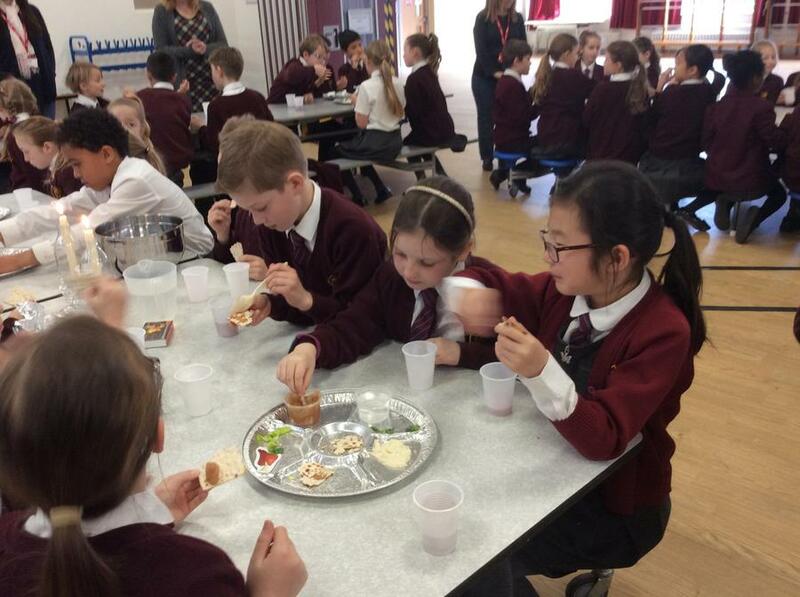 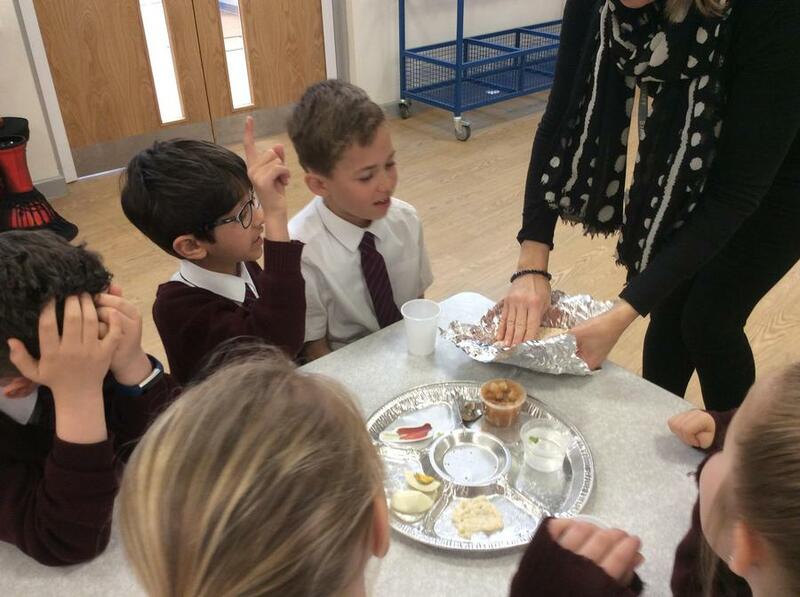 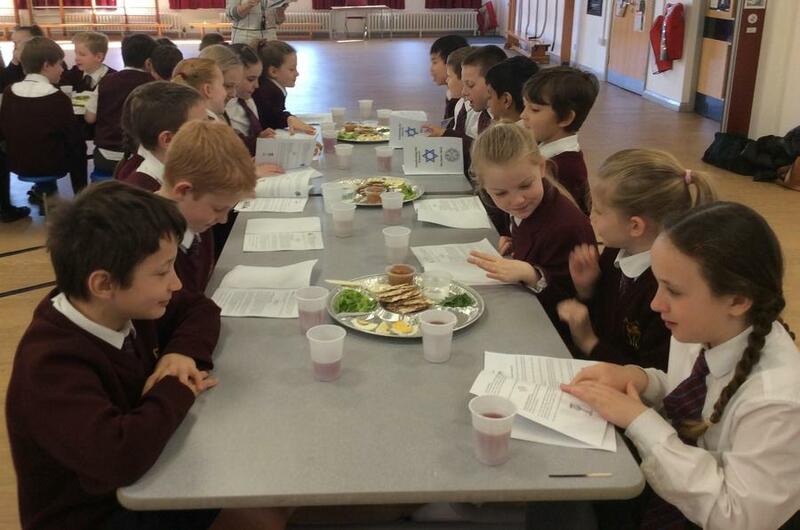 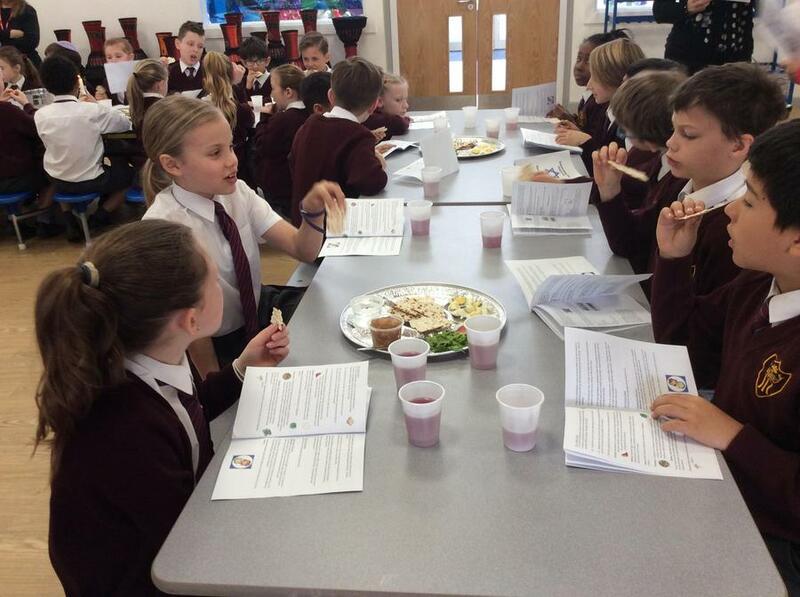 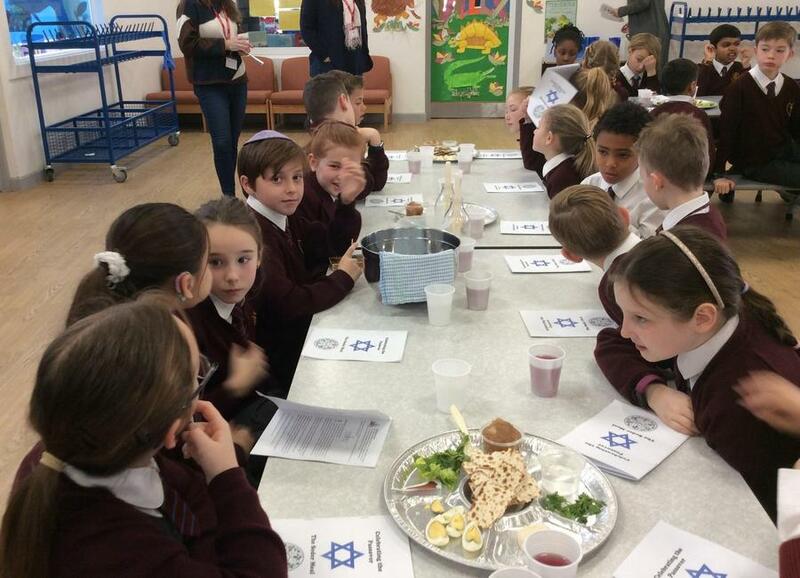 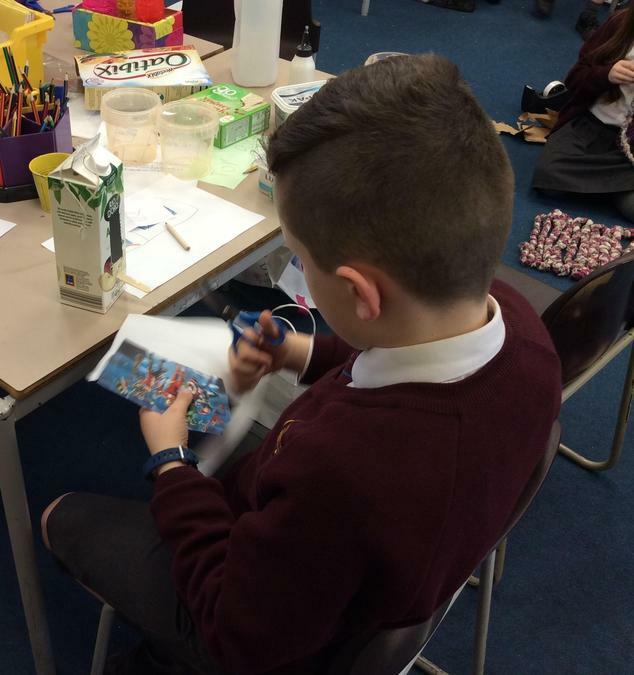 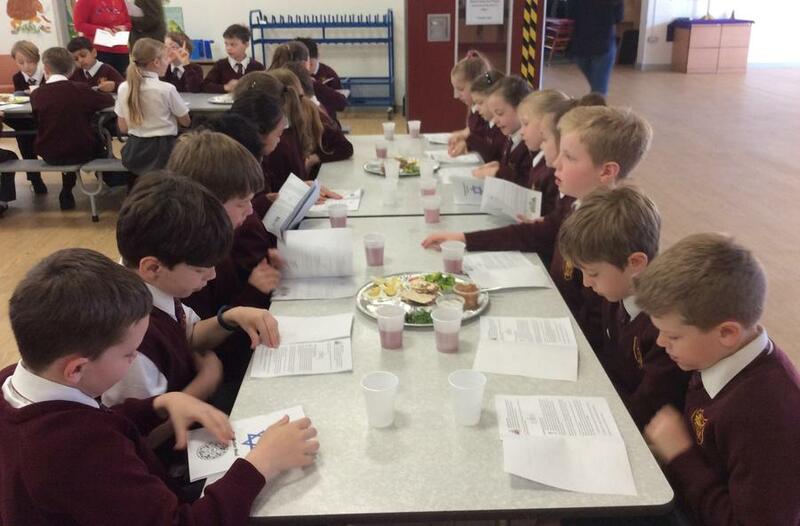 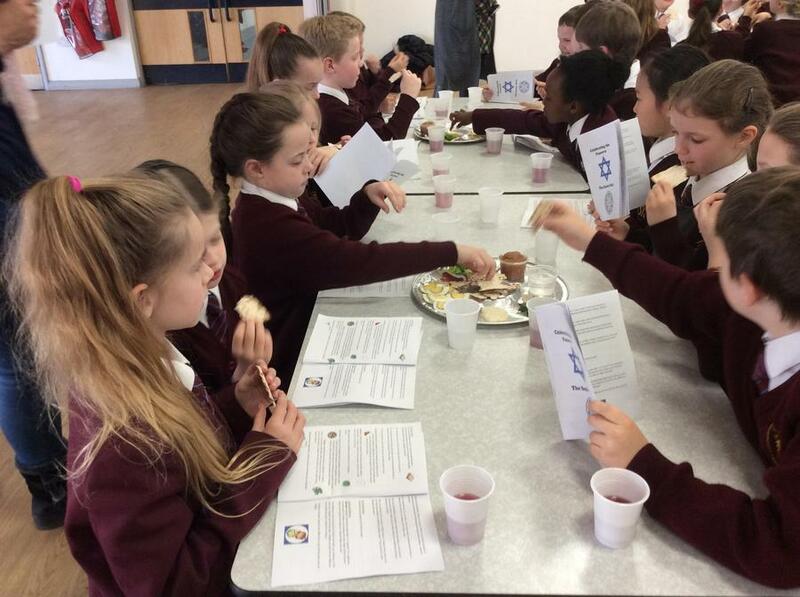 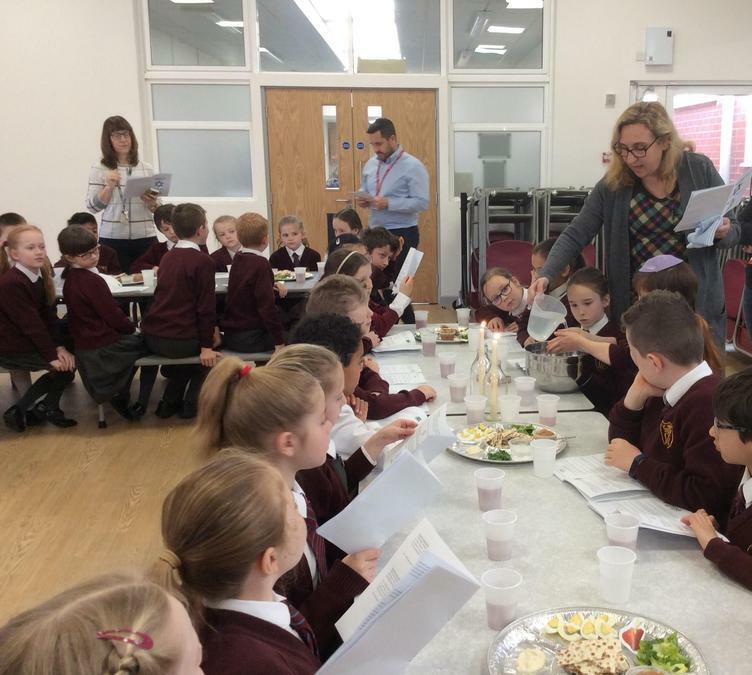 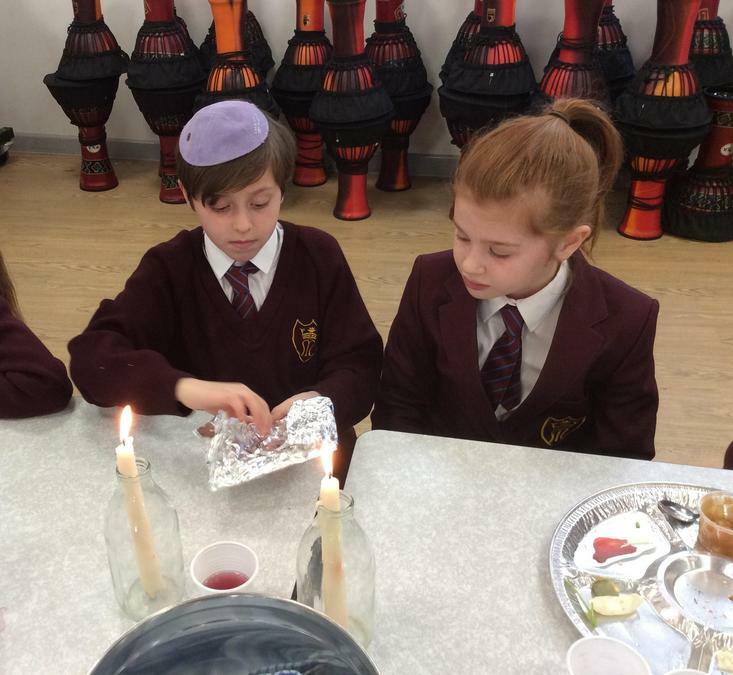 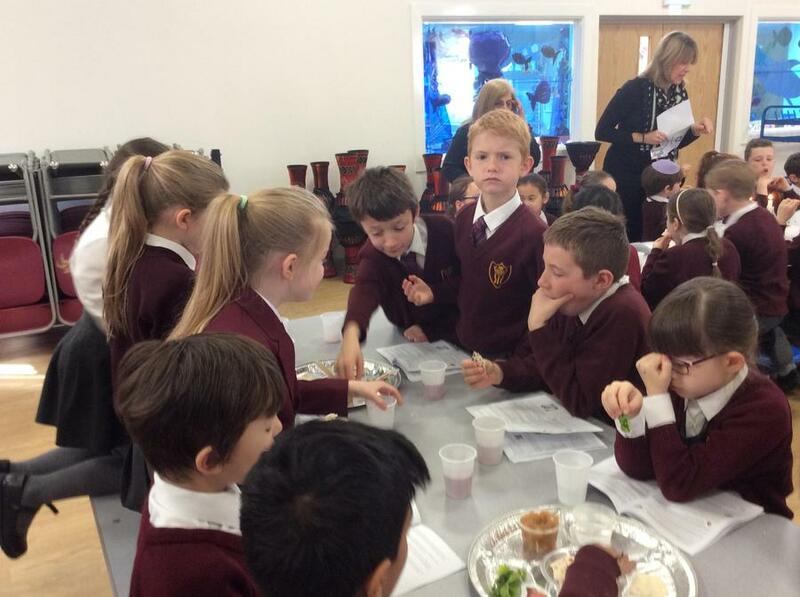 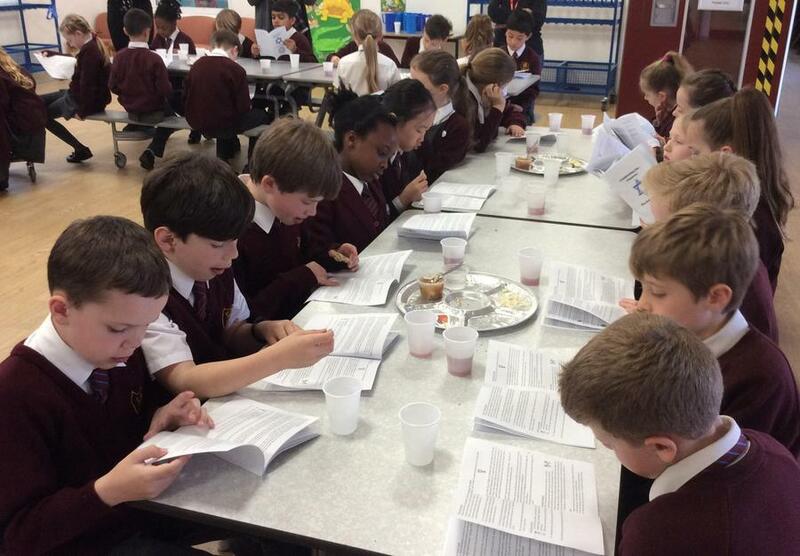 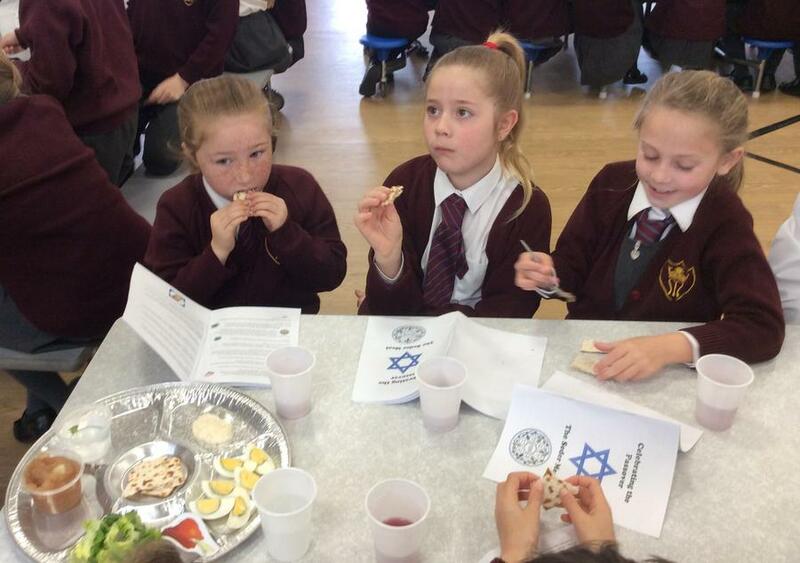 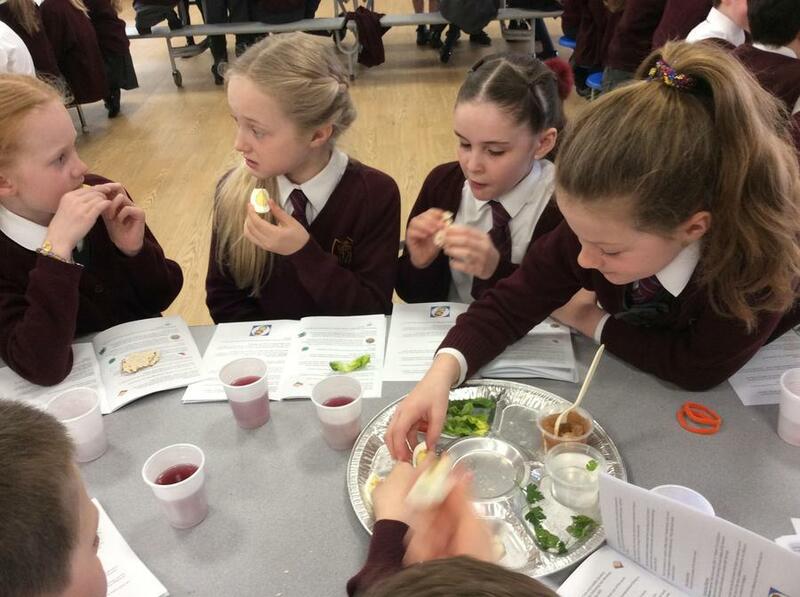 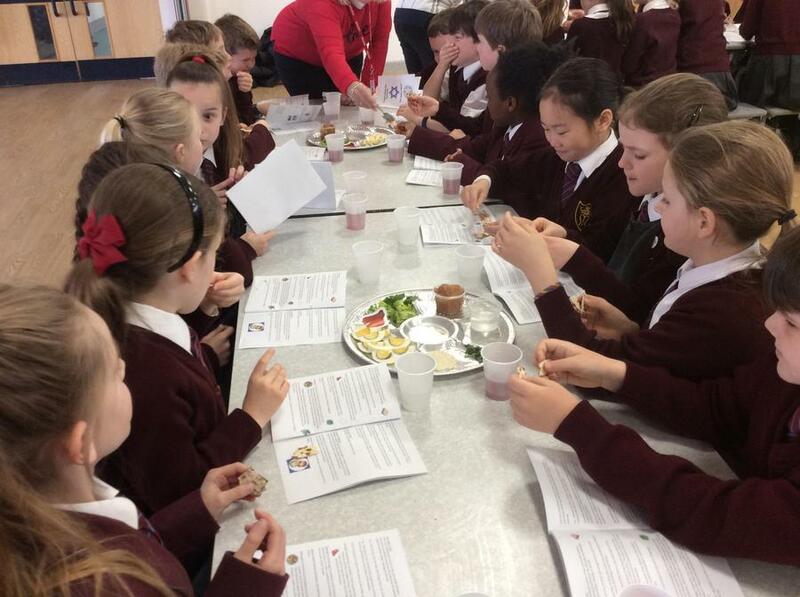 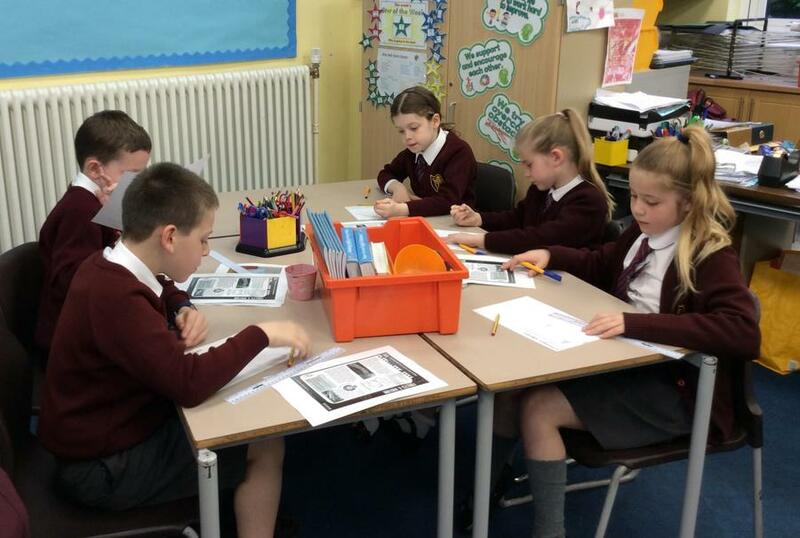 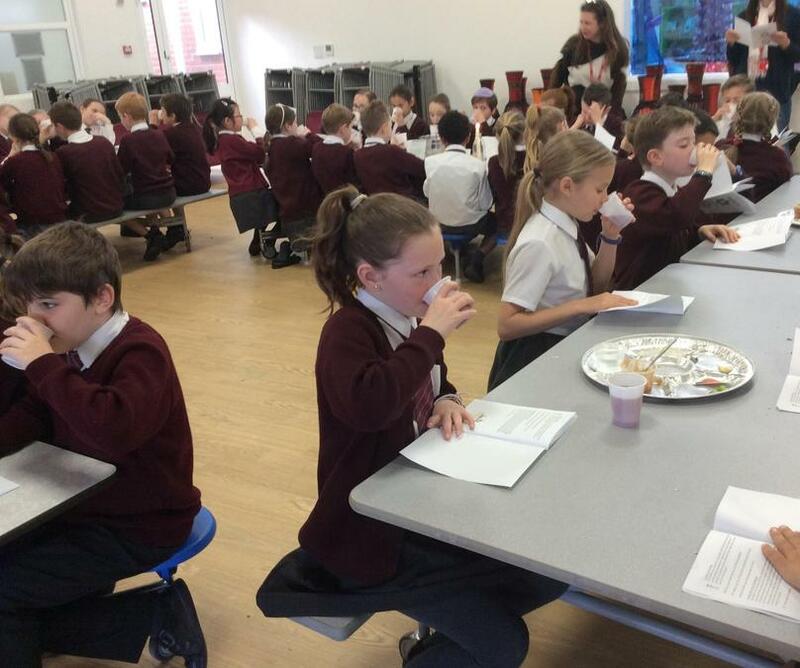 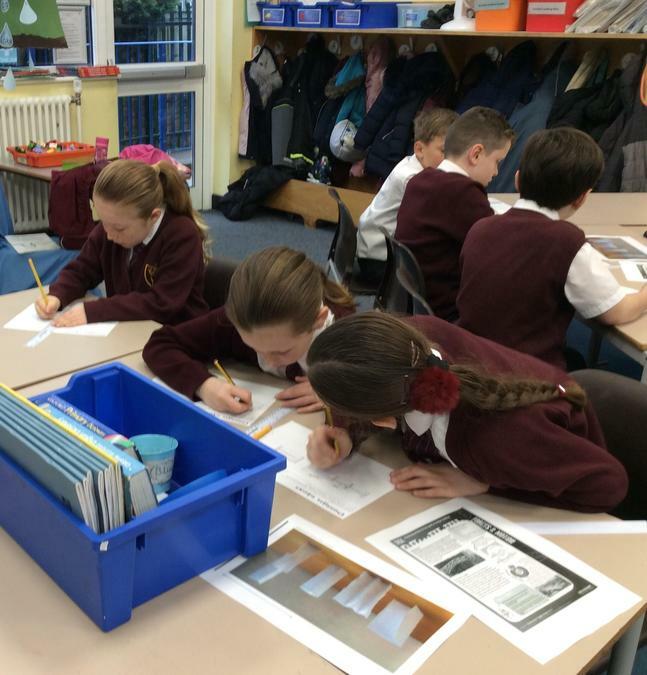 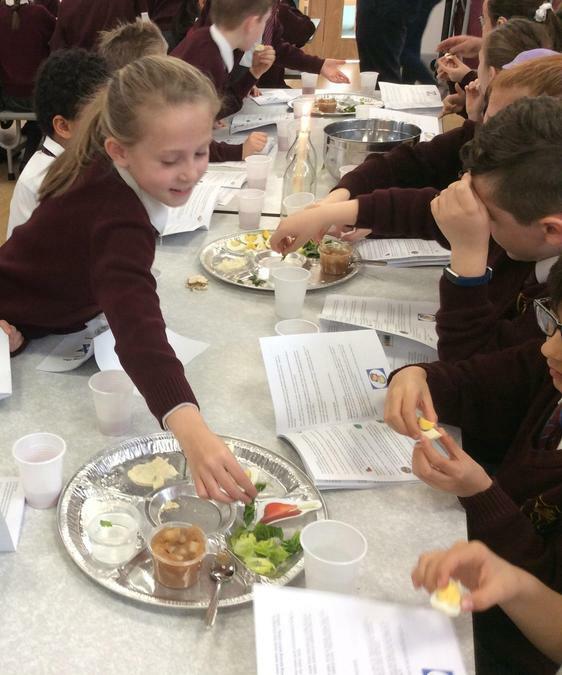 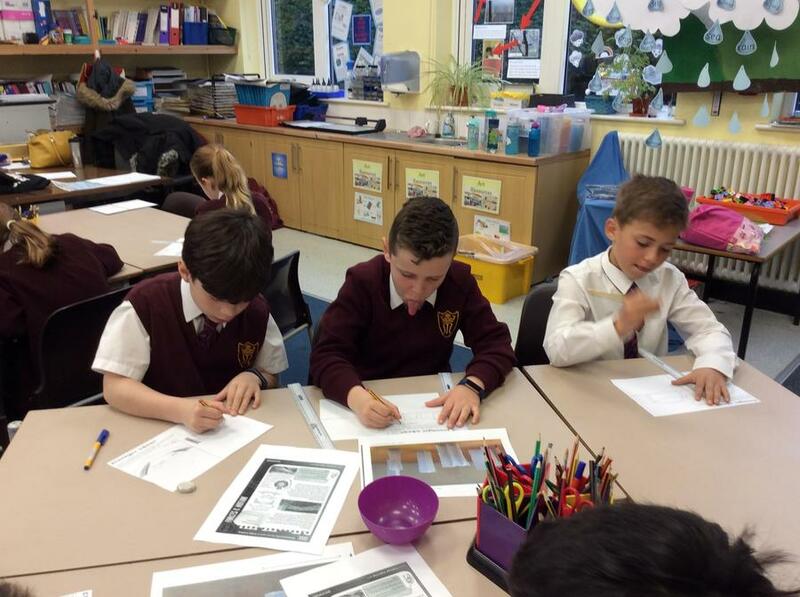 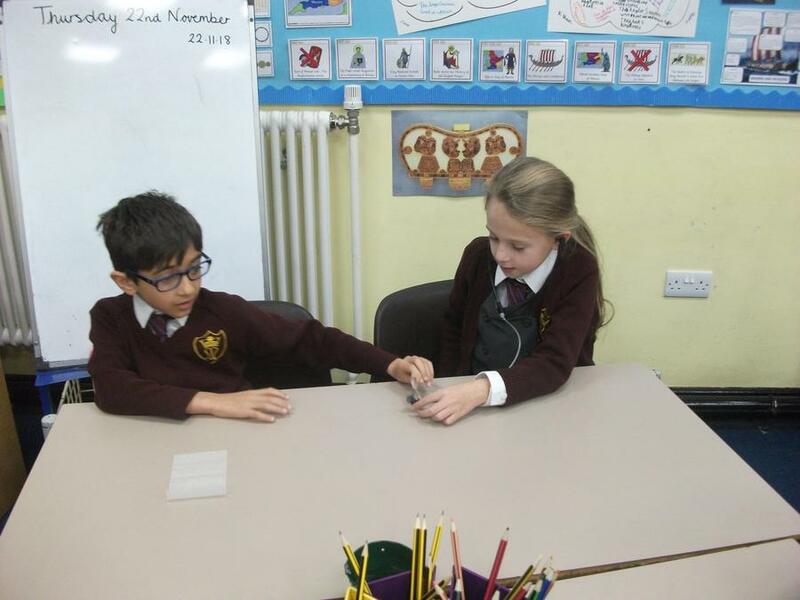 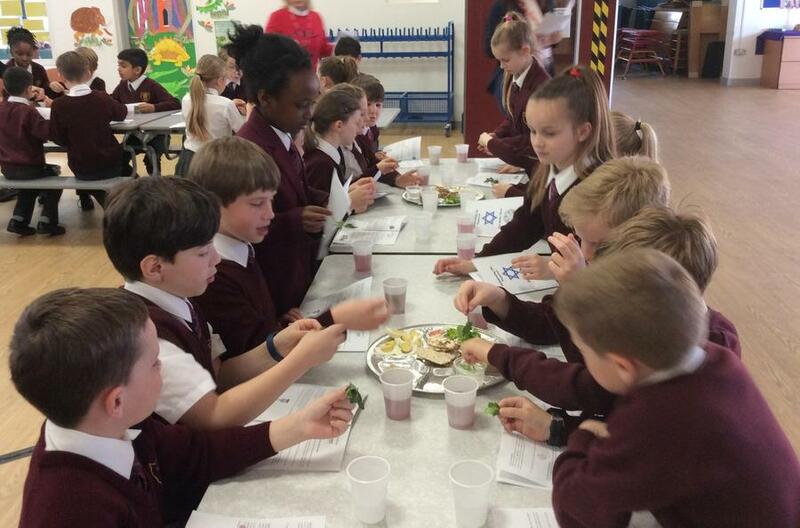 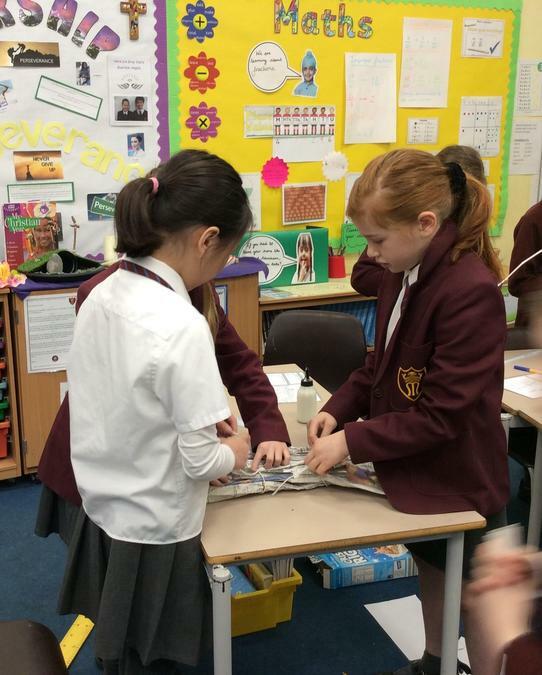 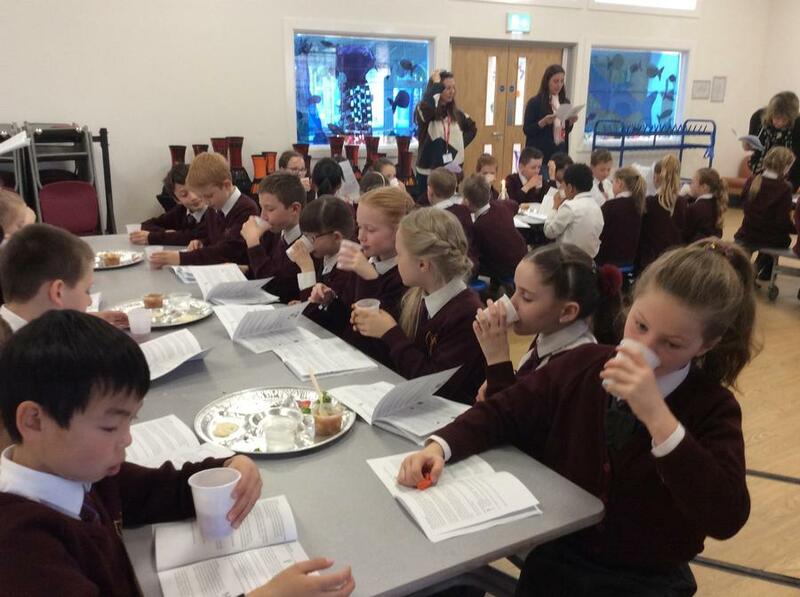 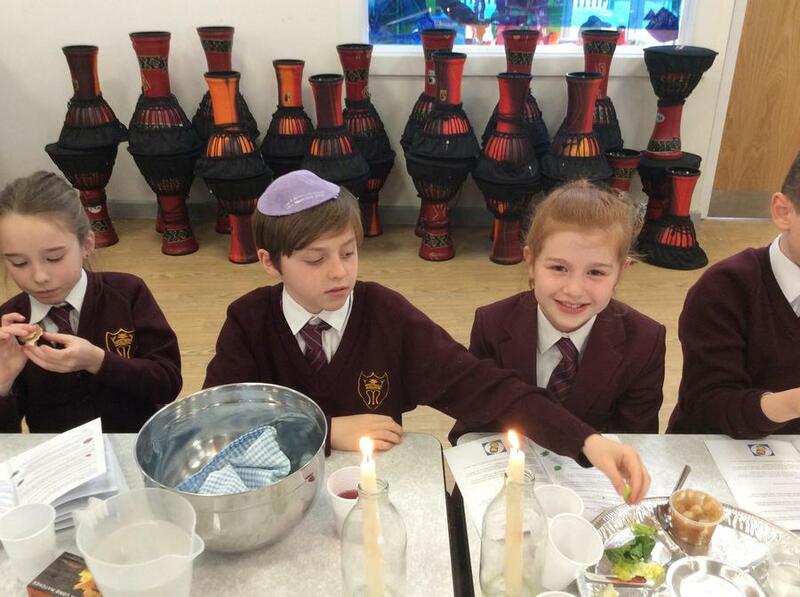 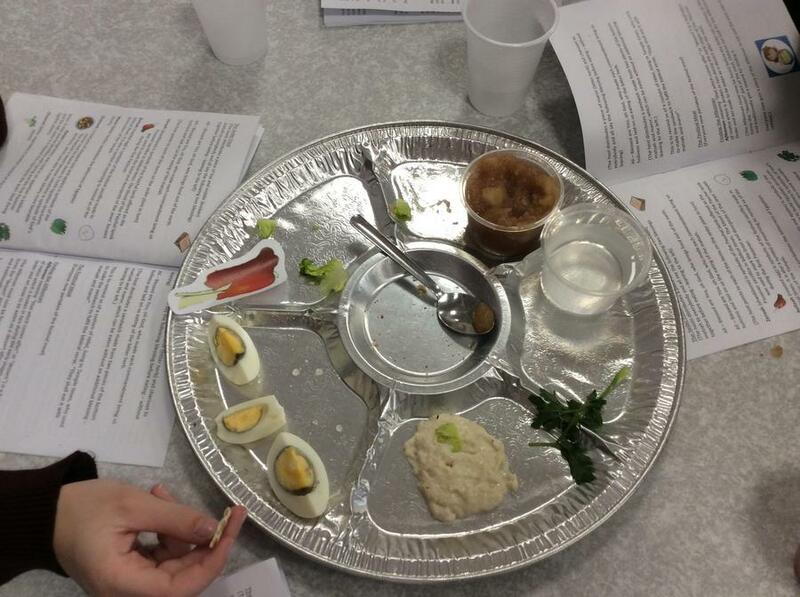 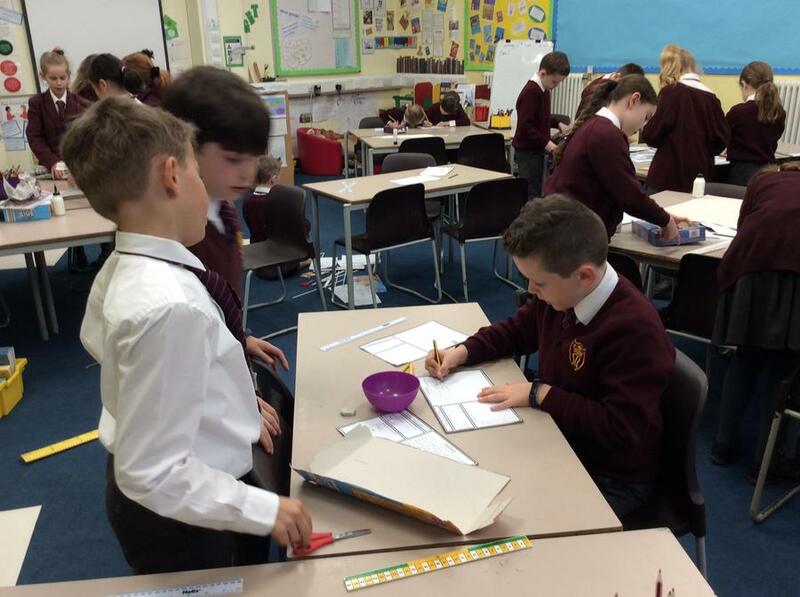 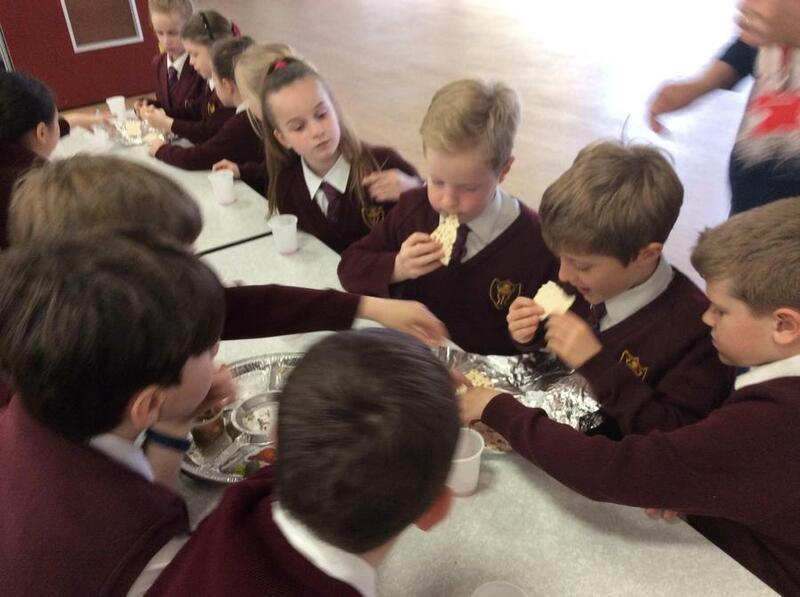 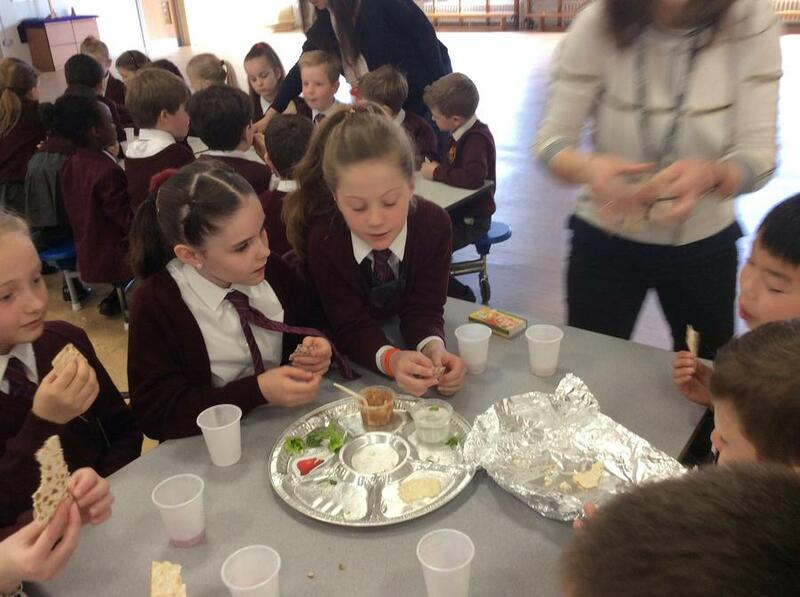 As part of our RE curriculum, we have been learning about Judaism, in particular the Pesach Seder Meal, which celebrates the festival of the Passover. 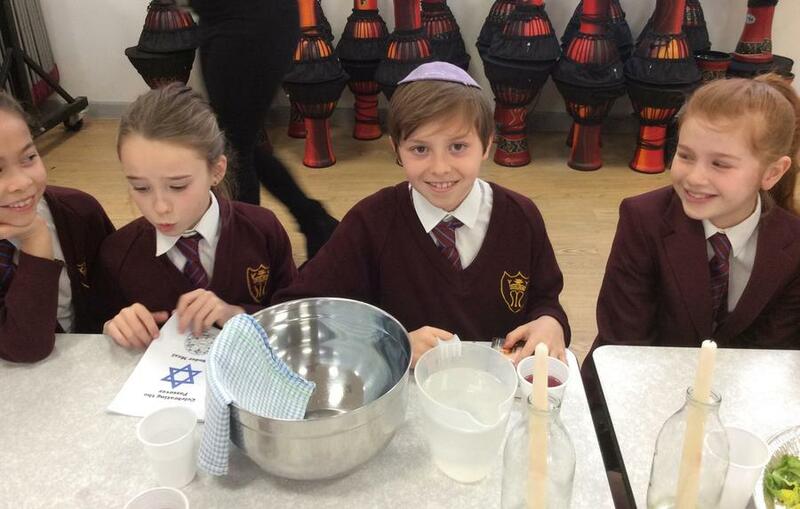 This festival takes place each year and marks the Exodus of the Jews from Egypt, led by Moses. 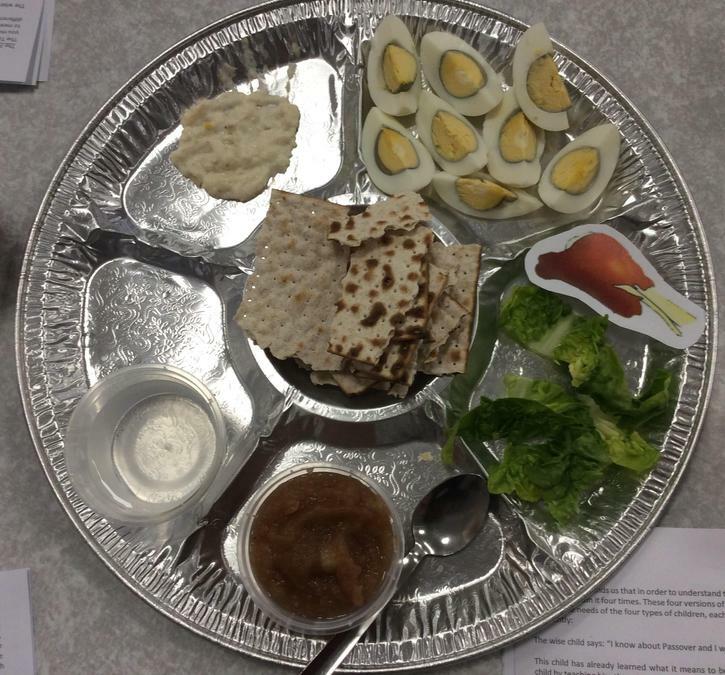 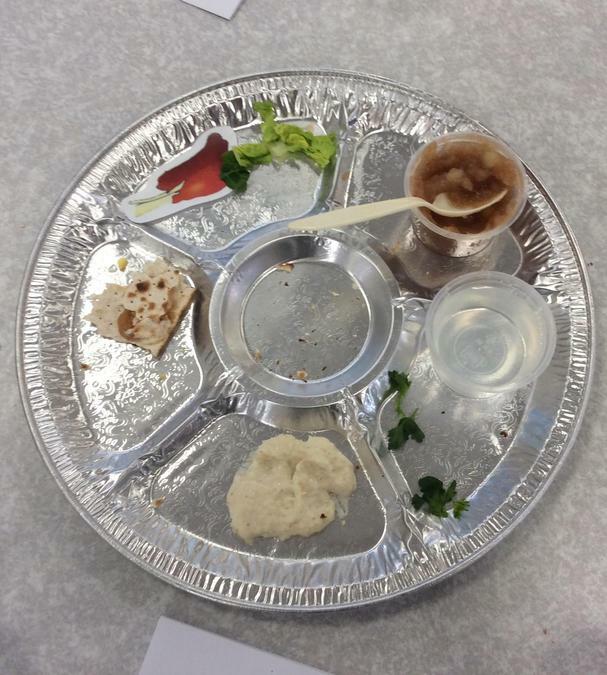 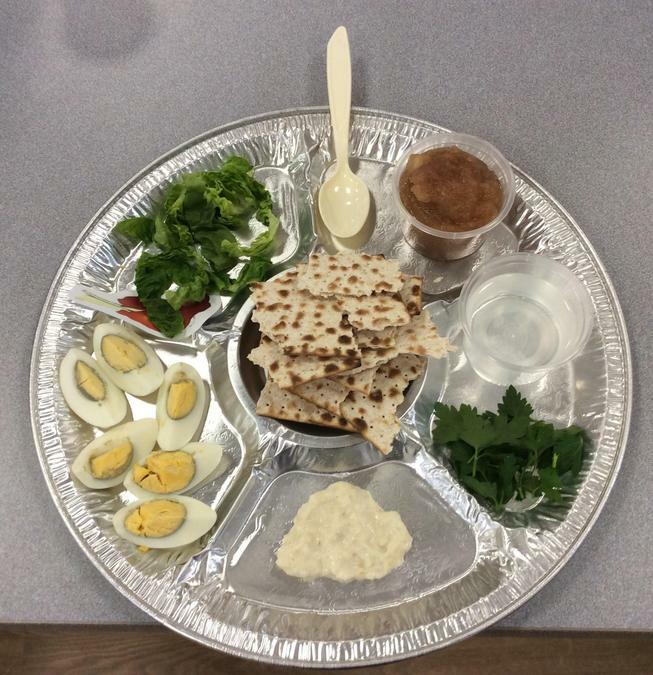 We recreated this celebration meal with the children in order for them to extend their experience and understanding of the Passover. 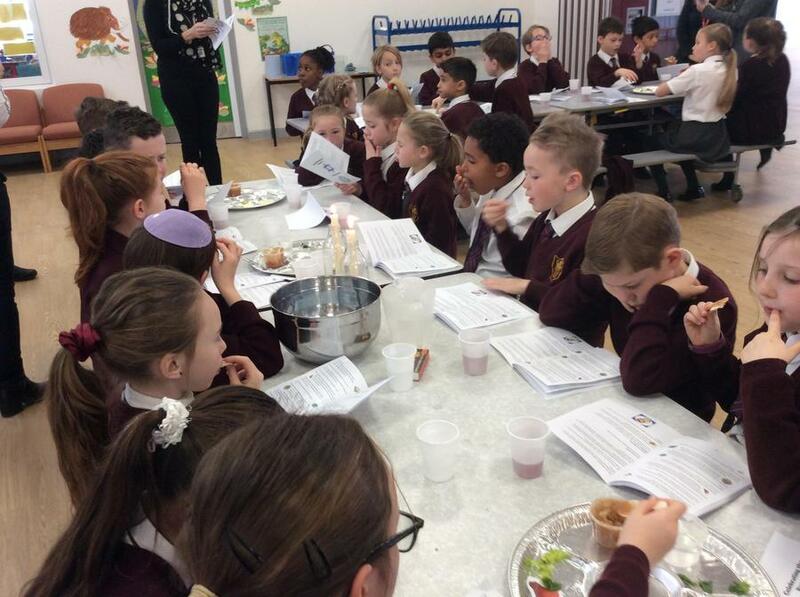 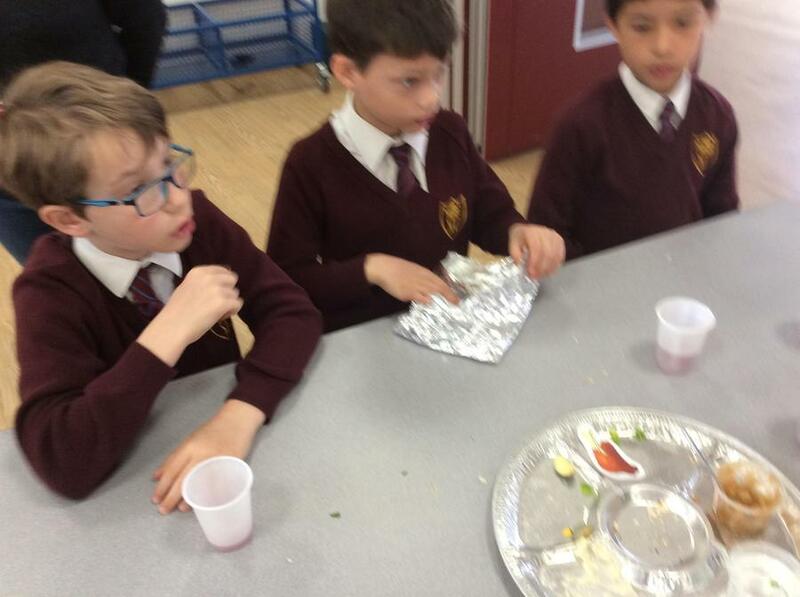 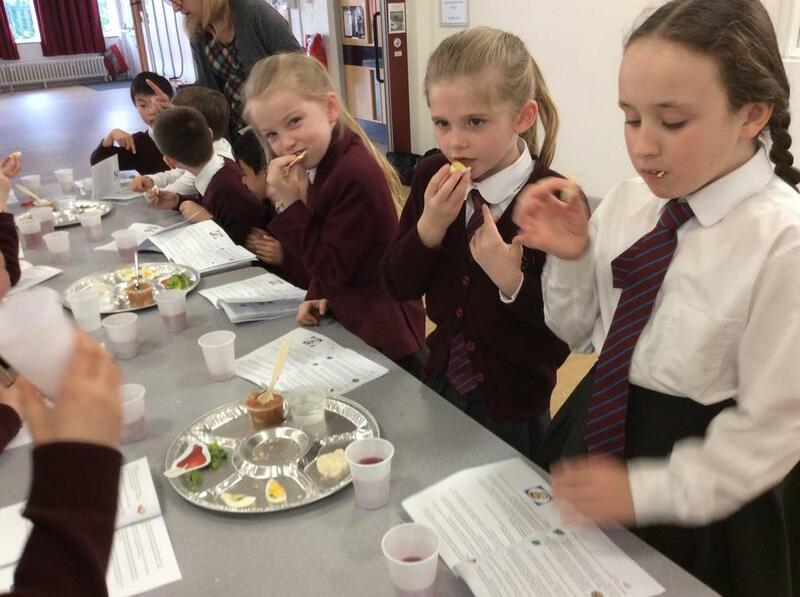 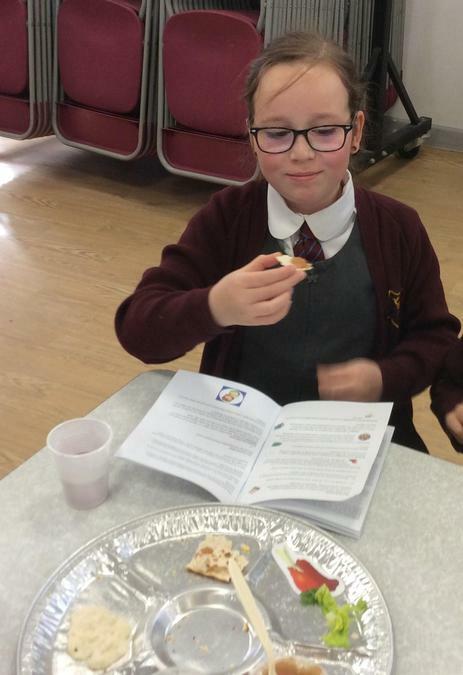 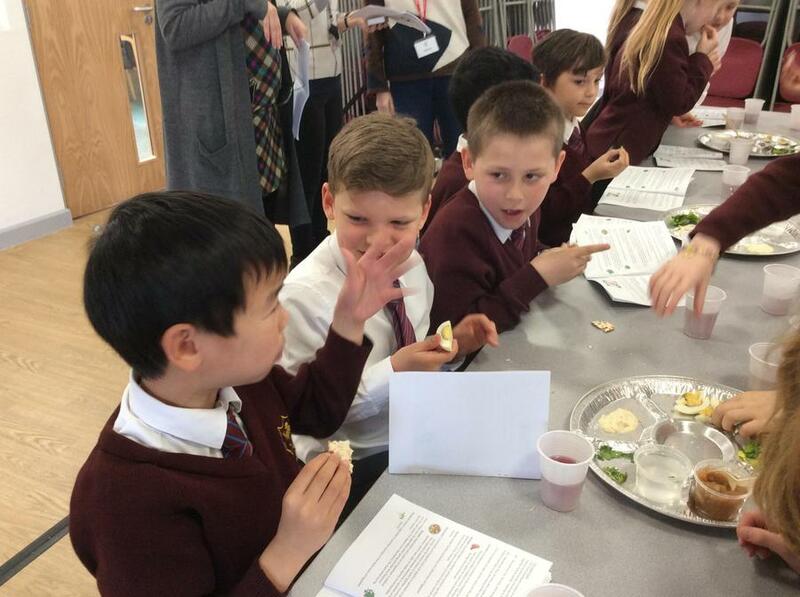 The children were able to taste some of the foods that are a part of this special meal, as well as join in retelling the story of the Passover. 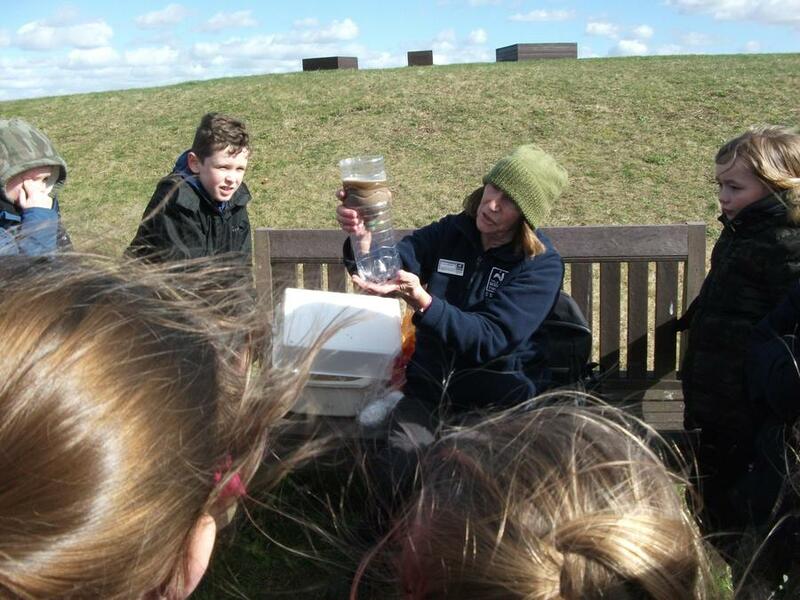 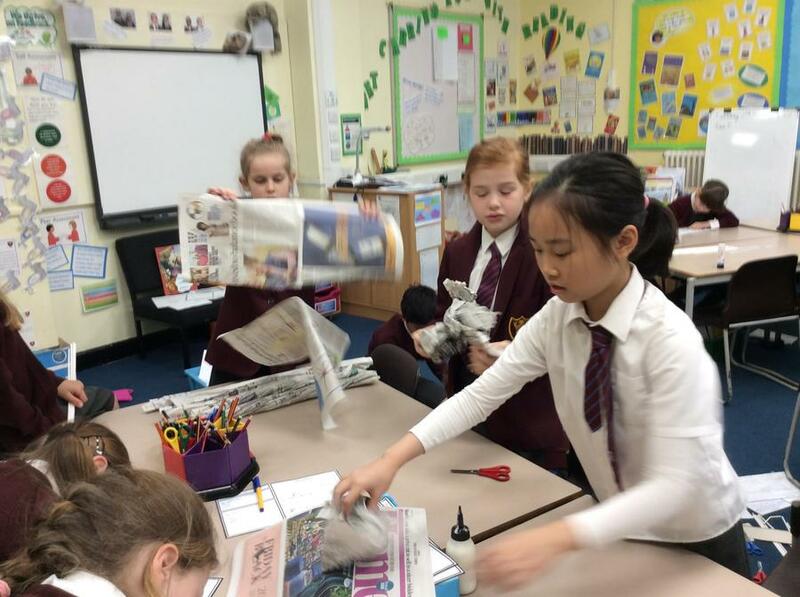 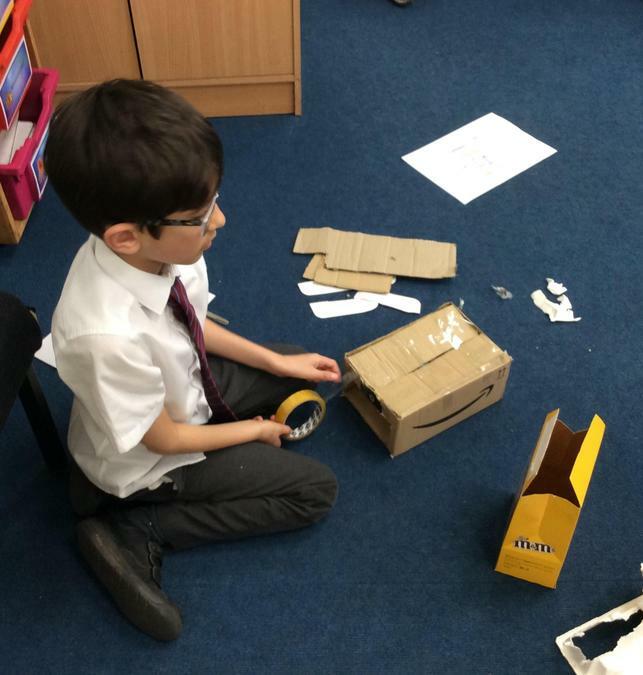 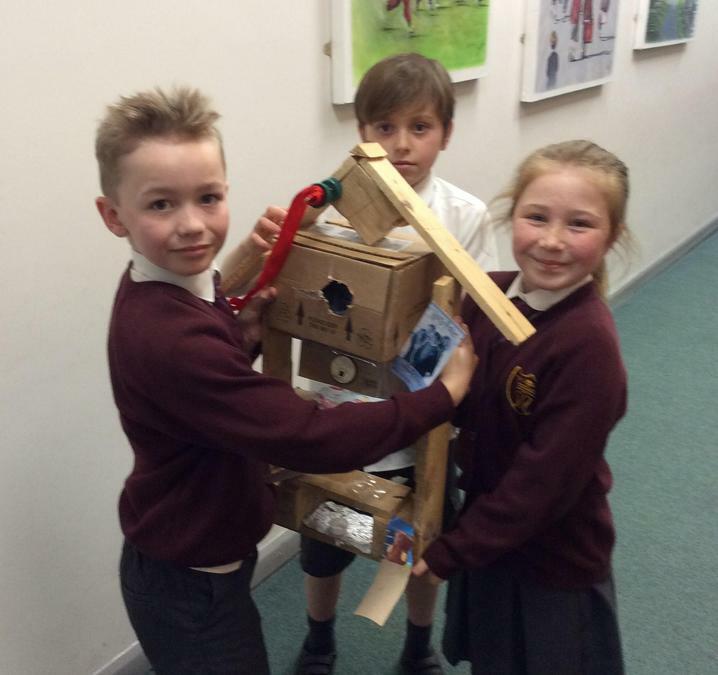 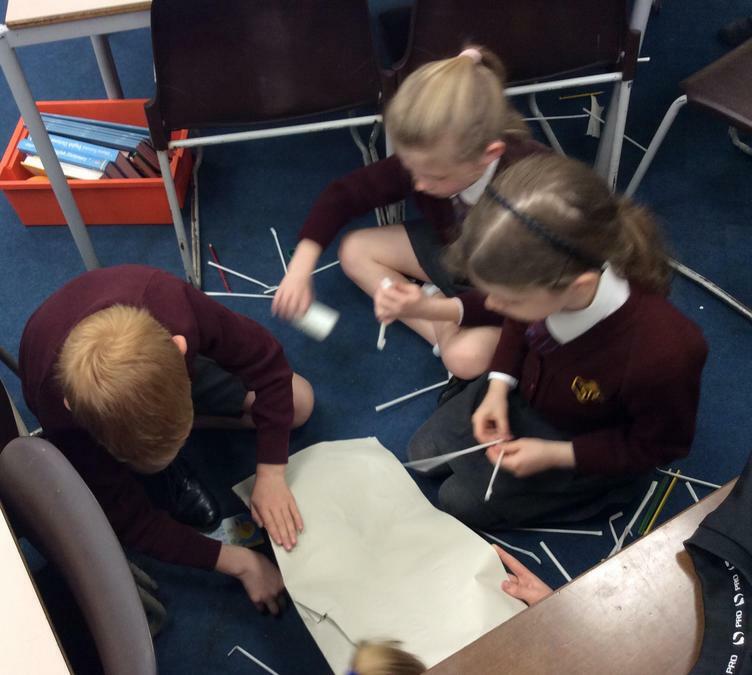 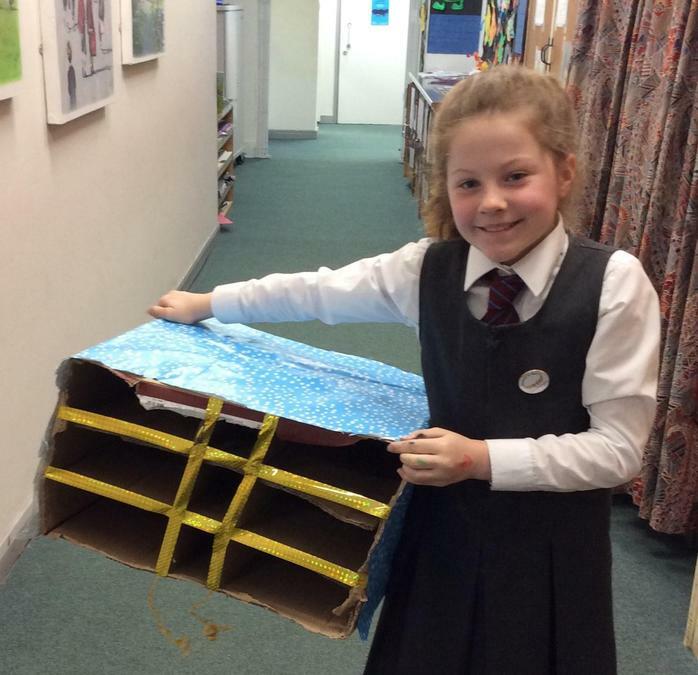 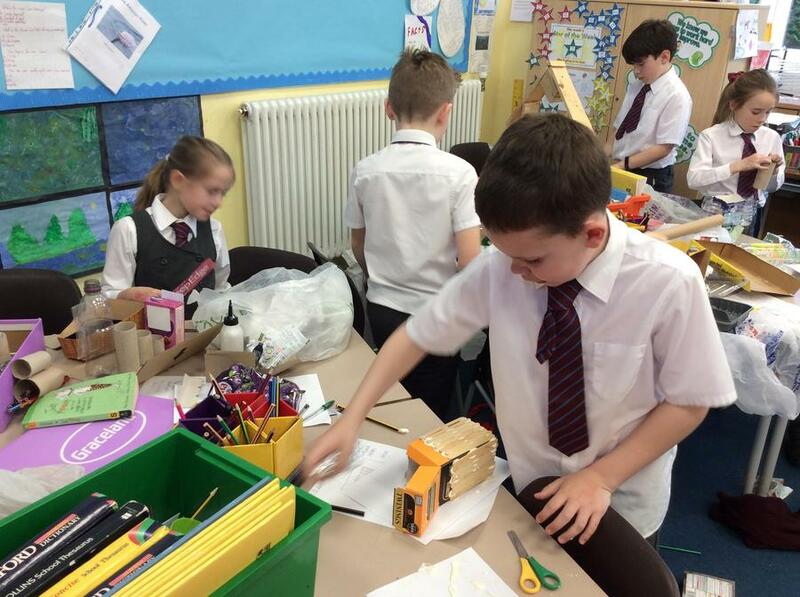 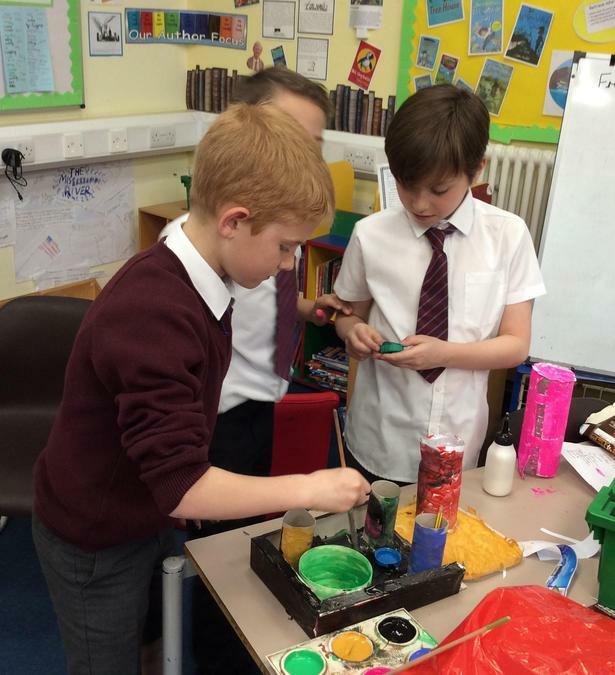 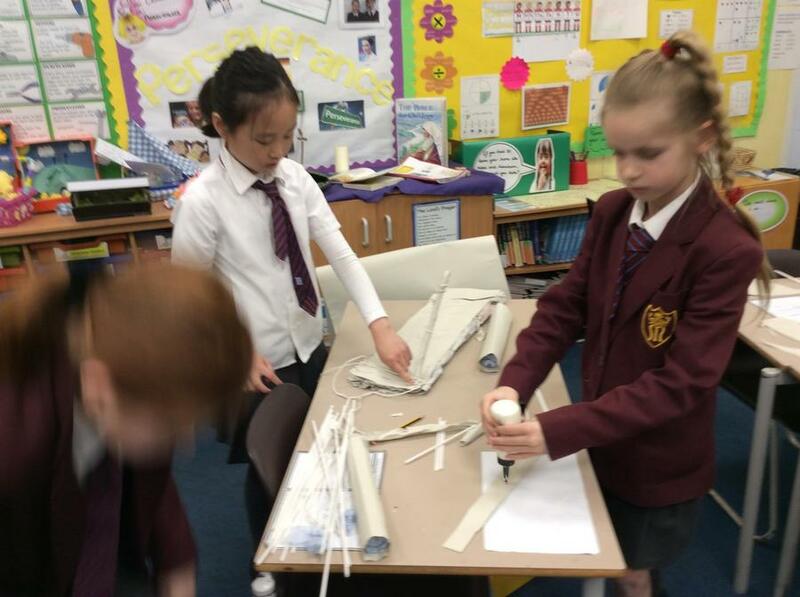 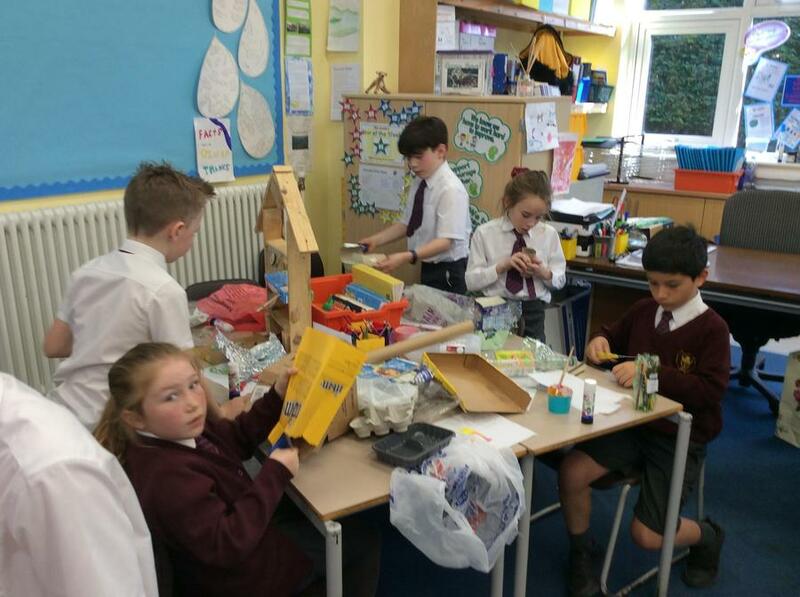 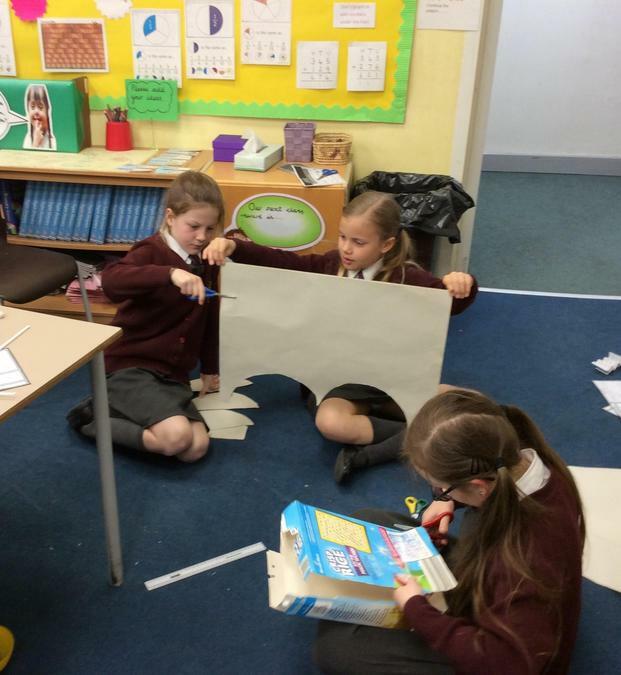 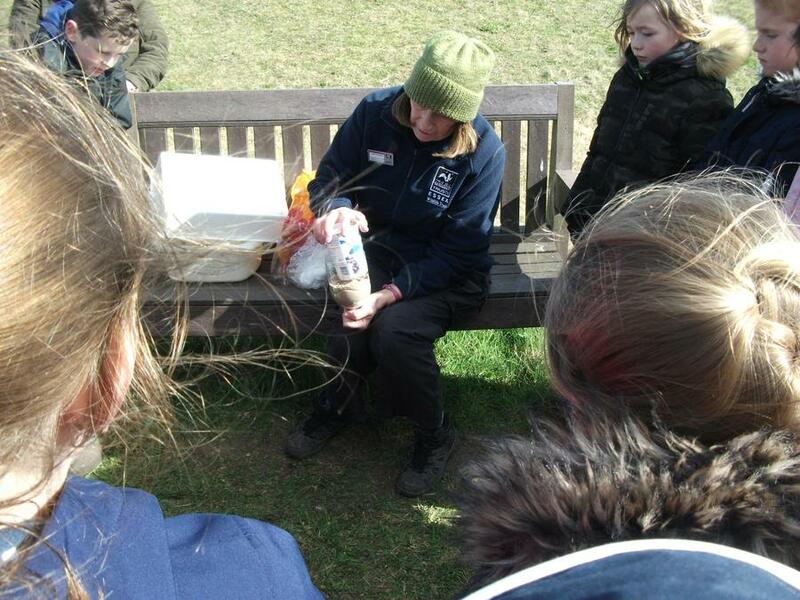 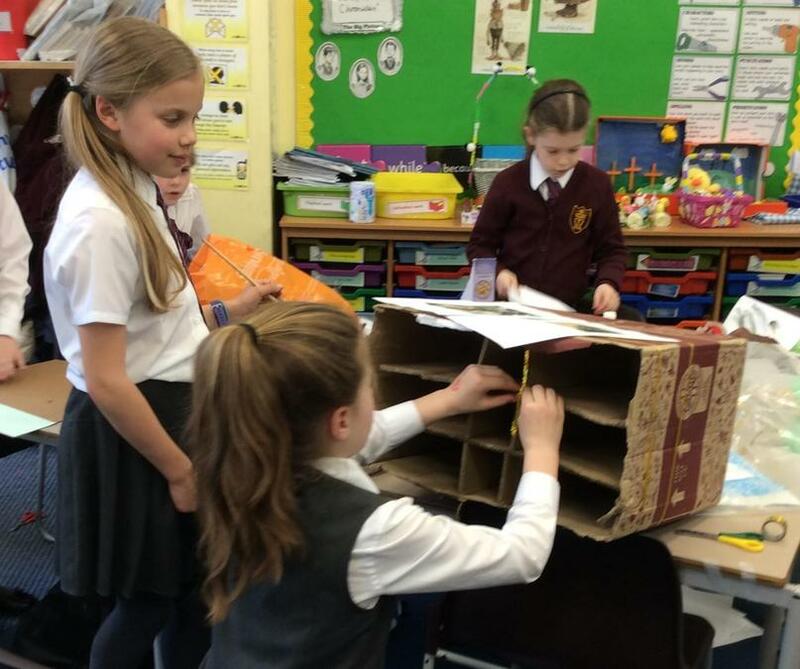 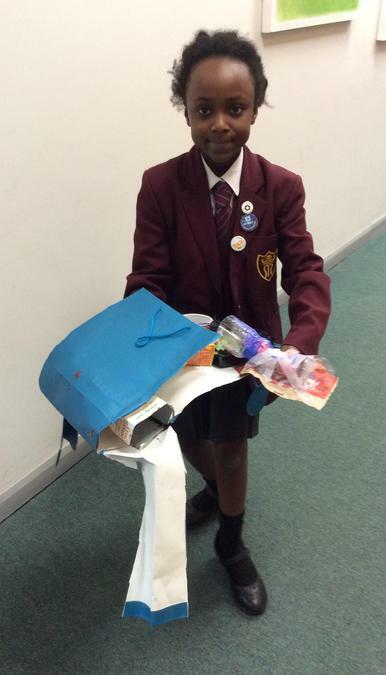 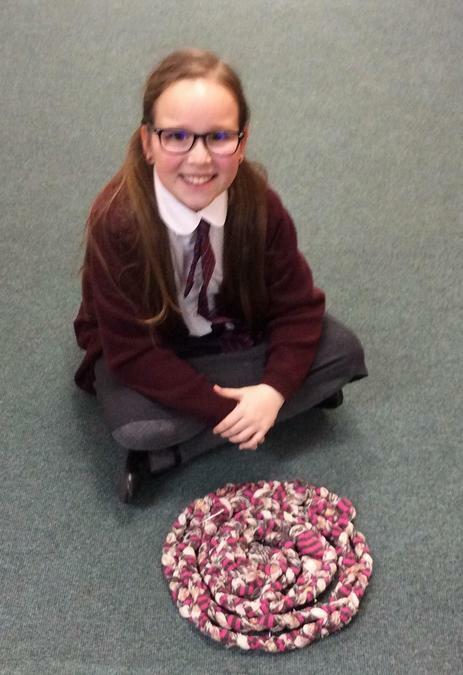 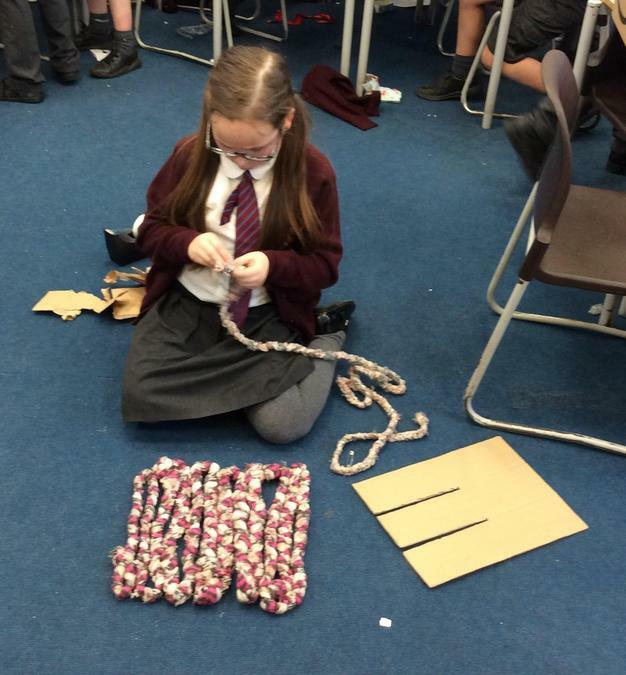 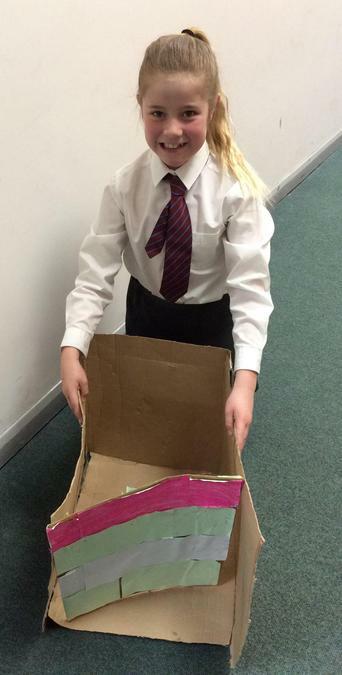 Grey Seals had a great time making good use of things that are often thrown away. 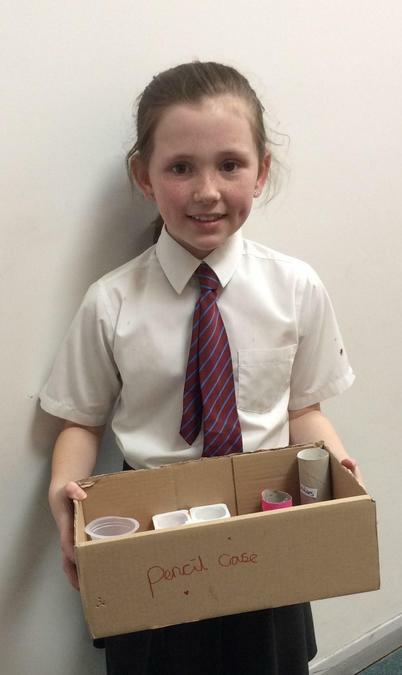 instead of just throwing away every day items. 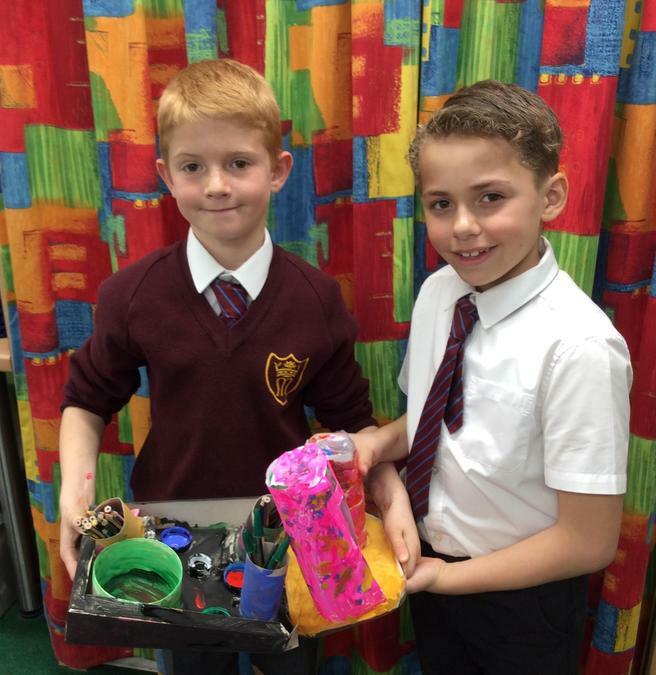 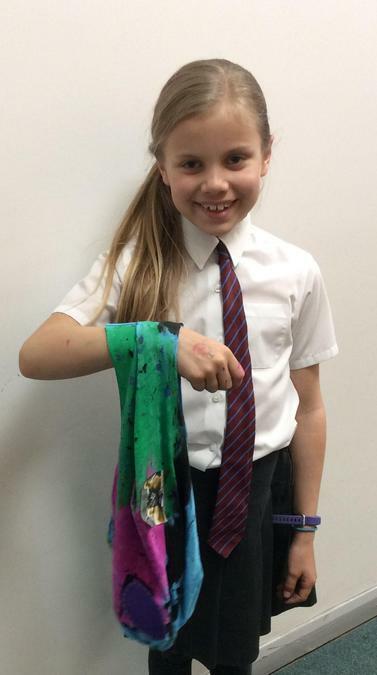 Please bring in 2 pairs of socks for Science next week. 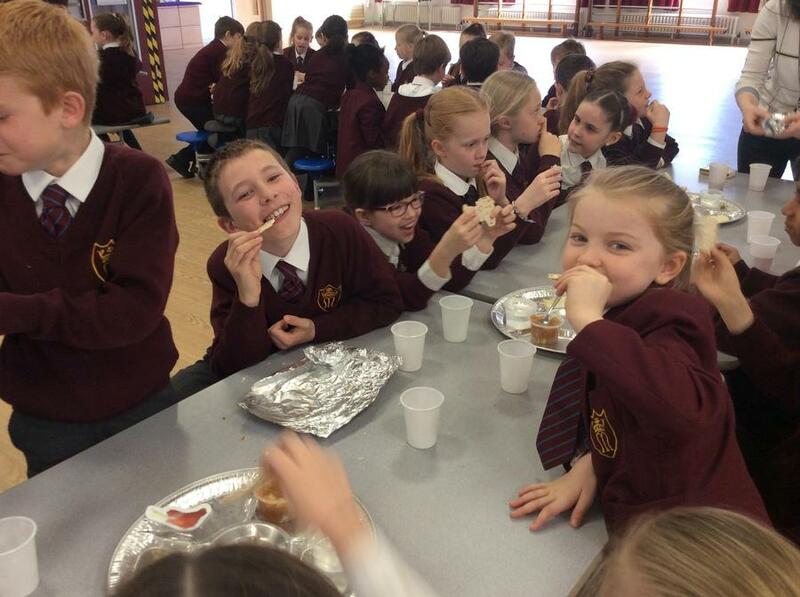 They must be similar and will be returned. 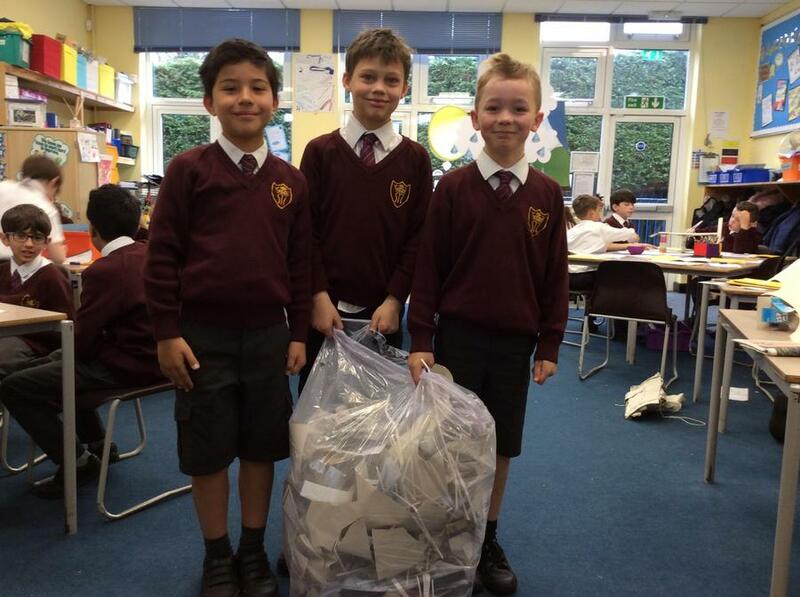 Bring them in a plastic bag. 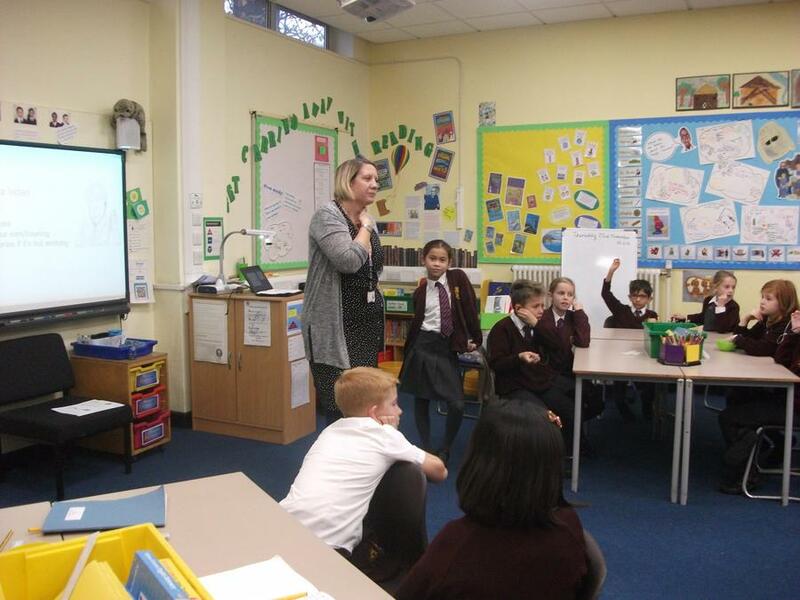 Please rehearse your assembly words, loudly and with expression. 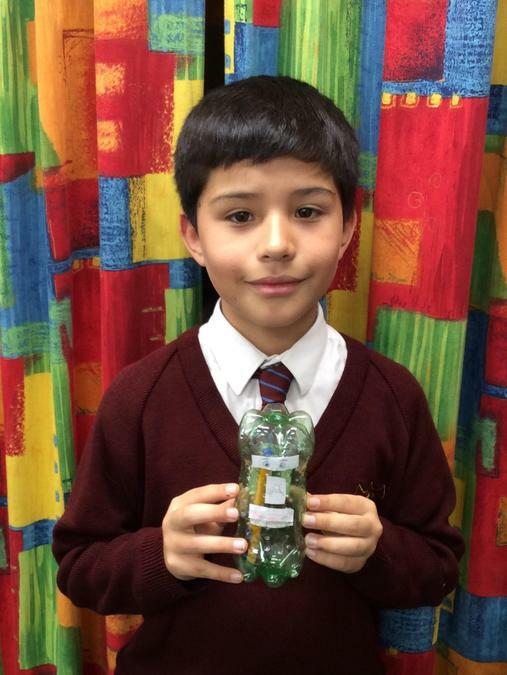 Remember to bring in a blue or green plain tee shirt please, in a named plastic bag by Thursday. 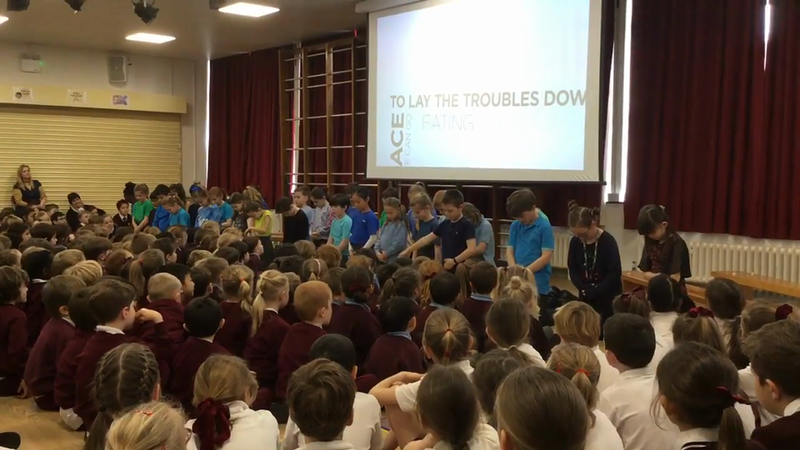 Some children asked me to put the name of the song we are doing our assembly dance to, on our class page. 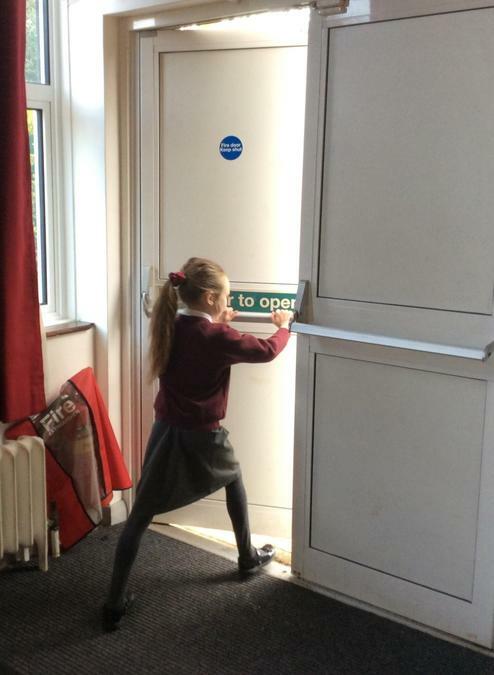 Please ask an adult's permission before you look for it on a computer. 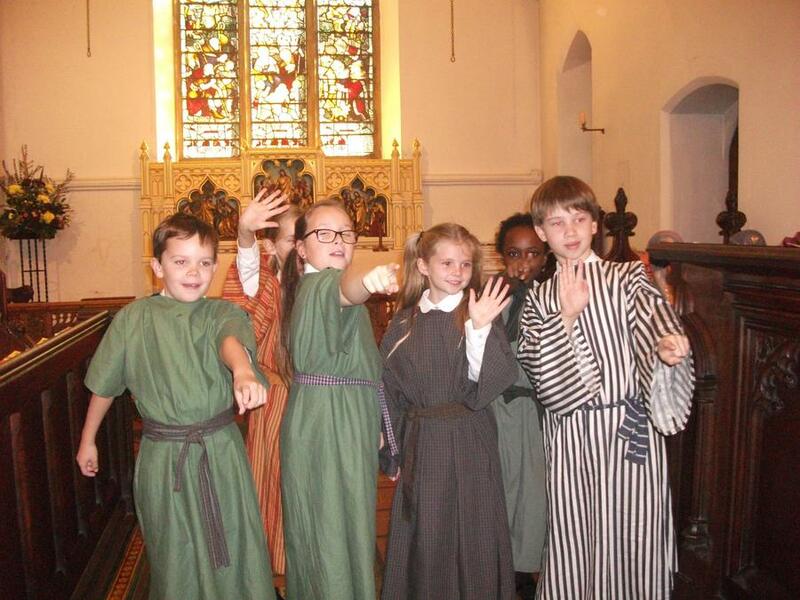 Then,have a little dance around your house to rehearse! 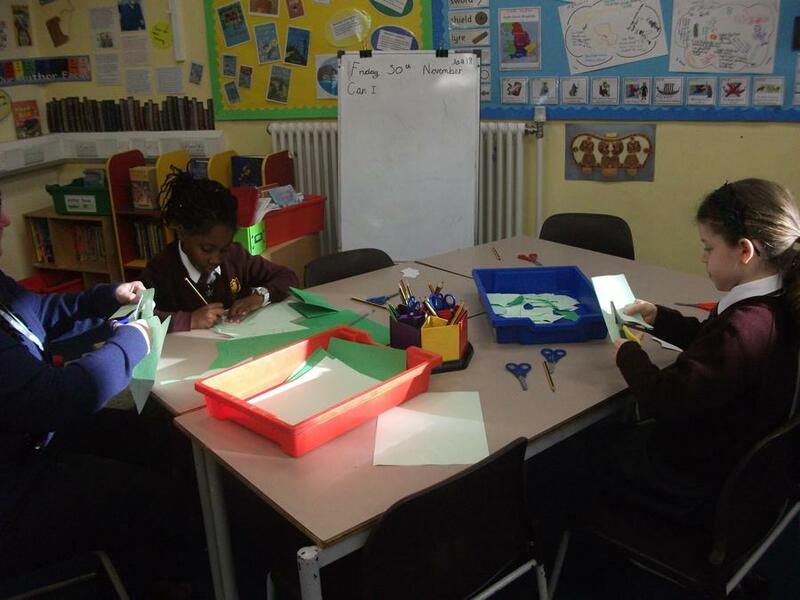 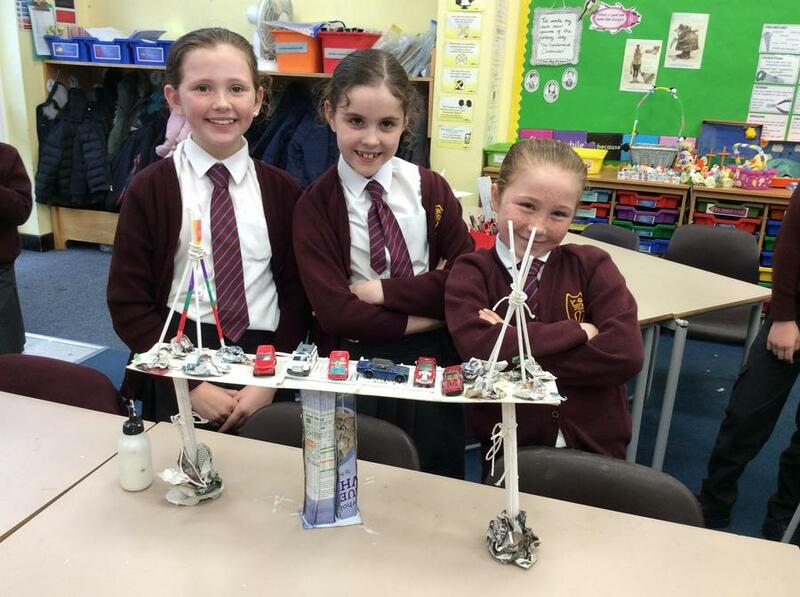 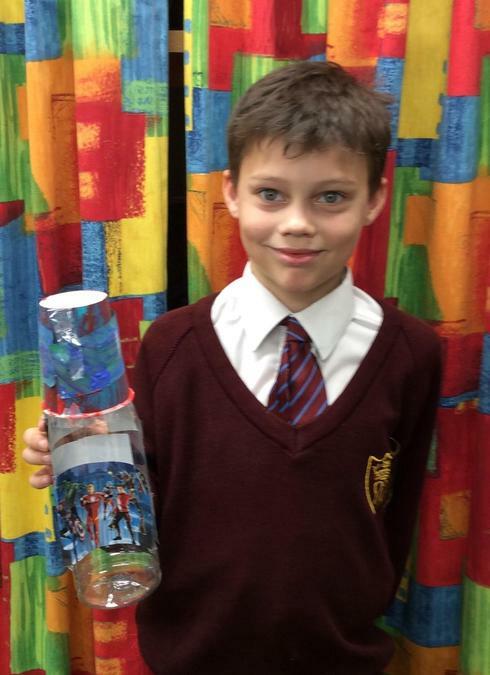 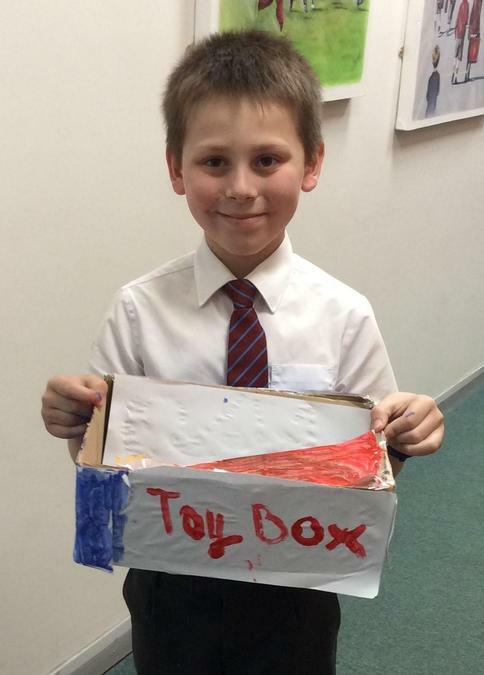 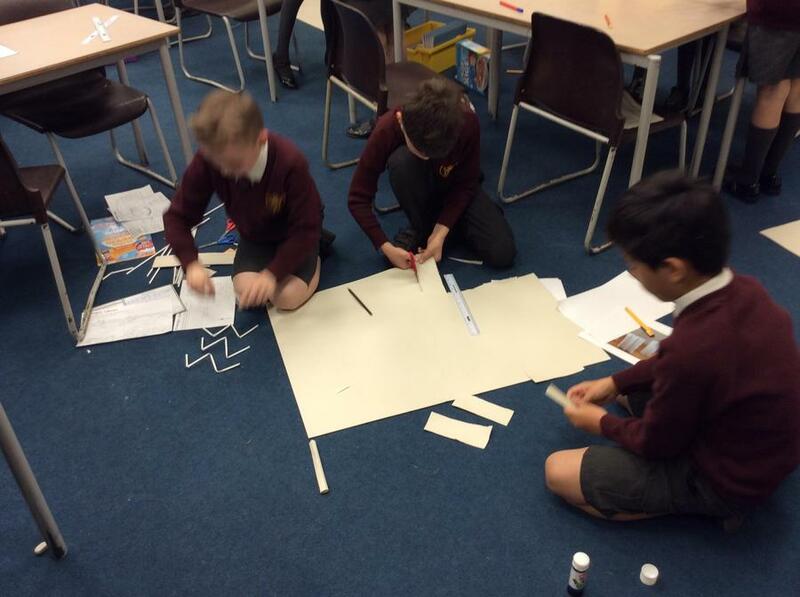 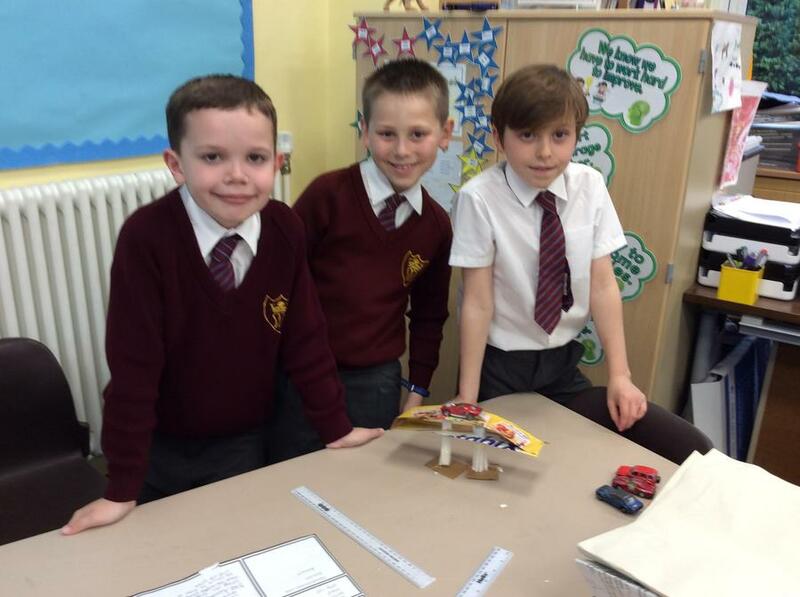 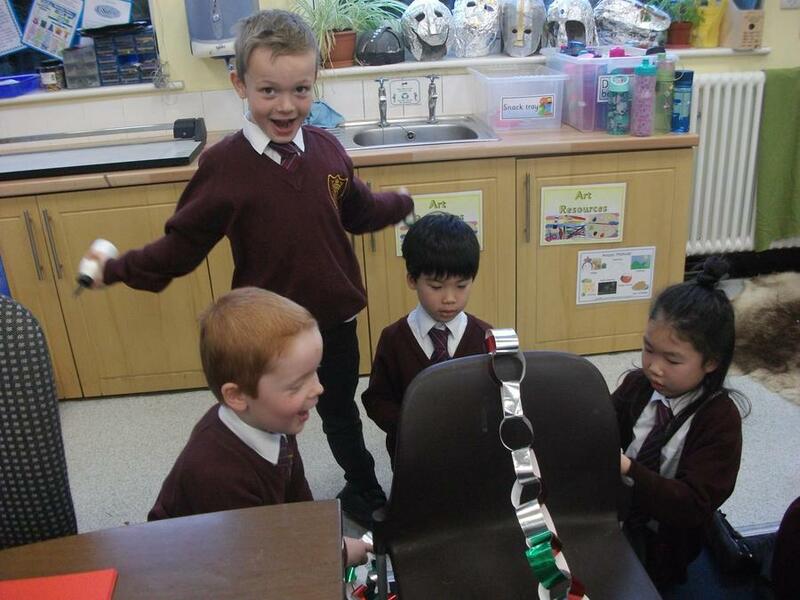 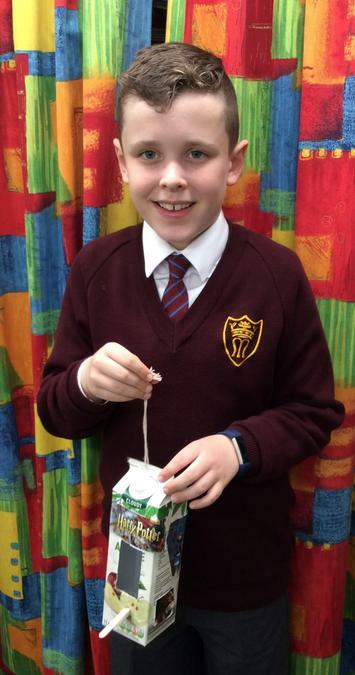 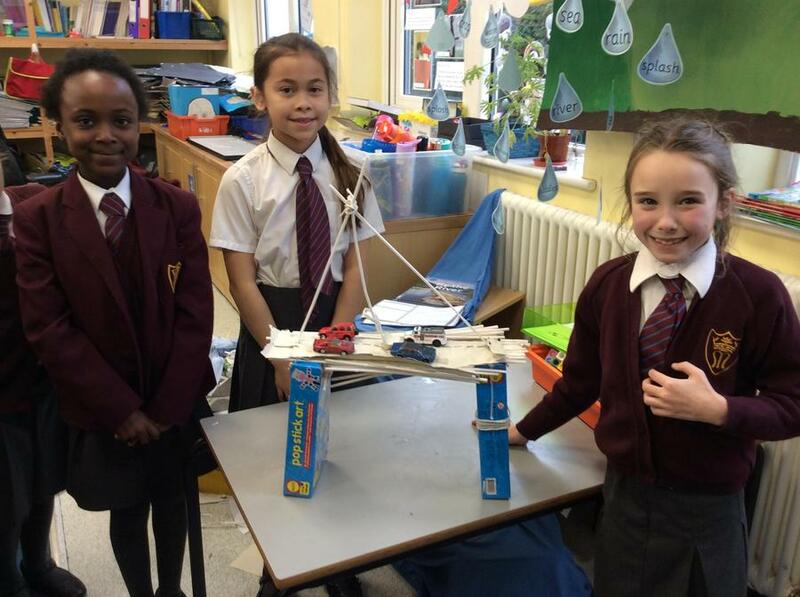 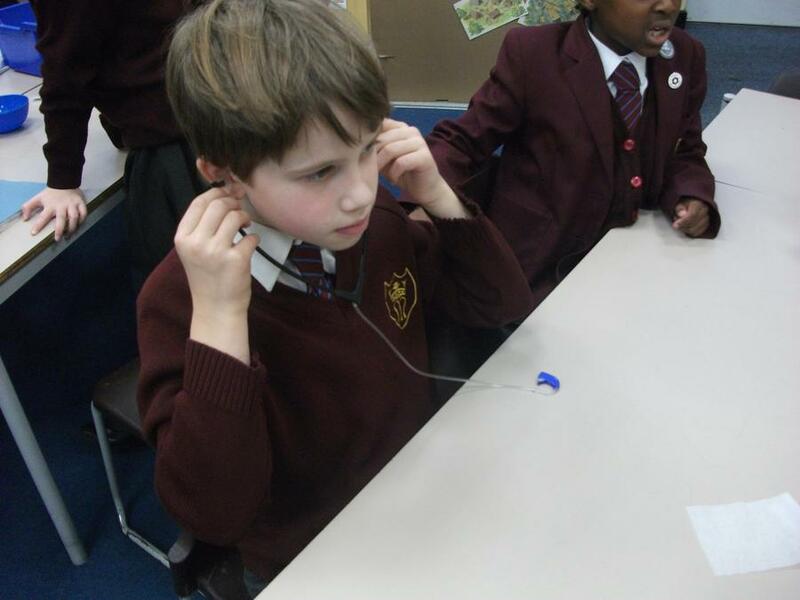 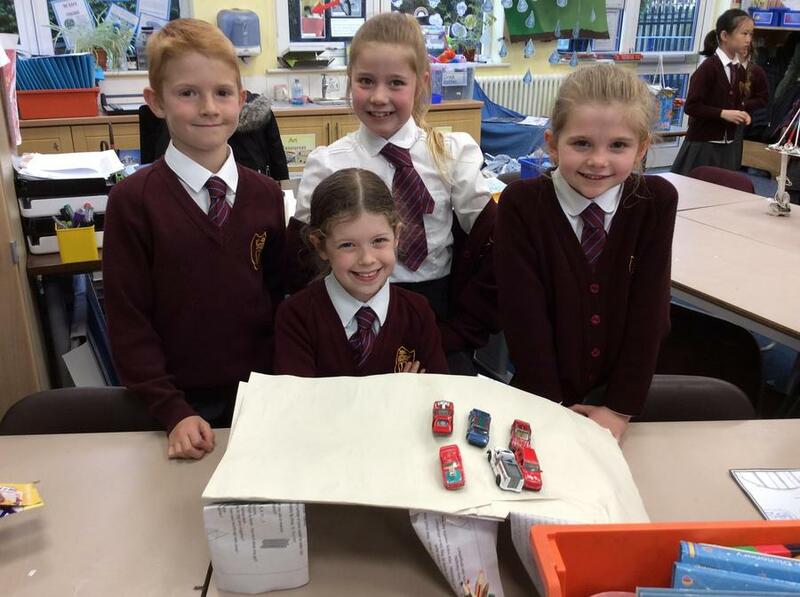 Look what Jeff has been doing in Grey Seal Class! 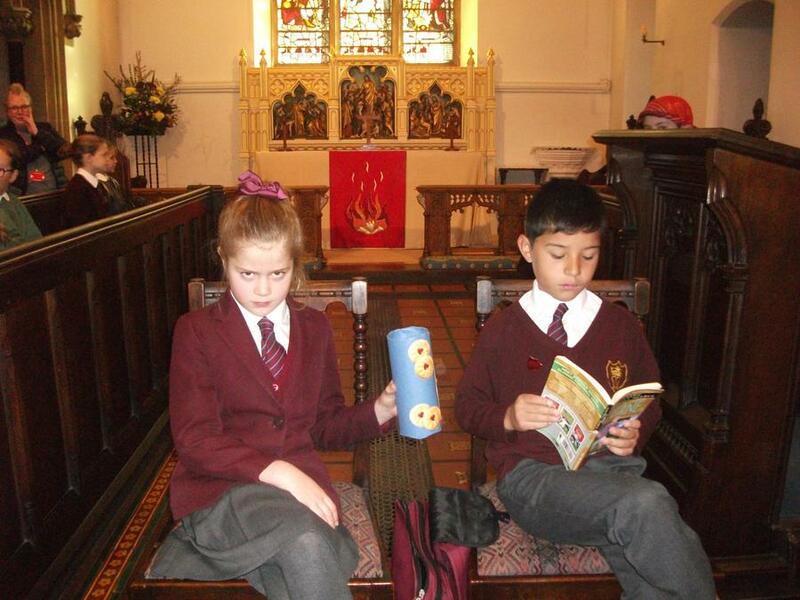 Our Worship table. 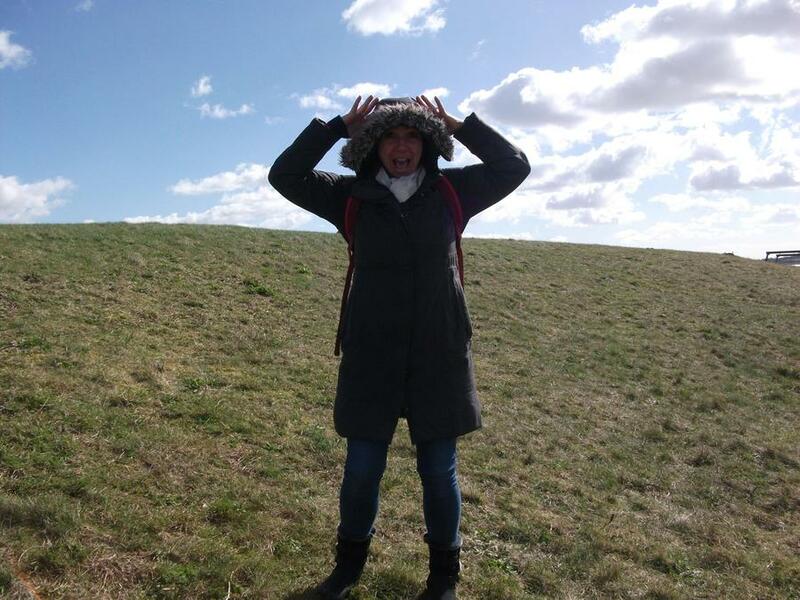 Mrs.Gupta will be after you! 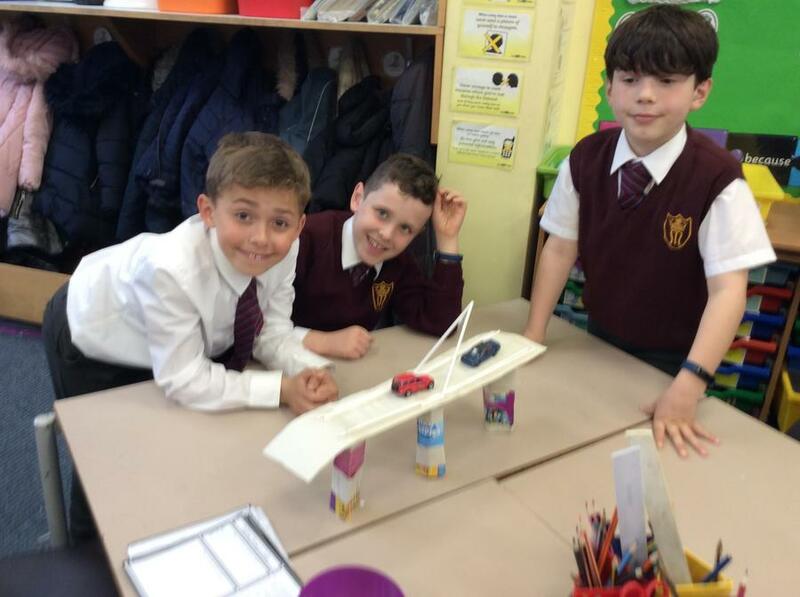 As discussed on Friday, you have no set homework this week. 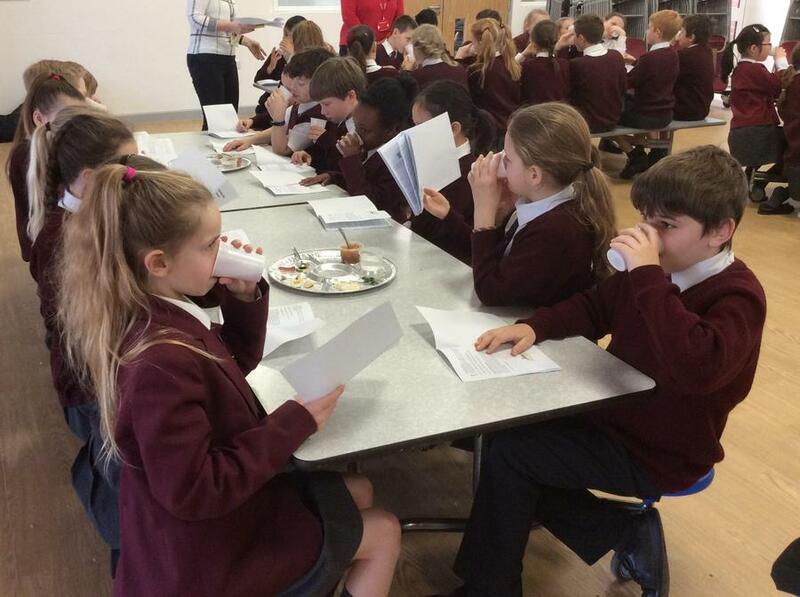 Please rehearse your lines for our production slowly, using expression like we discussed in class. 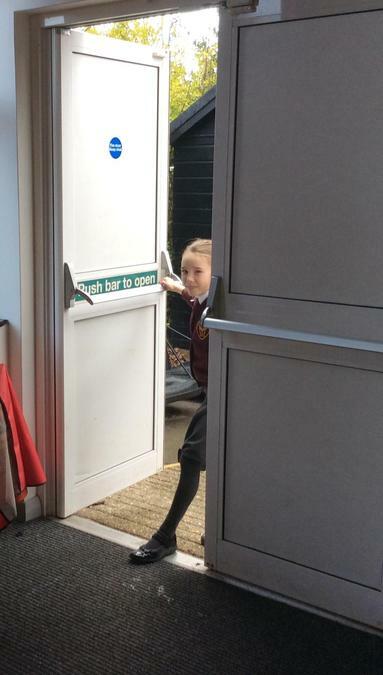 Don't forget...you will need to be back in school at 5.30pm on Weds eve. 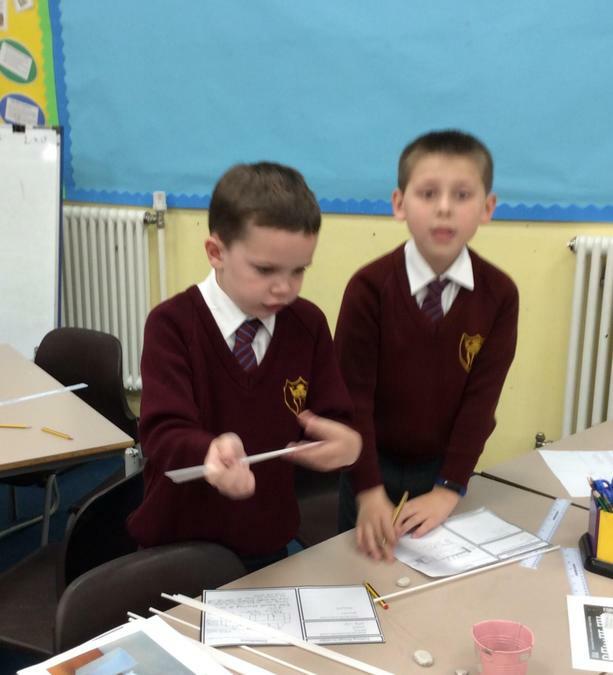 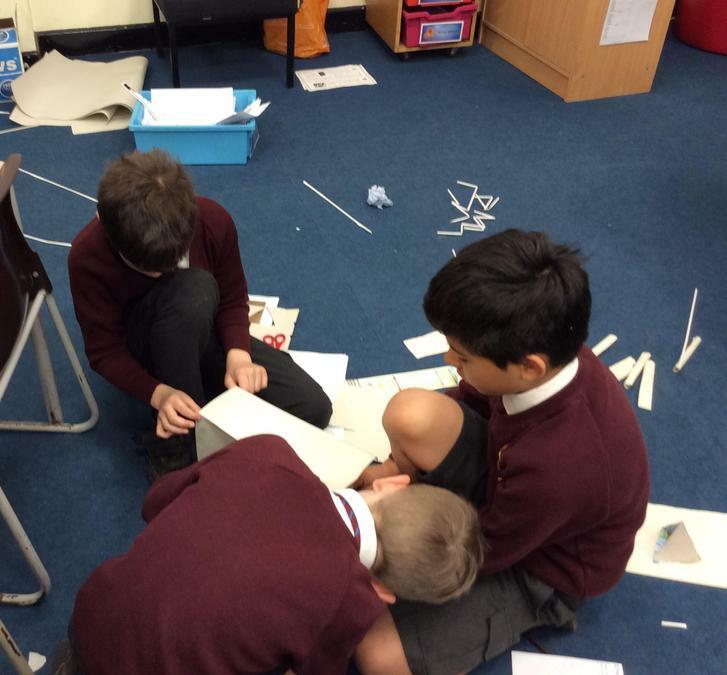 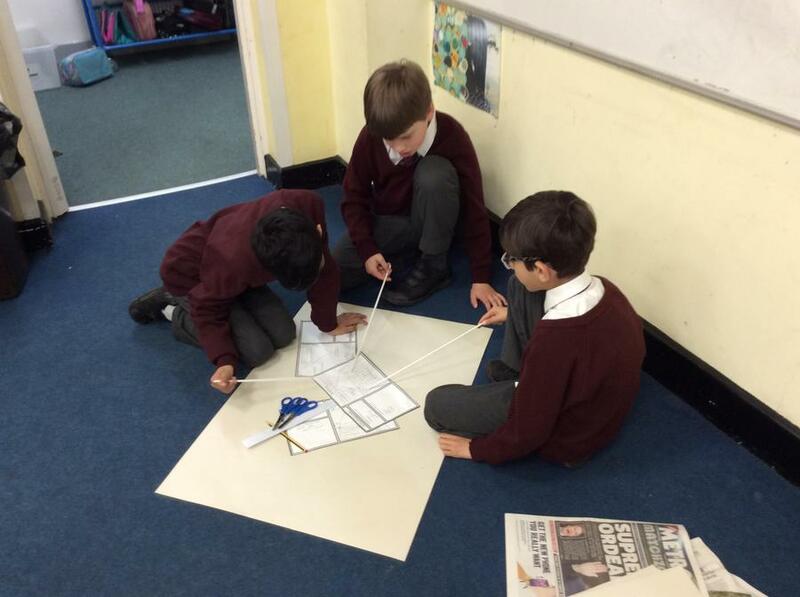 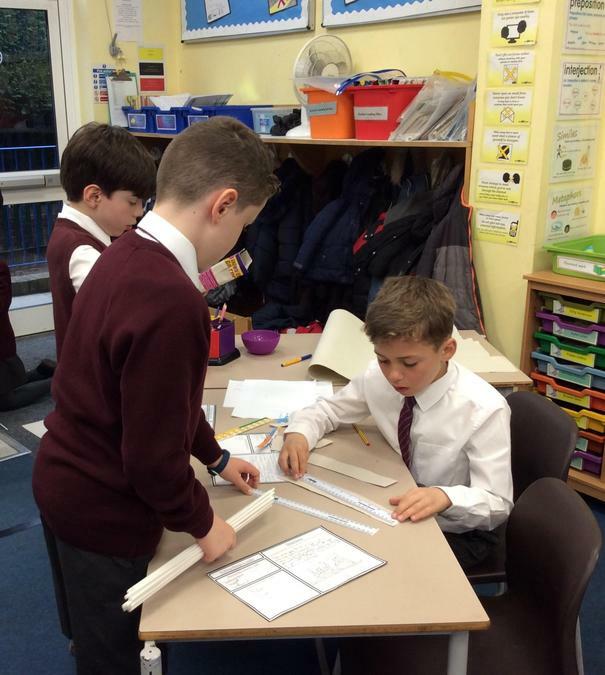 Cole working together in Grey Seal class on house morning! 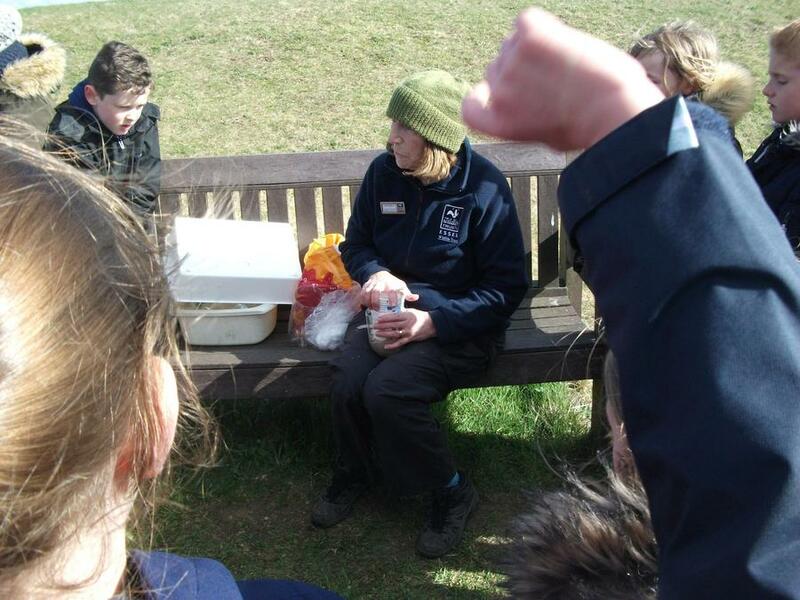 Aimee as teacher in Grey Seal class! 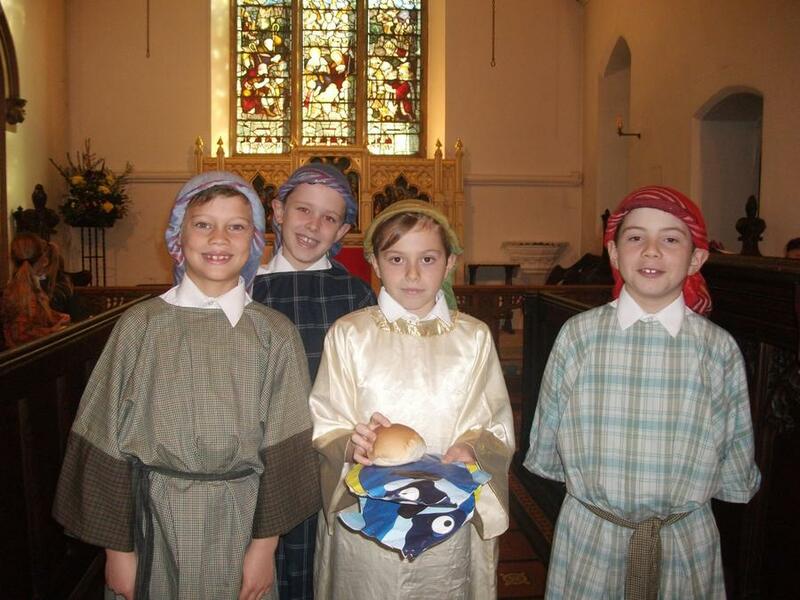 This week we will be beginning rehearsals for our nativity play in the hall. 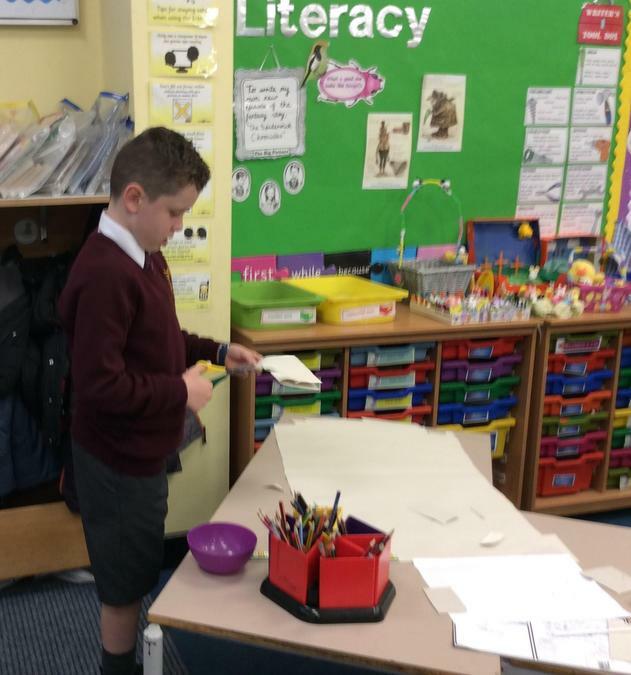 Please try to learn your words without the need for a script. 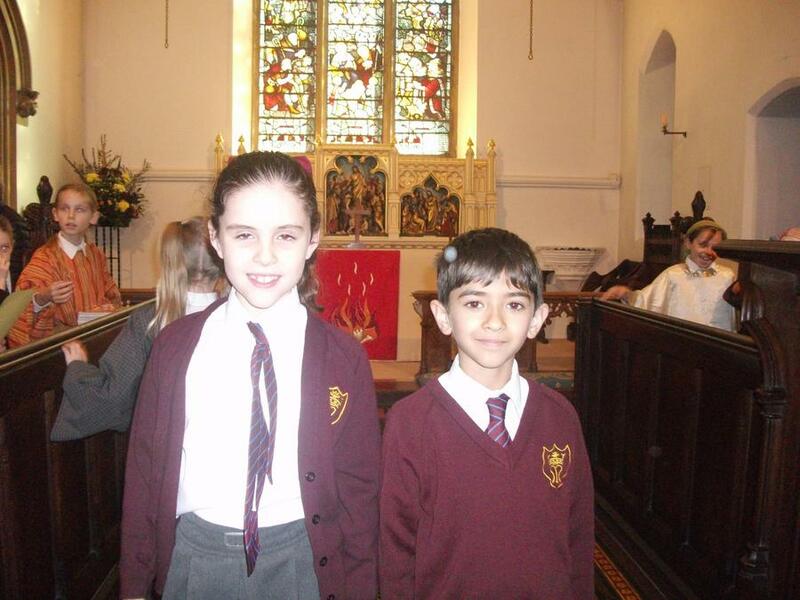 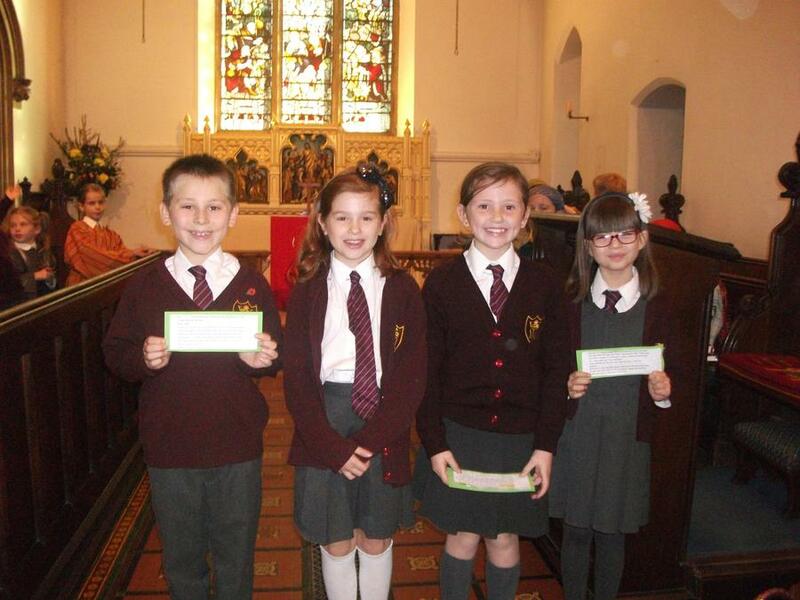 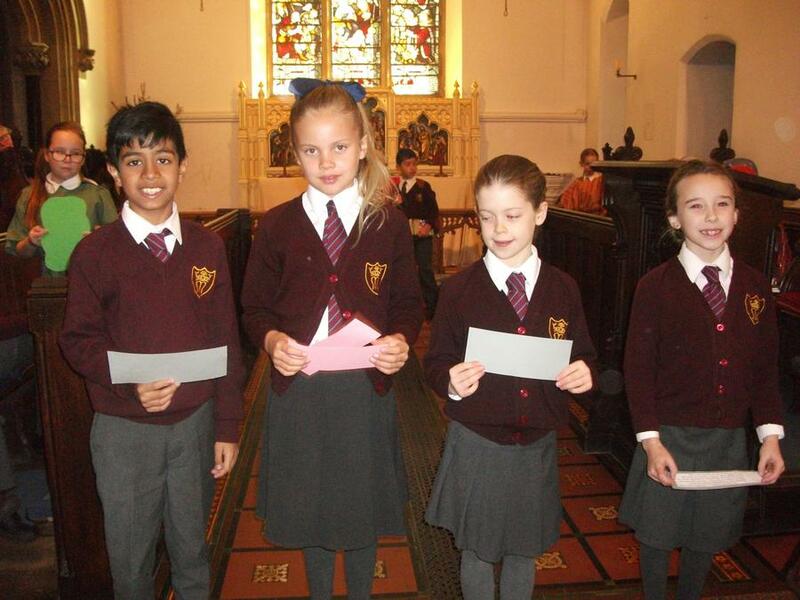 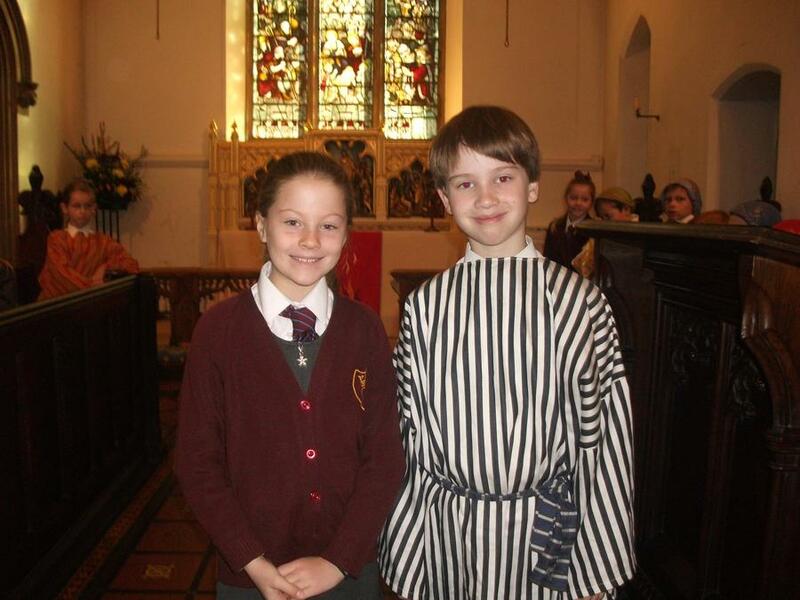 This week, Grey Seal Class lead the service in Church. 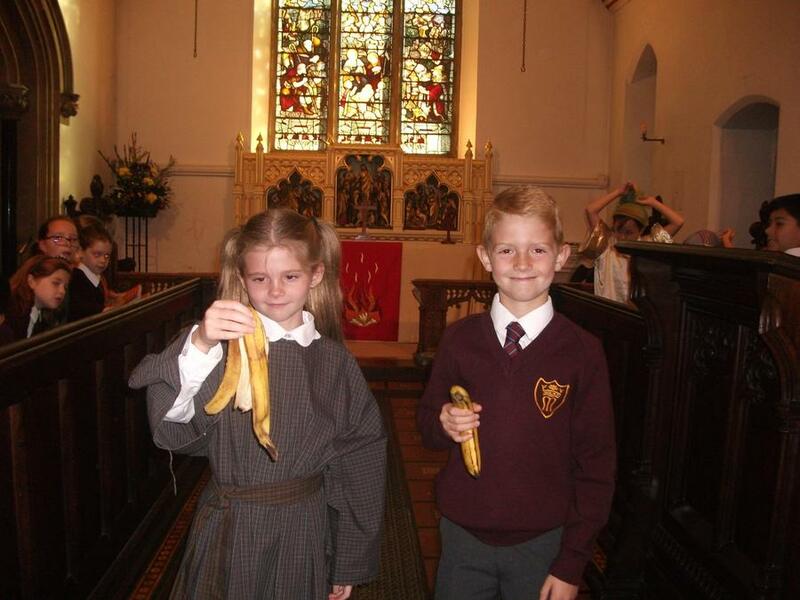 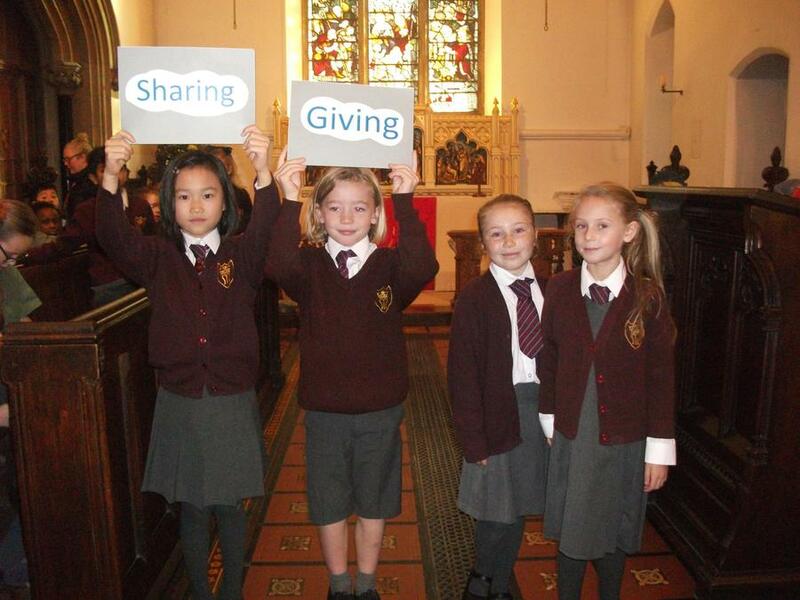 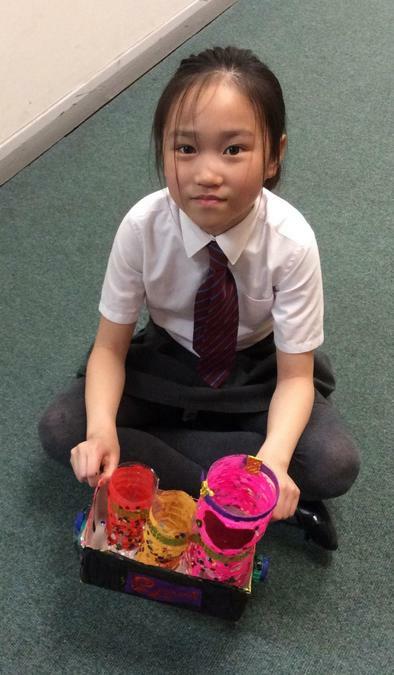 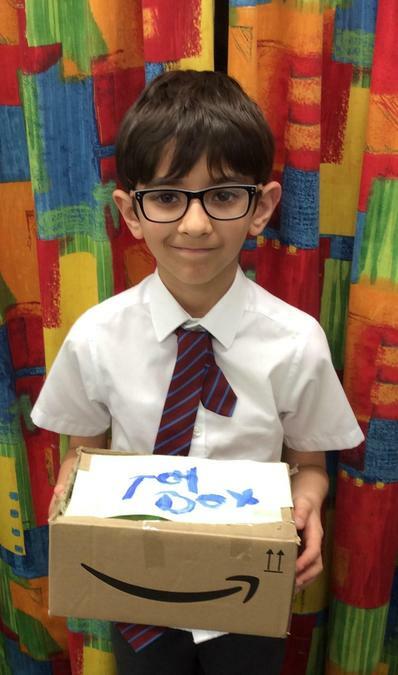 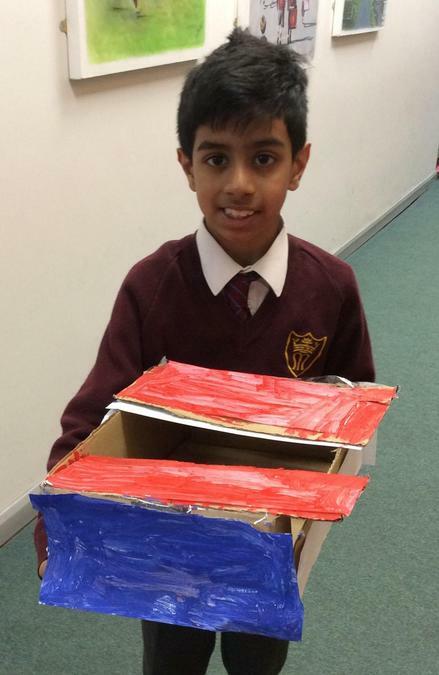 The theme was "Generosity", our Christian value for this half term. 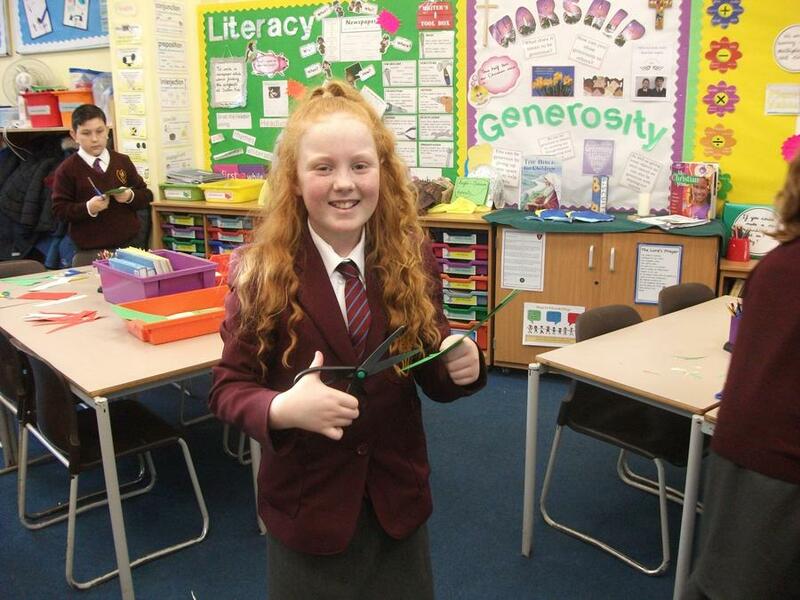 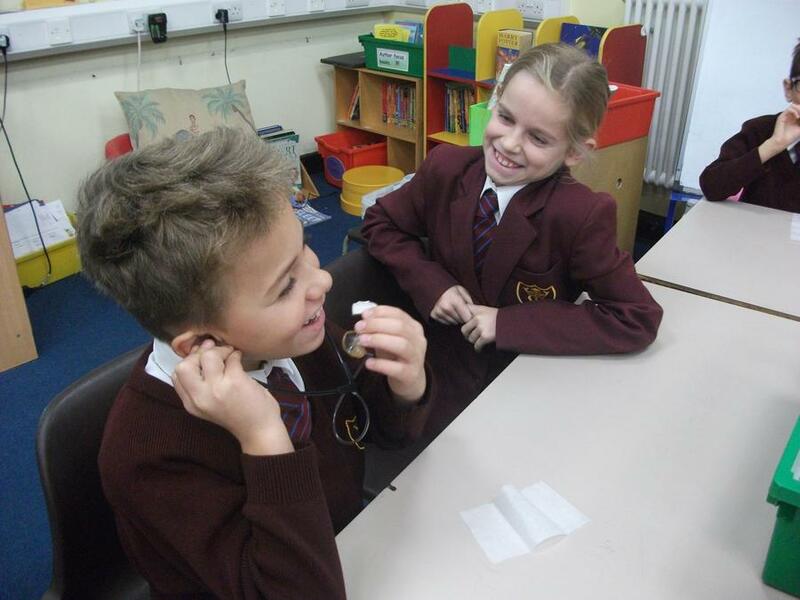 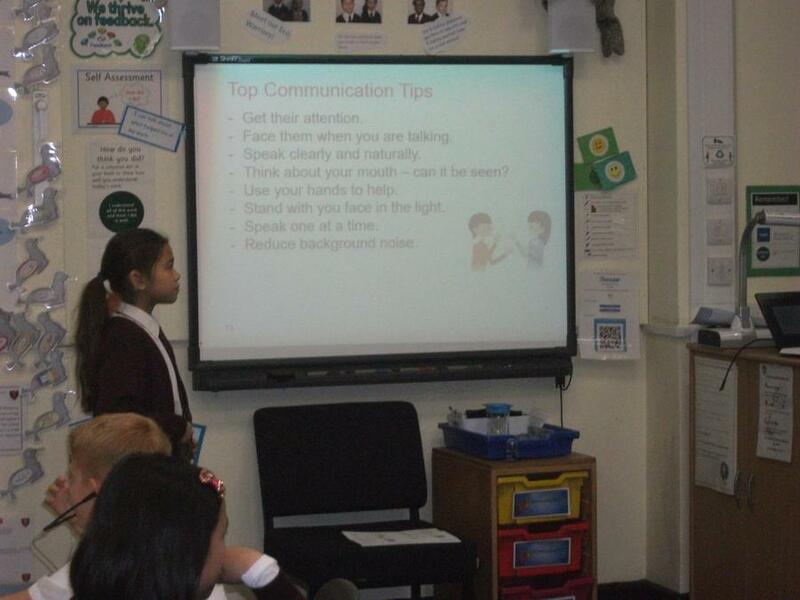 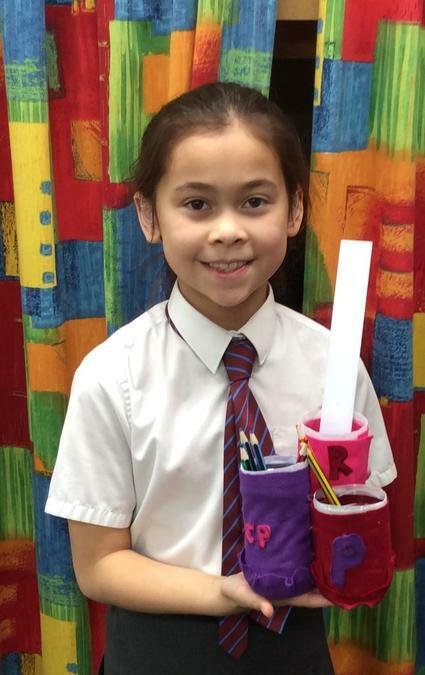 Well done to the class for speaking clearly and taking on your roles enthusiastically and responsibly! 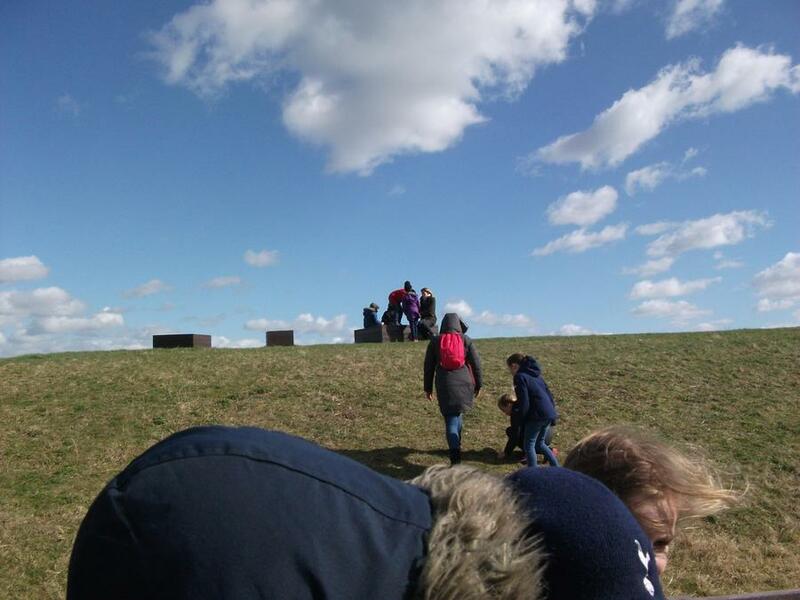 Year 4 visit to Sutton Hoo. 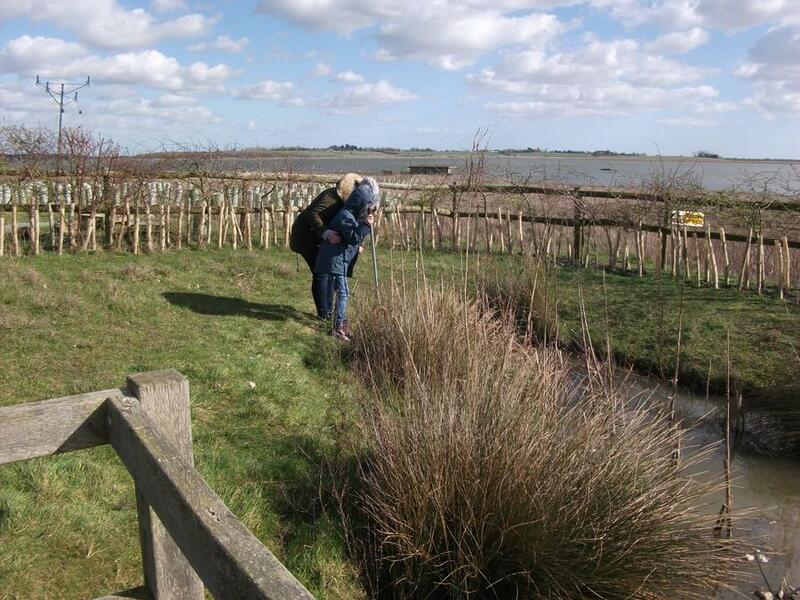 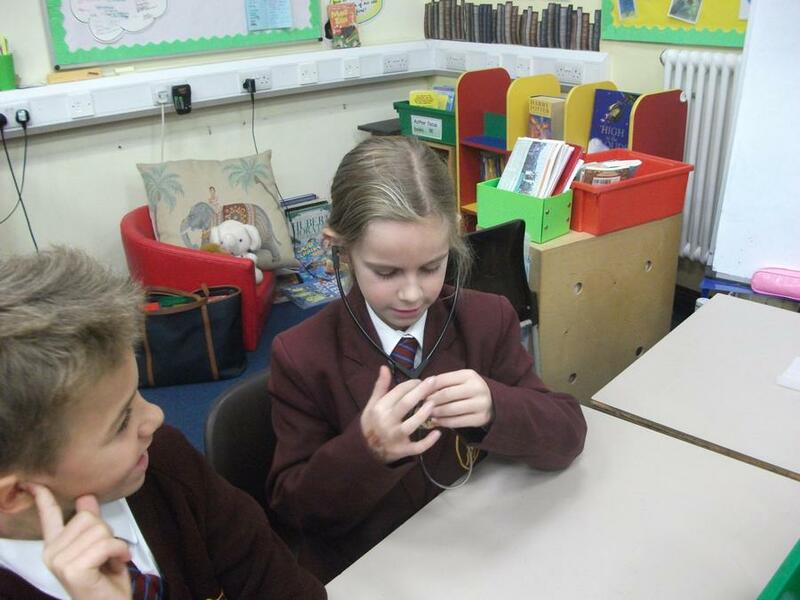 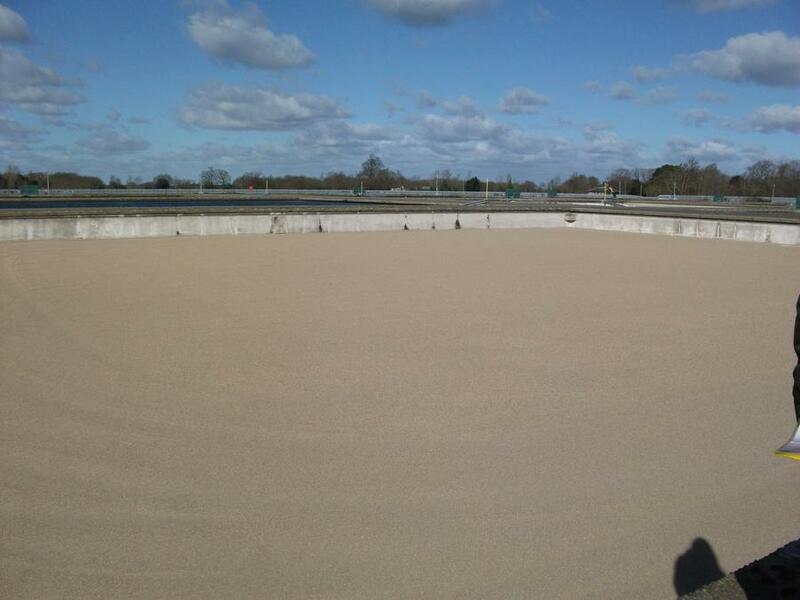 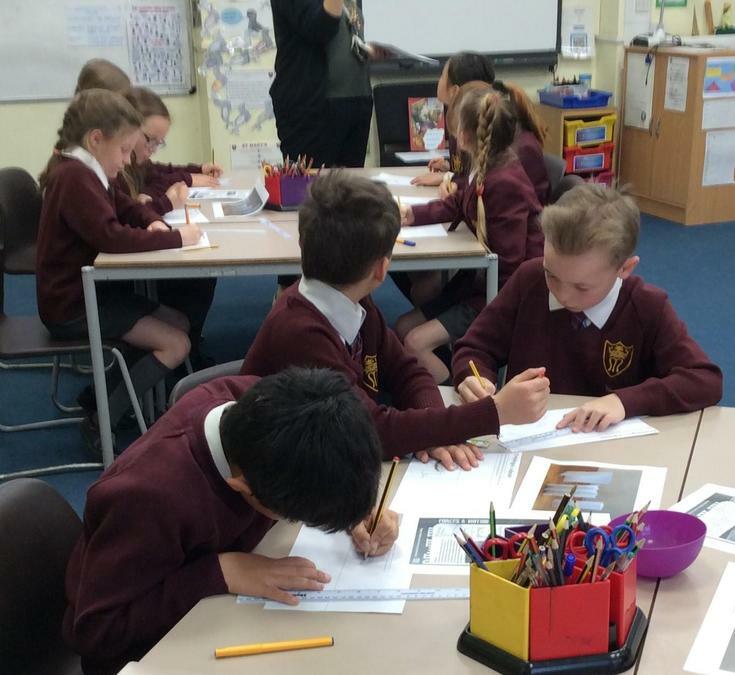 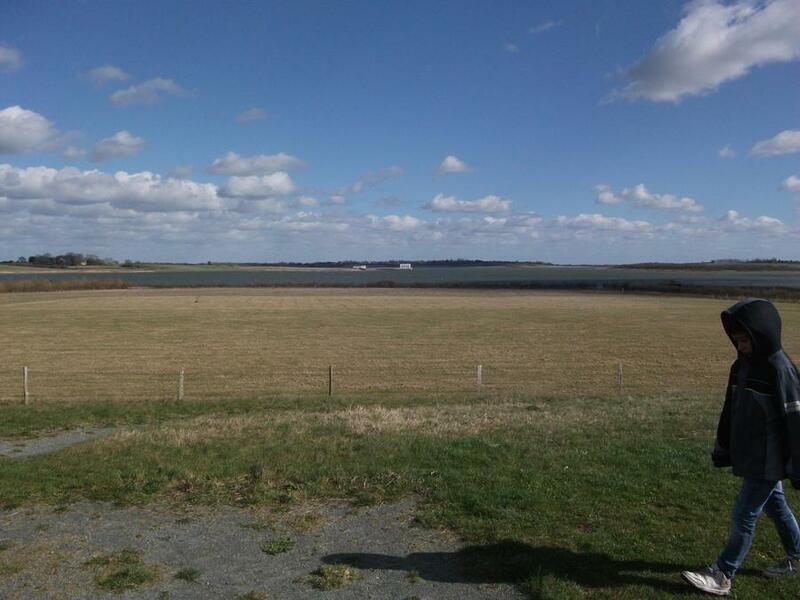 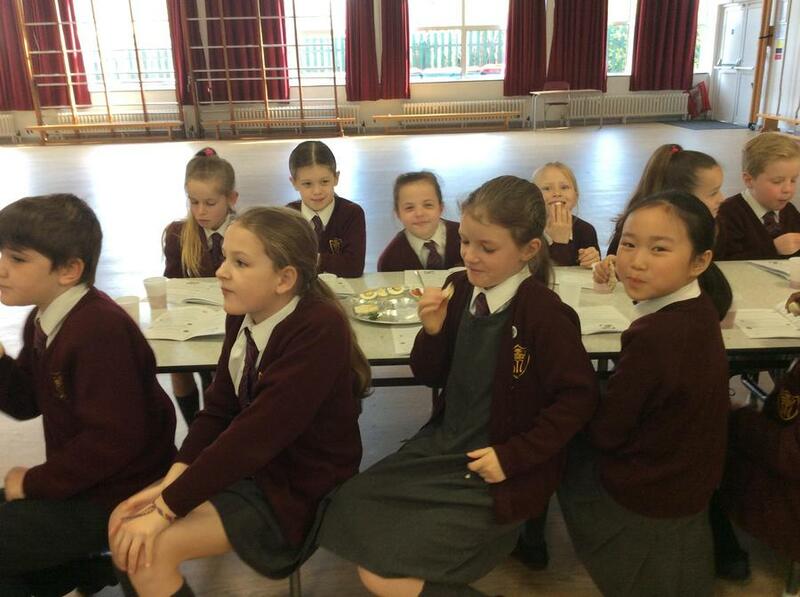 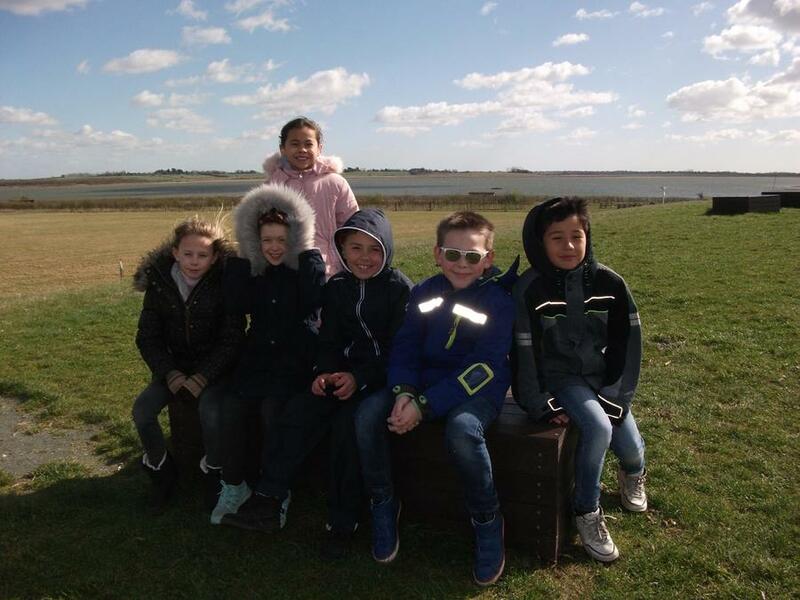 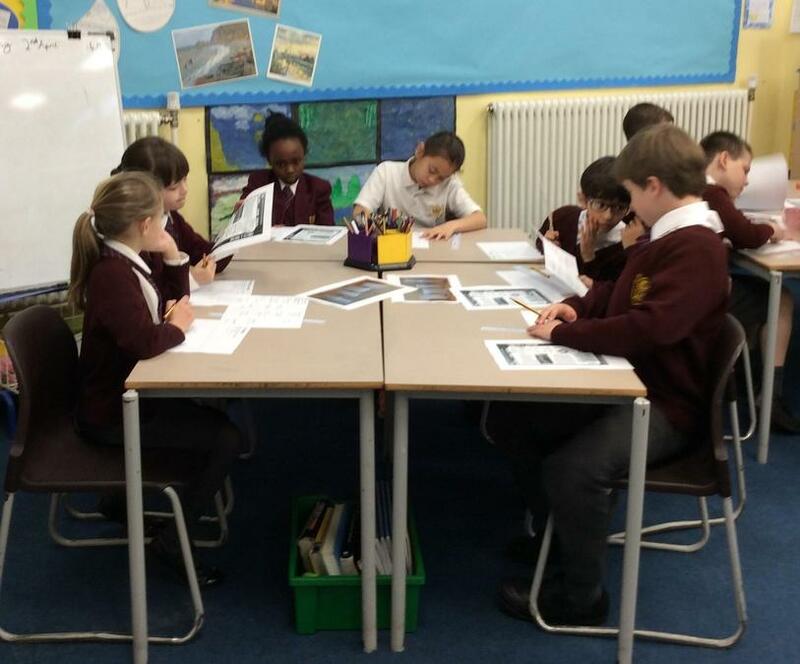 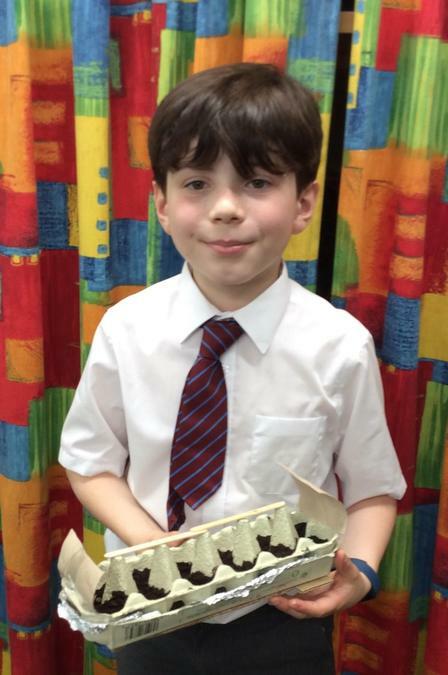 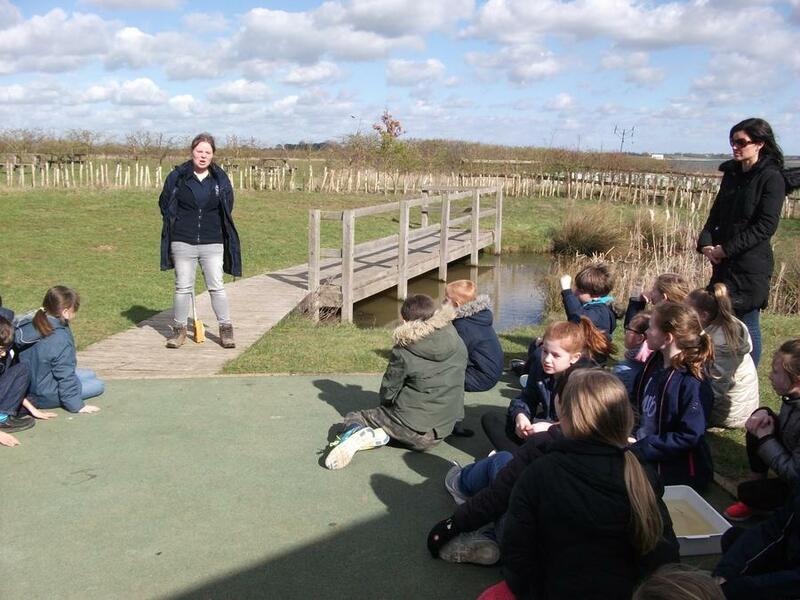 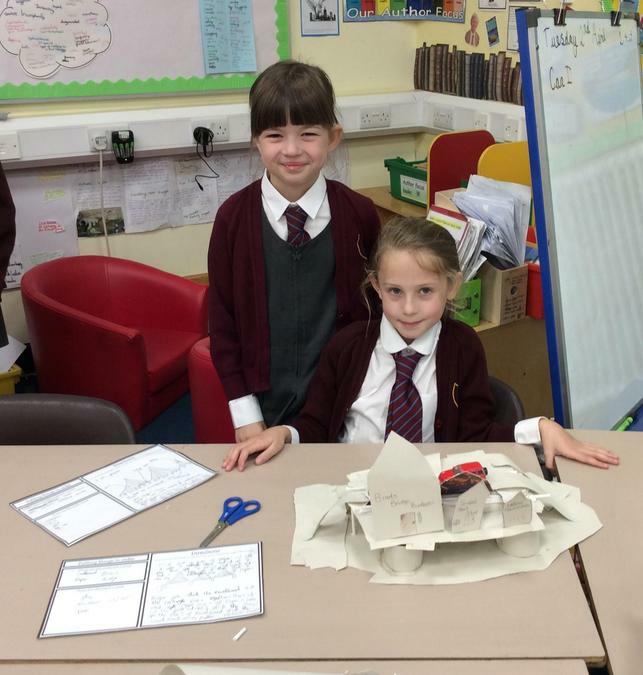 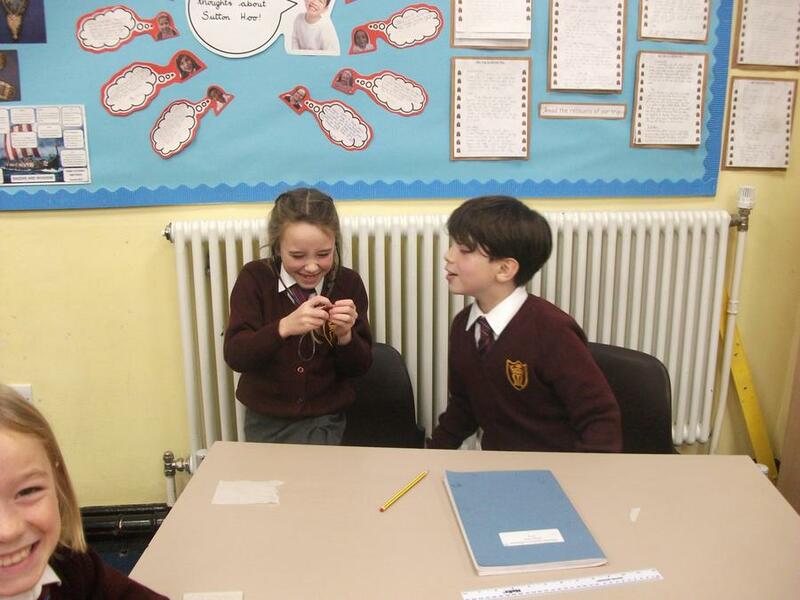 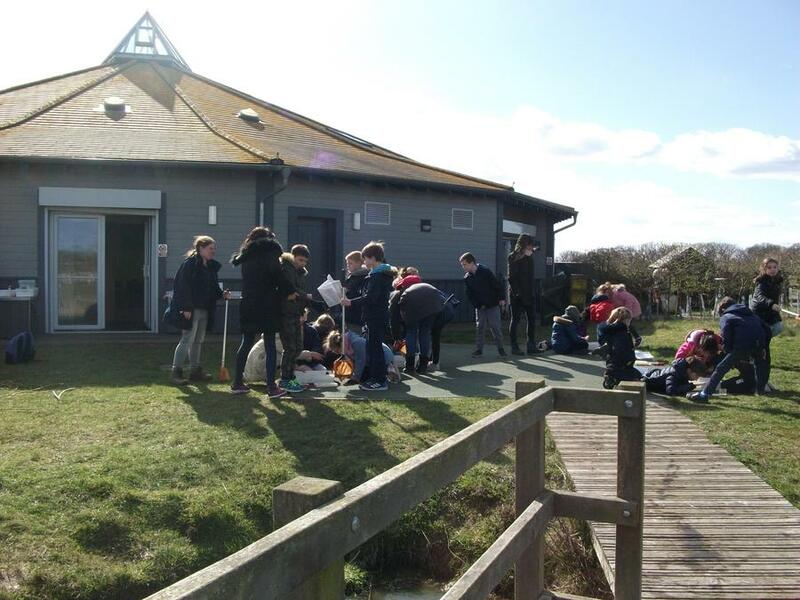 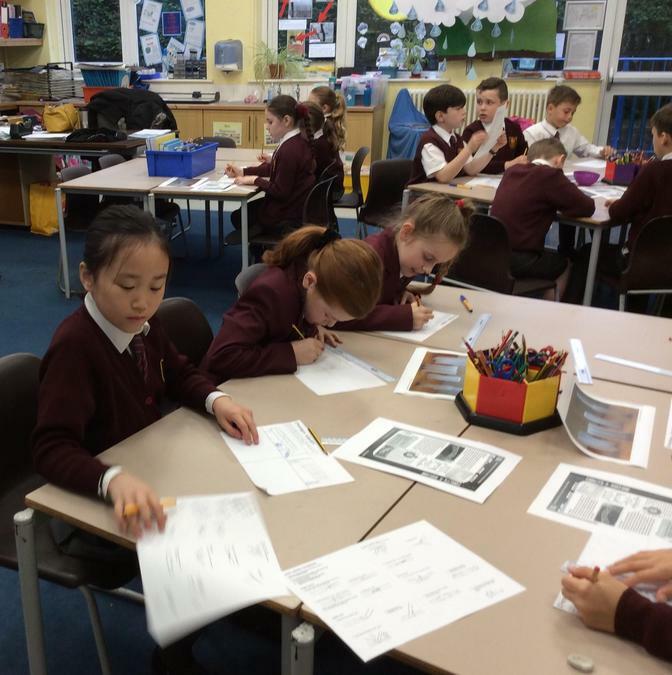 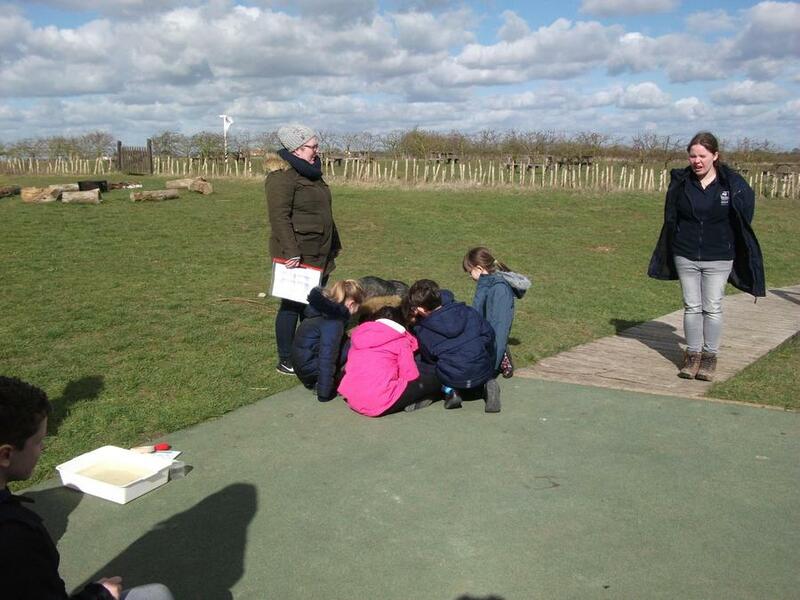 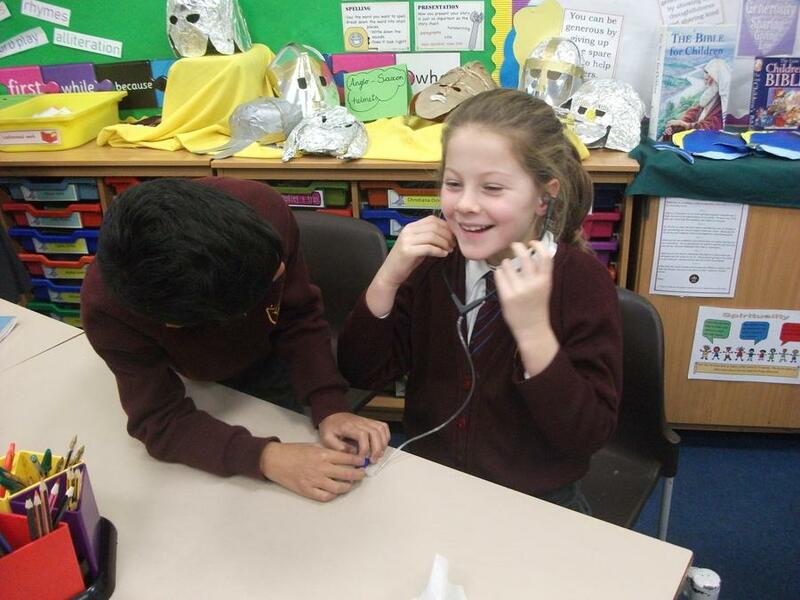 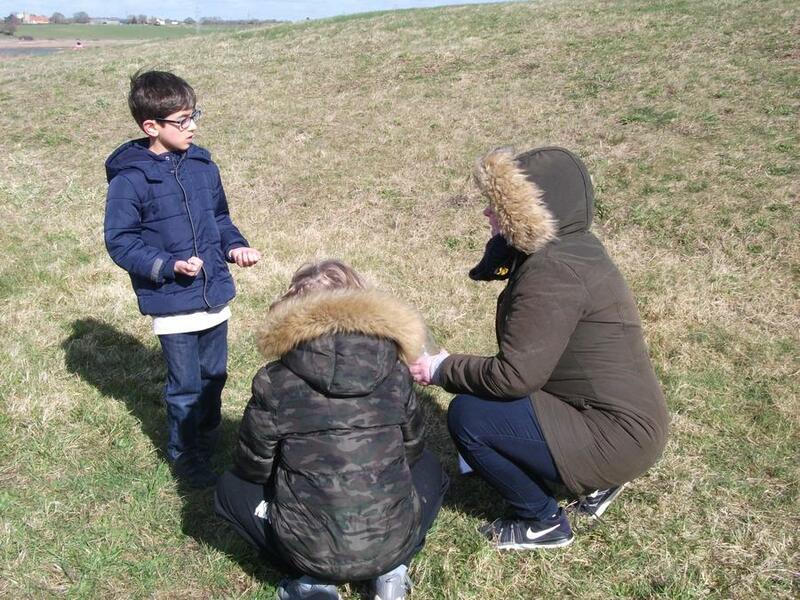 On 17th September, Year 4 visited Sutton Hoo as the "Stunning Starter" for their work on the topic of The Anglo-Saxons. 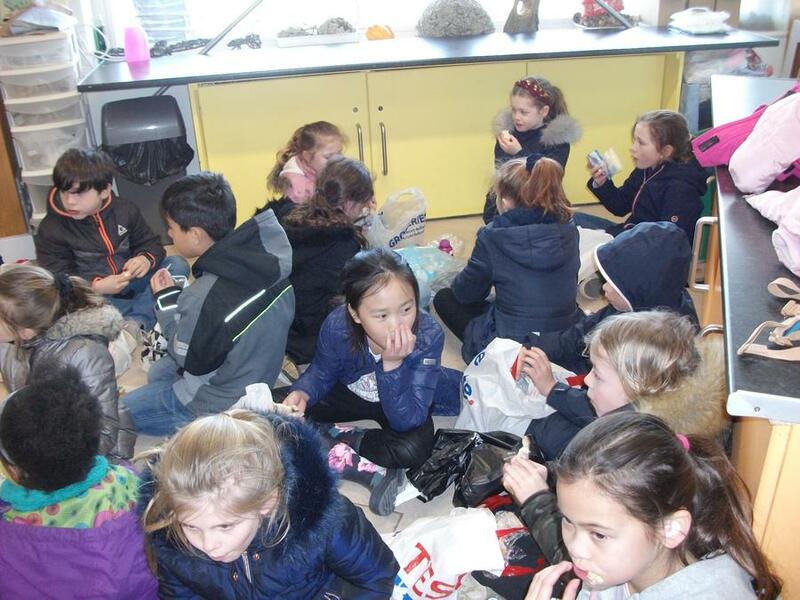 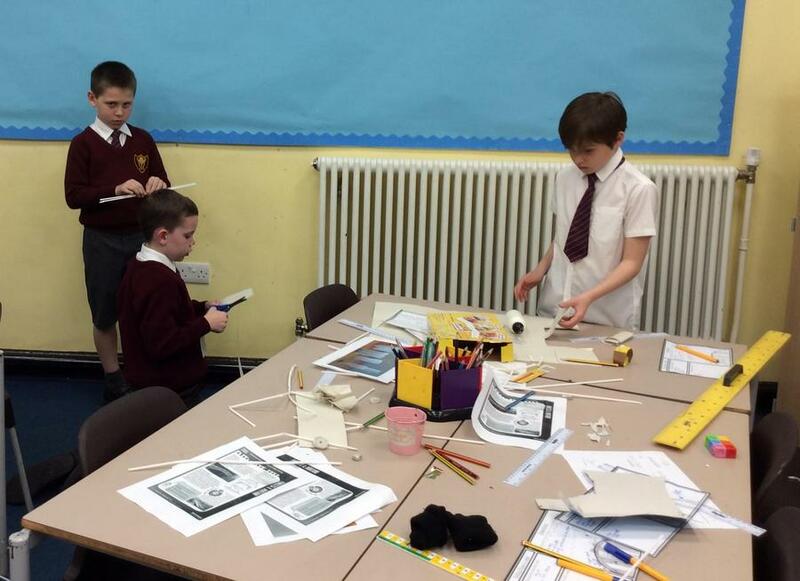 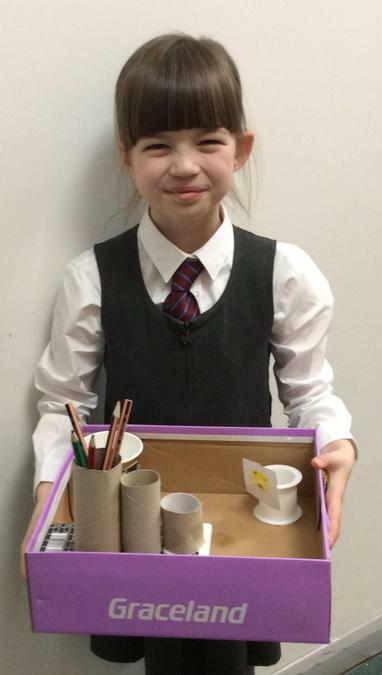 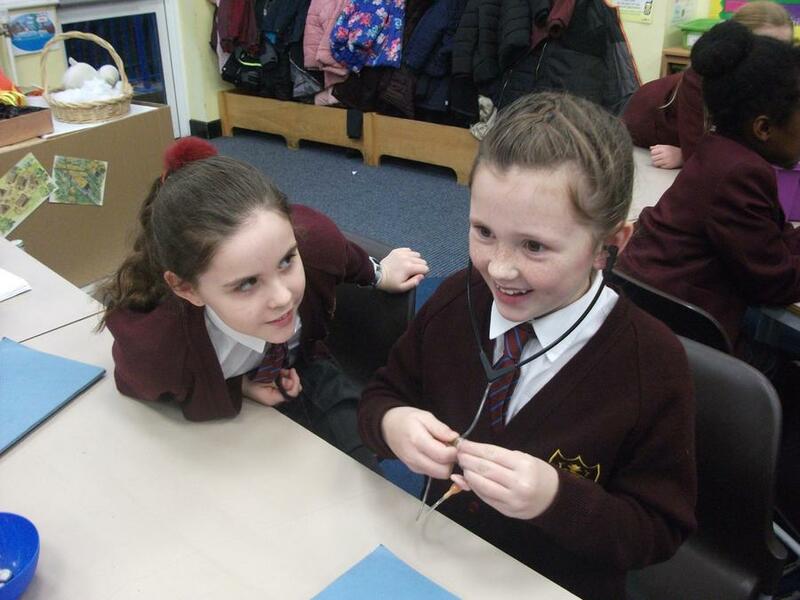 We all had a fabulous time visiting the burial mounds and spending time looking at the interesting models and artefacts in the exhibition hall. 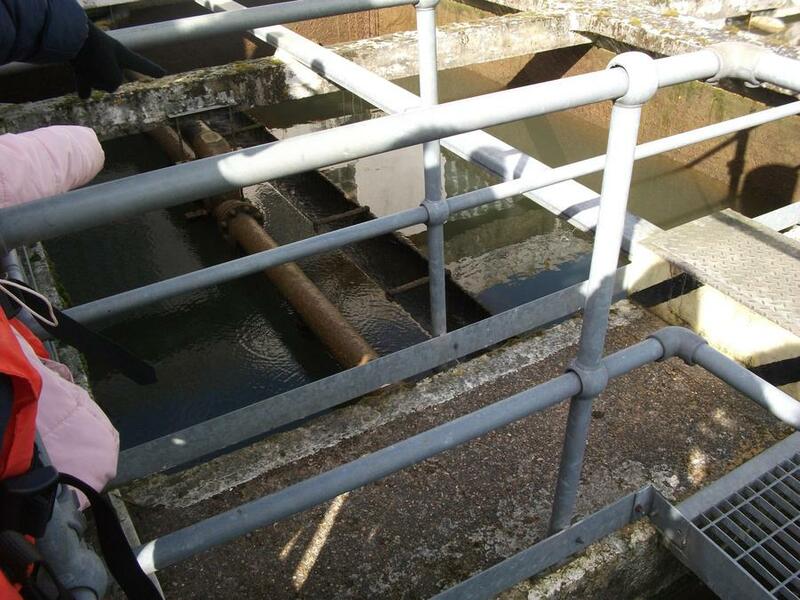 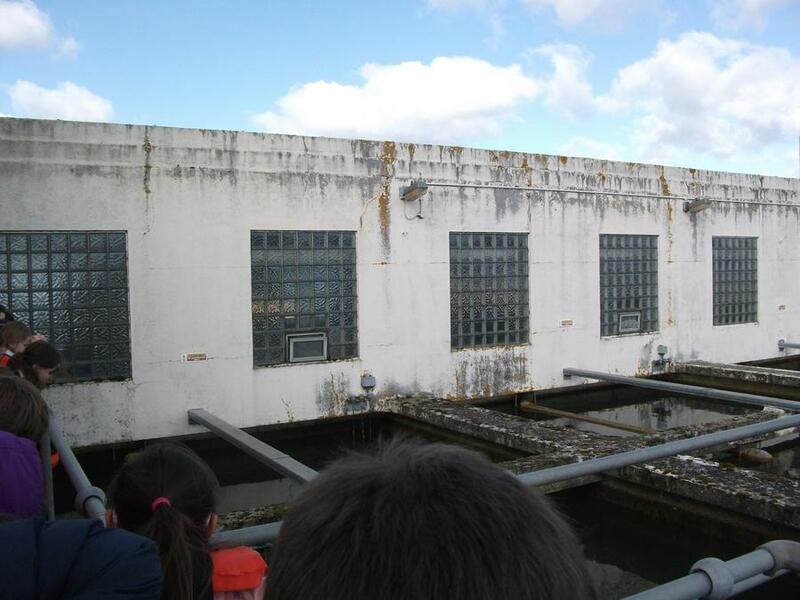 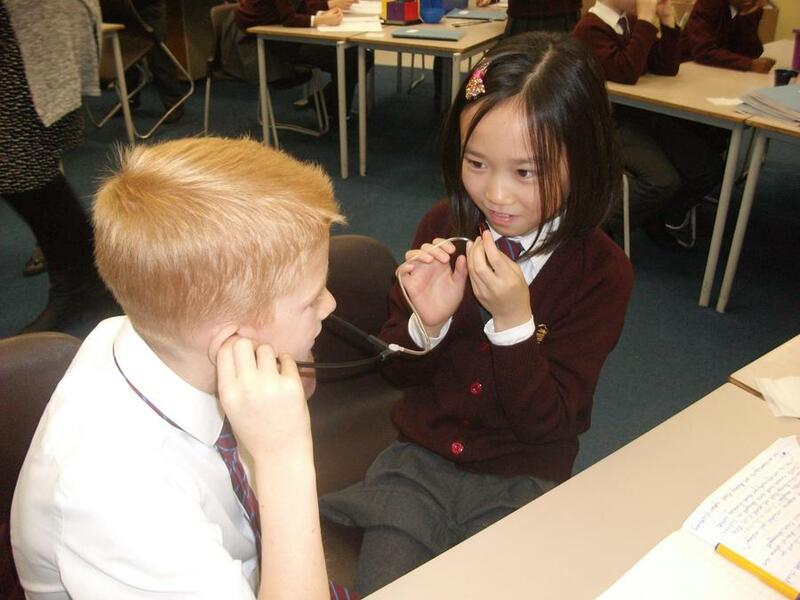 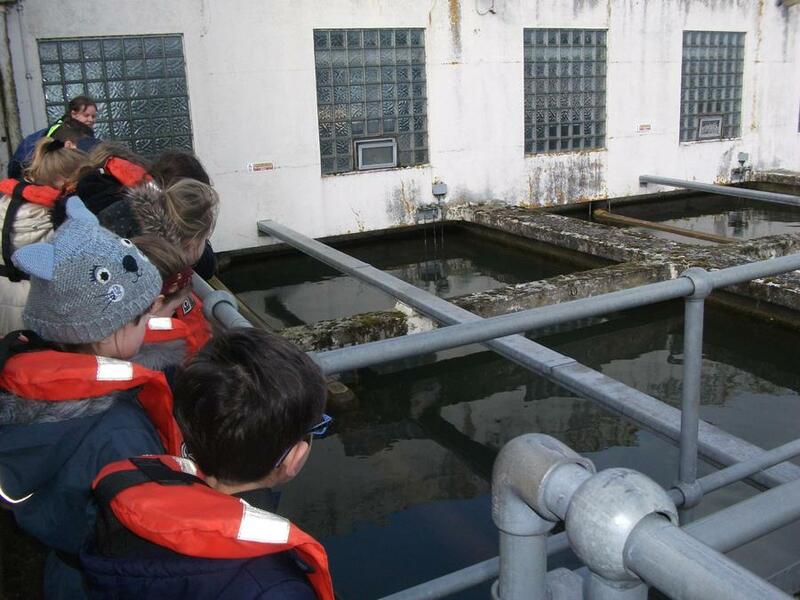 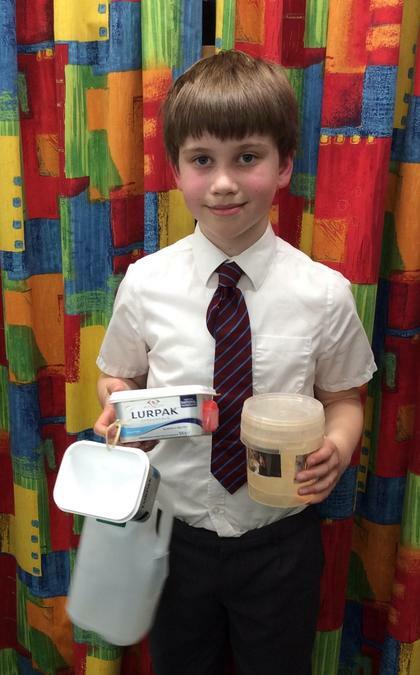 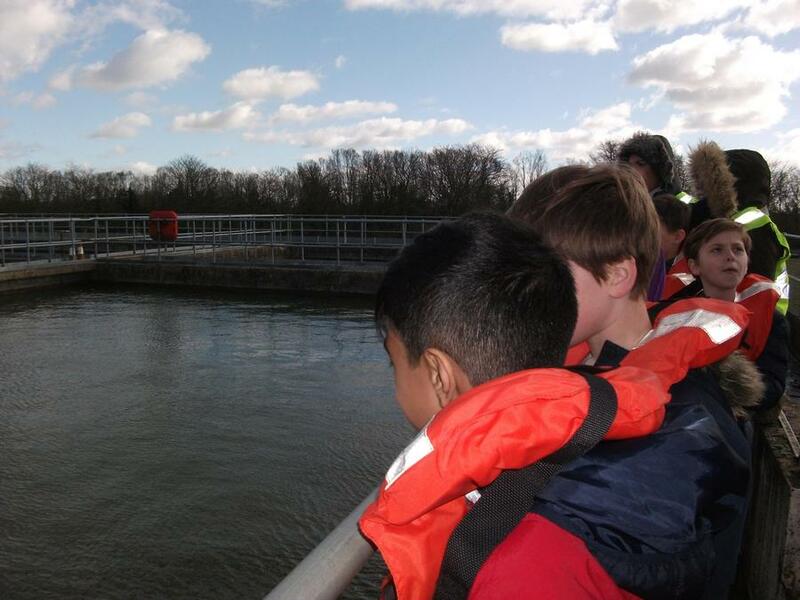 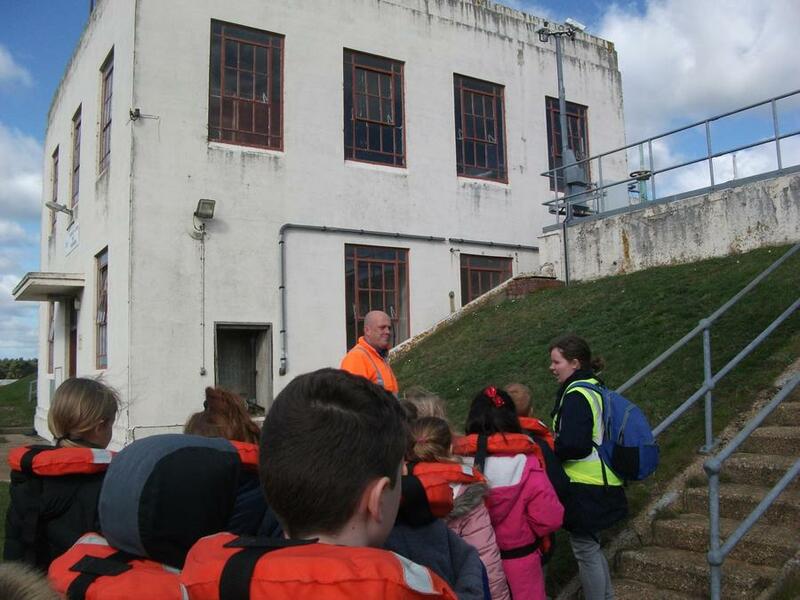 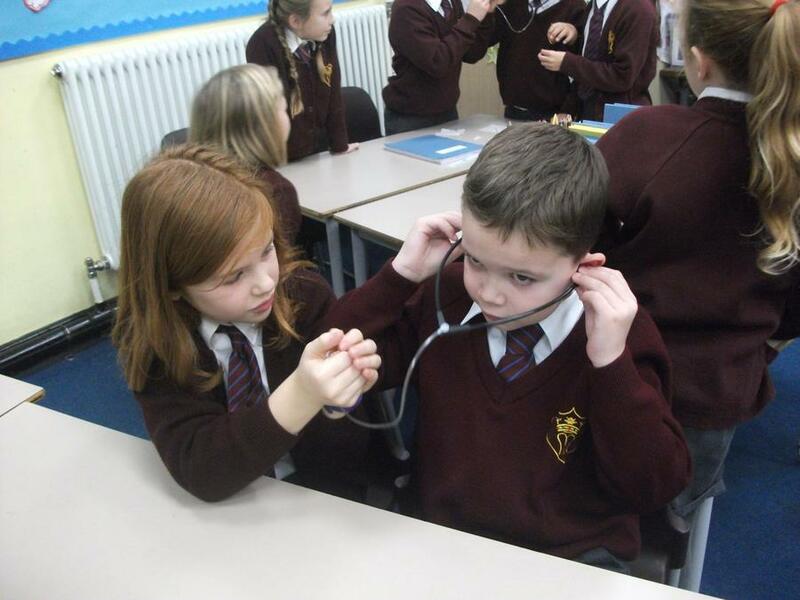 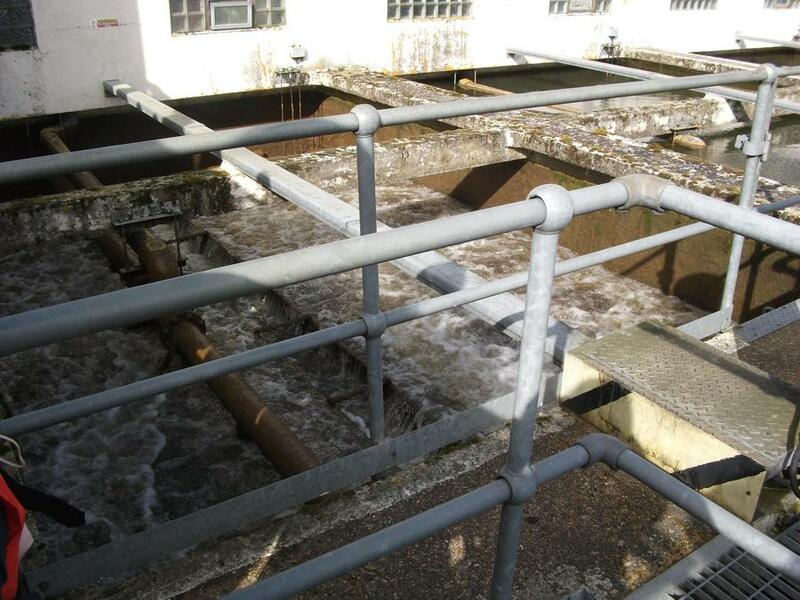 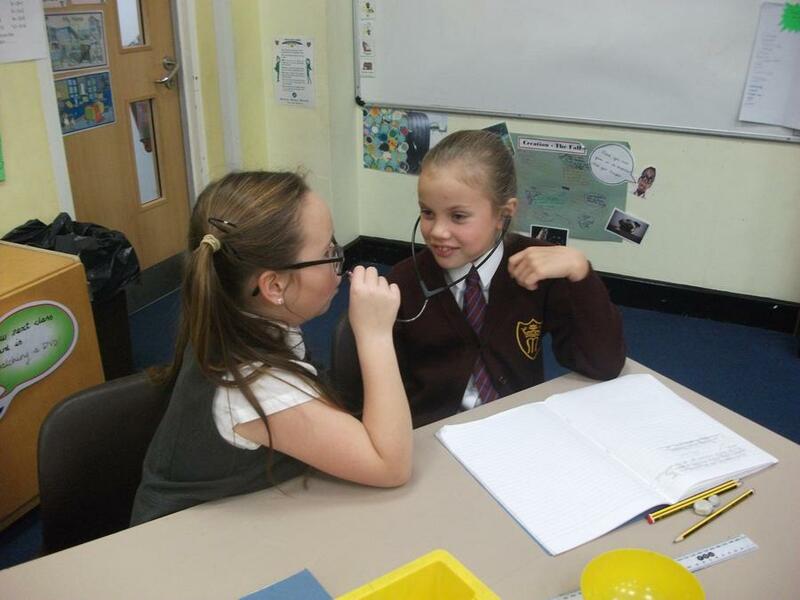 We hope the children are now inspired to find out even more about this interesting topic. 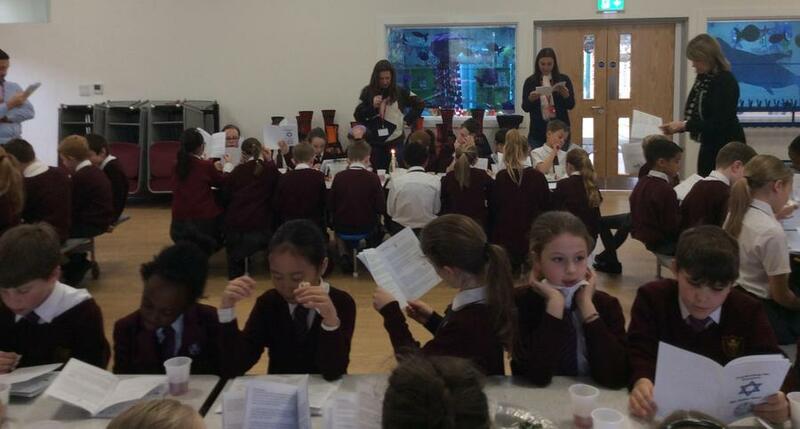 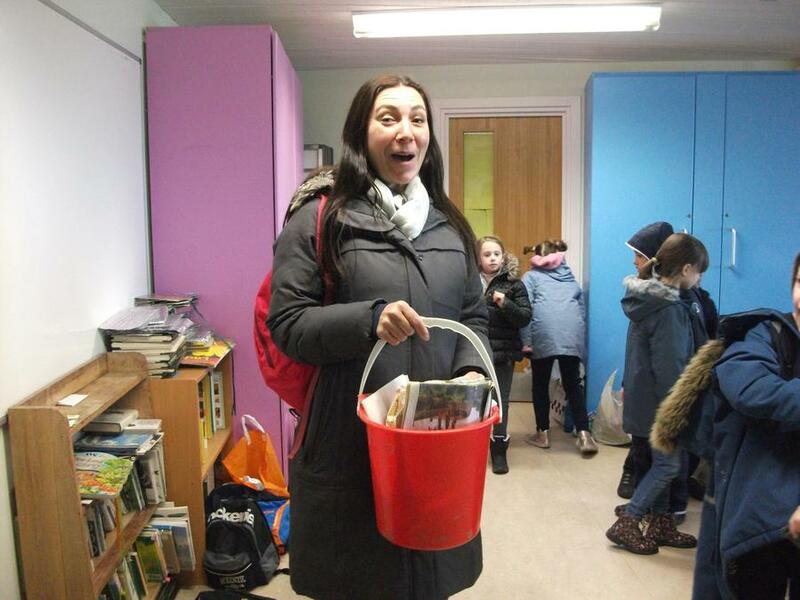 Mrs.Chudley and Miss.Michael would like to thank again those parents who volunteered to accompany us.